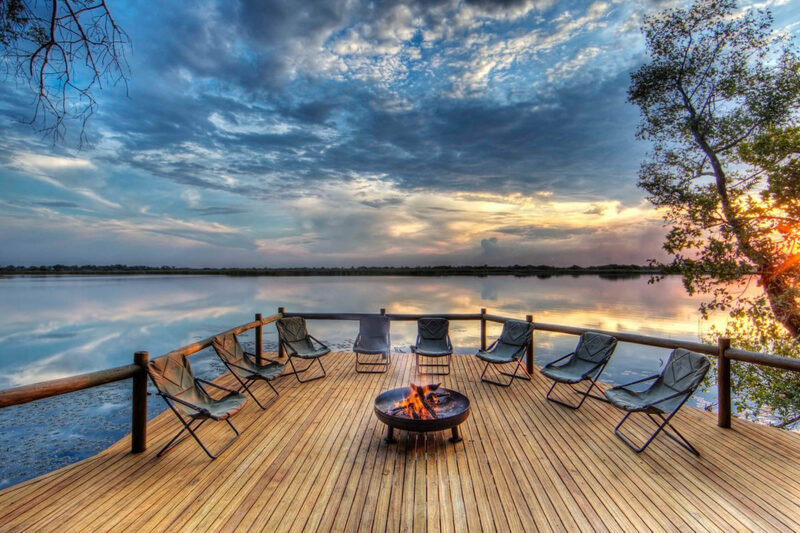 This is why we live here! 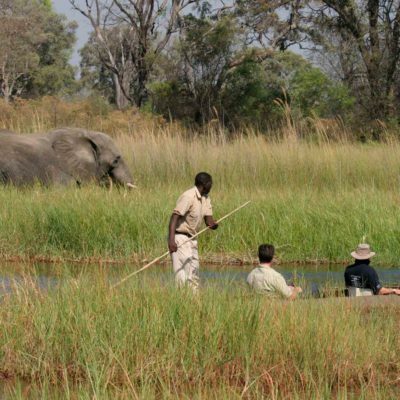 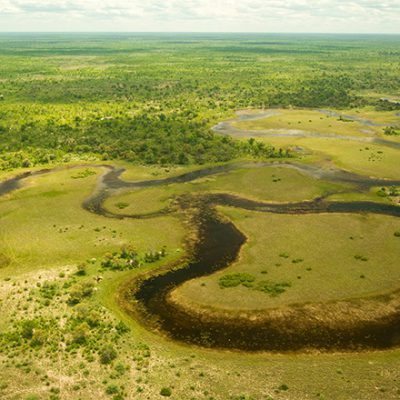 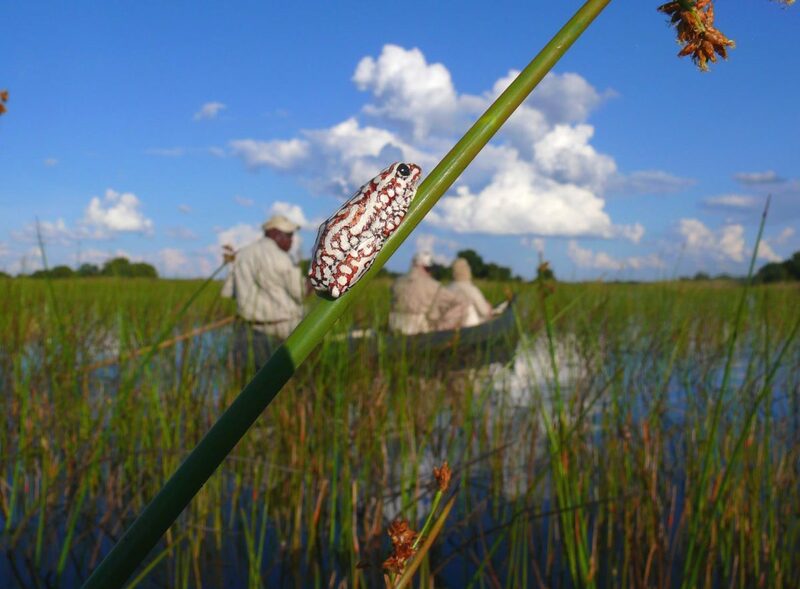 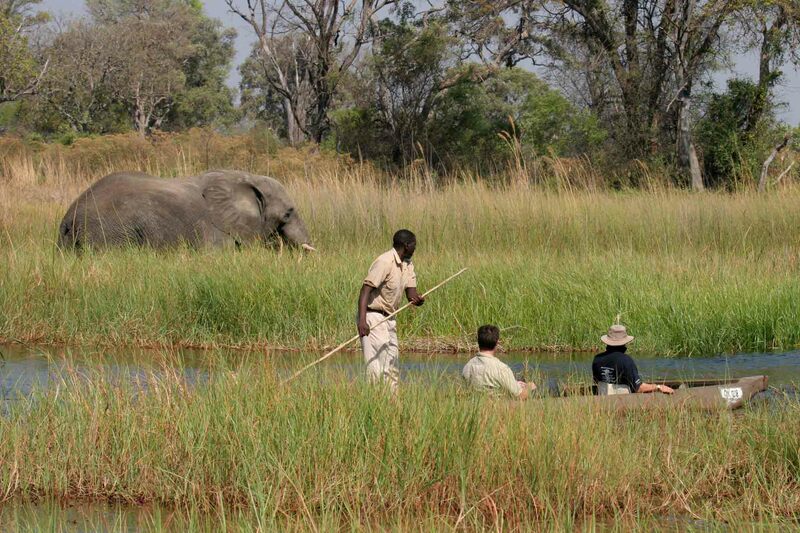 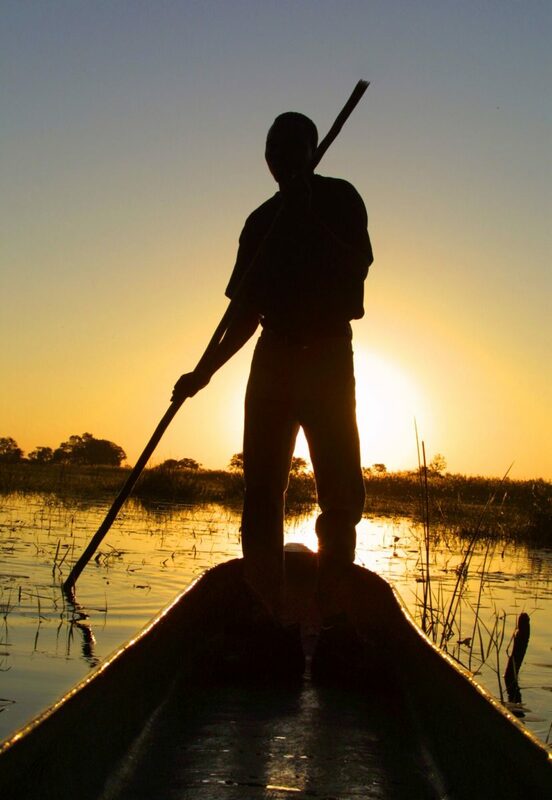 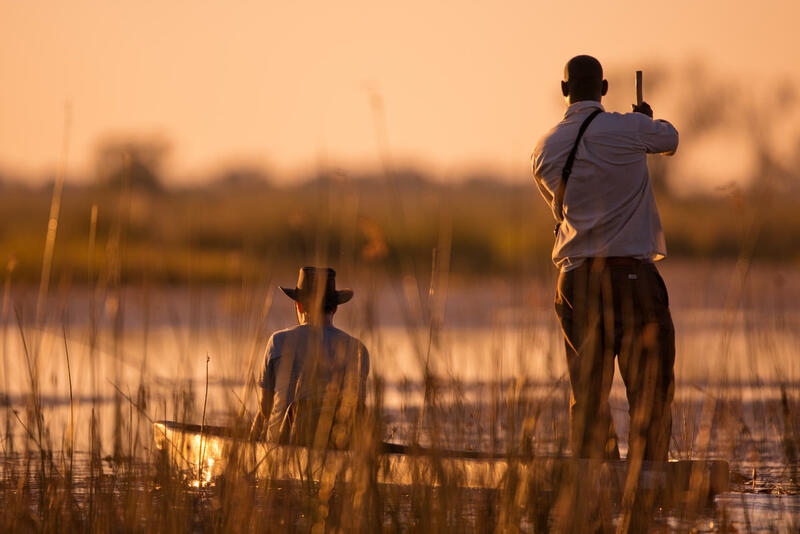 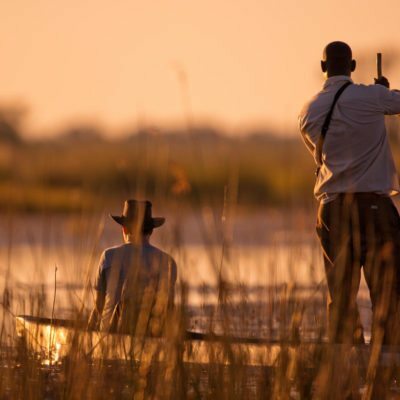 The Okavango is the essence of “safari” in Botswana, and it should be the main focus of your safari on any itinerary. 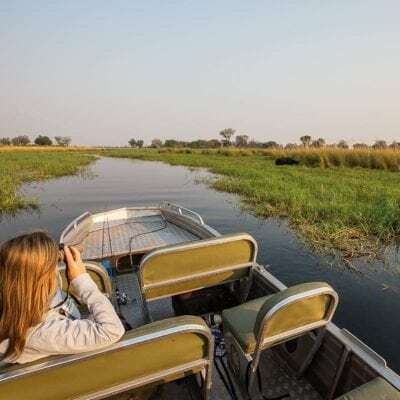 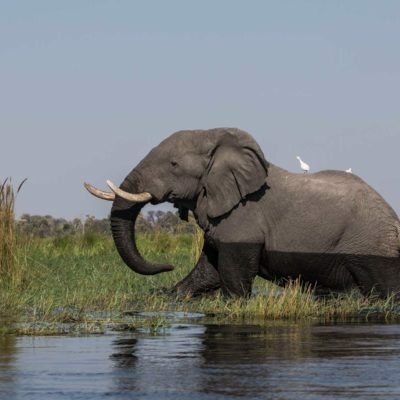 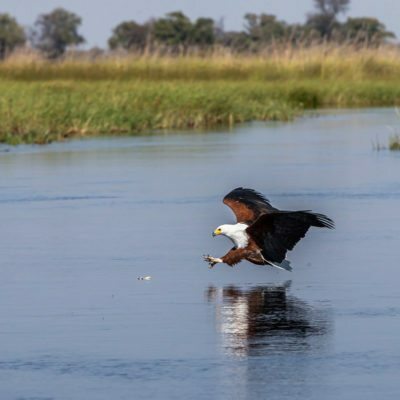 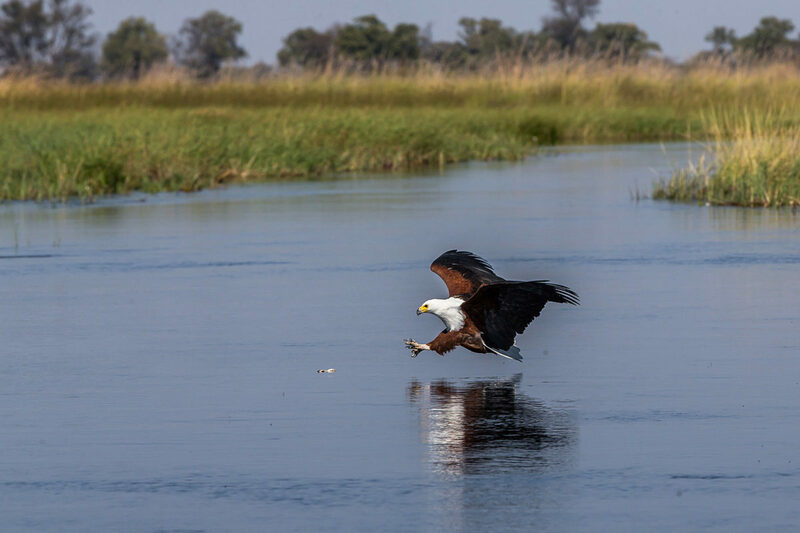 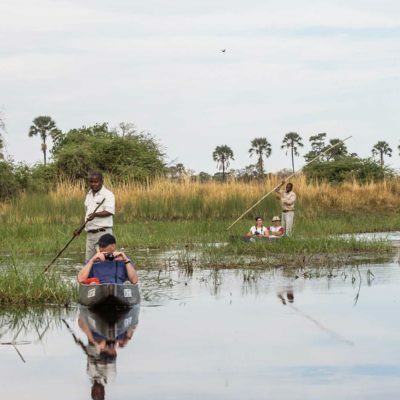 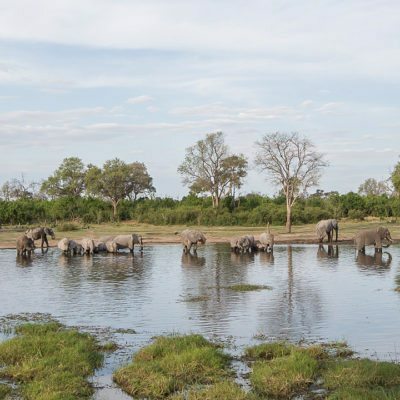 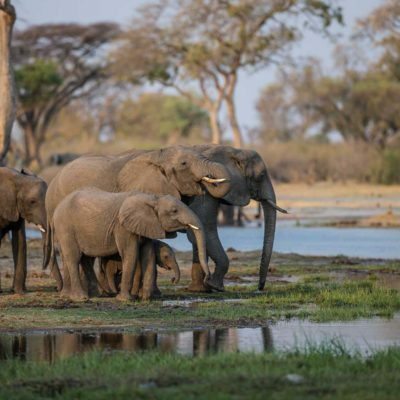 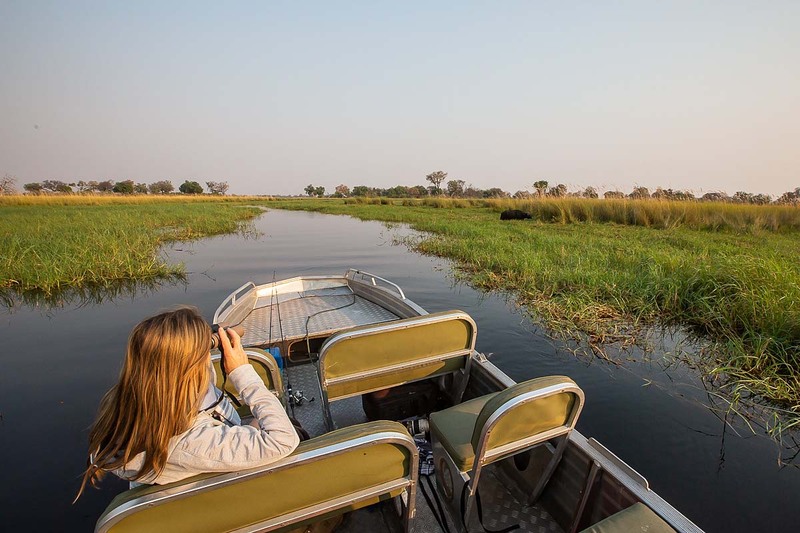 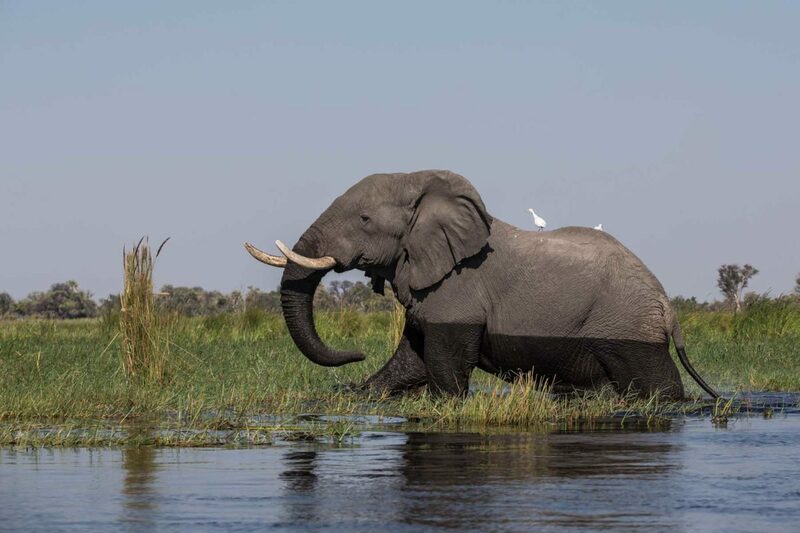 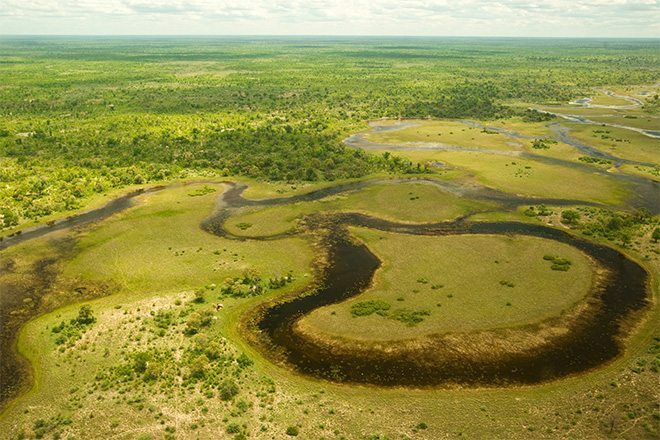 Winding waterways, lush islands of lofty trees and a striking range of birds and mammals make the Okavango Delta one of the most beautiful places in Botswana. 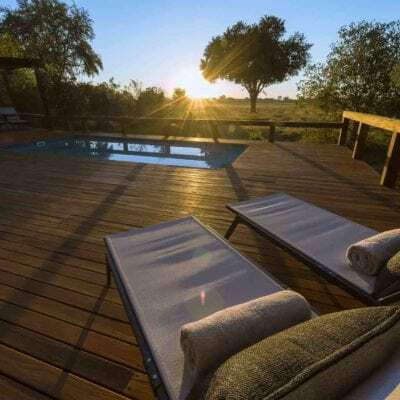 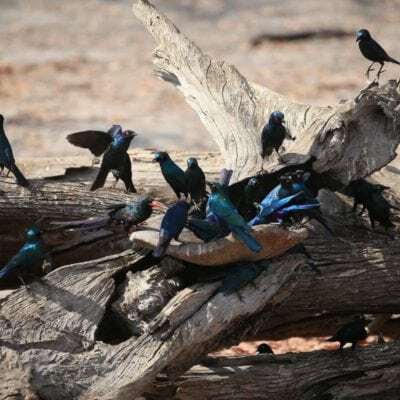 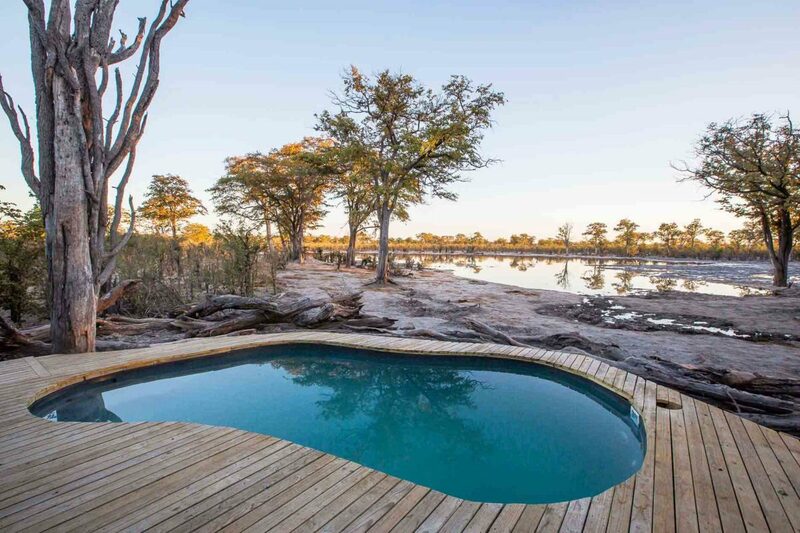 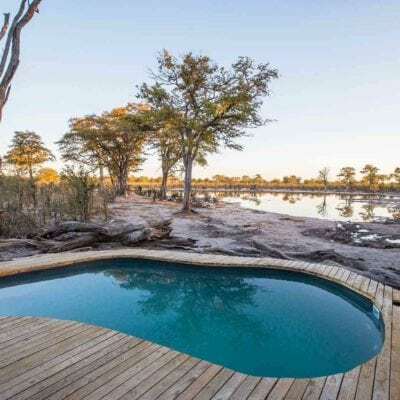 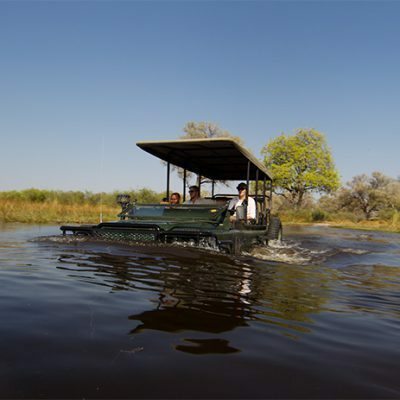 This watery wilderness, deep within the Kalahari, remains as one of Africa’s most untouched and exclusive safari destinations, with an intense variety of game viewing options. 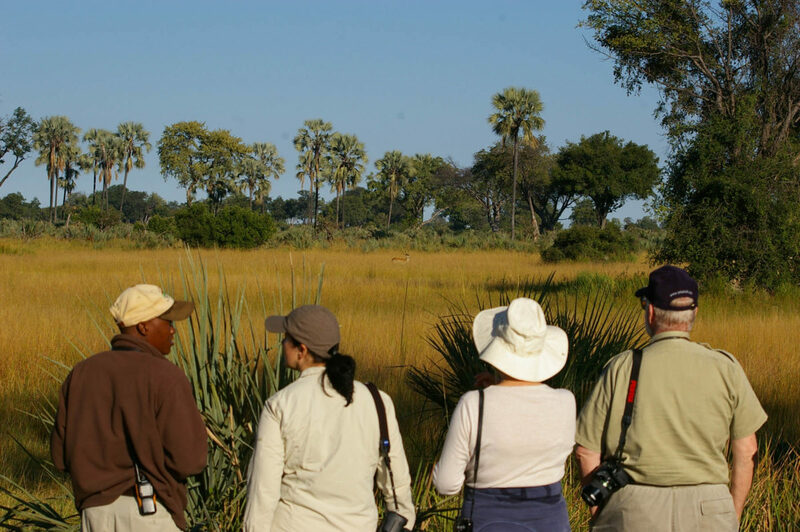 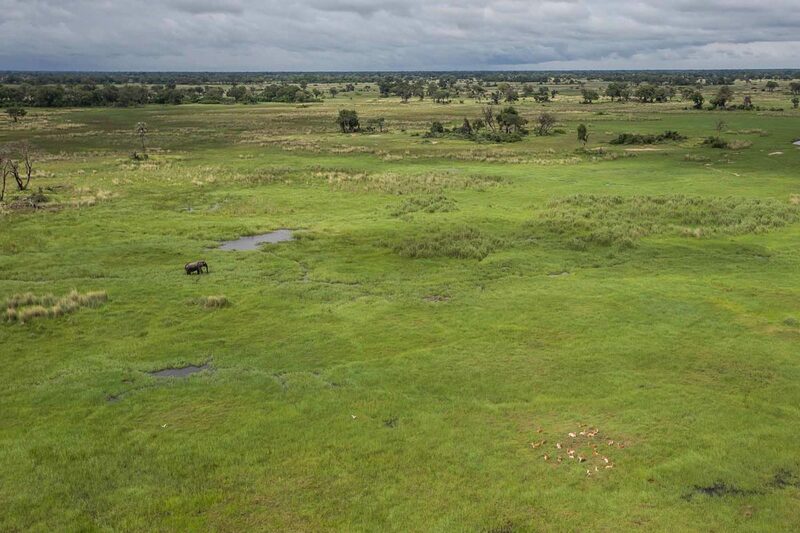 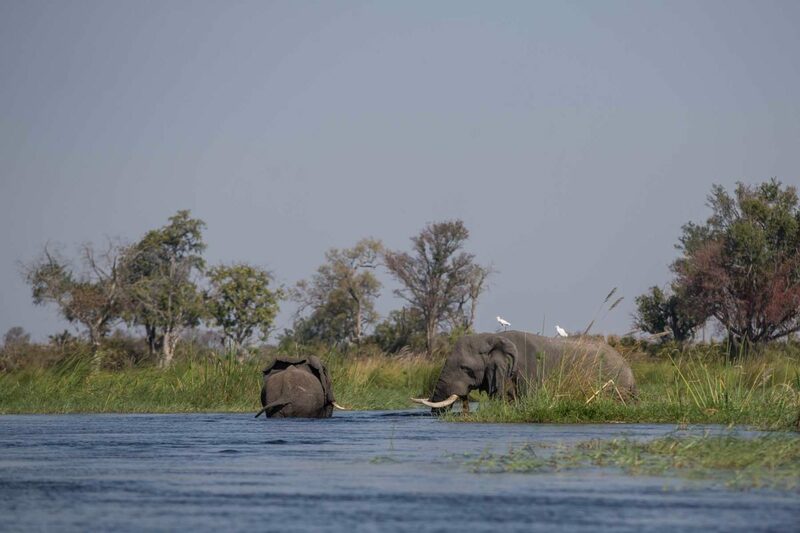 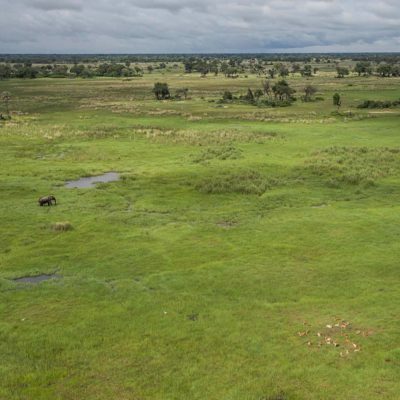 The Okavango is a top quality game viewing area and it should, almost without exception, be included on your itinerary! 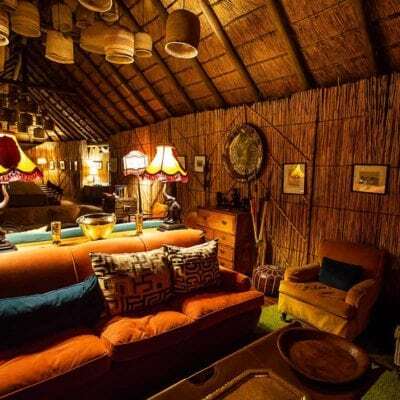 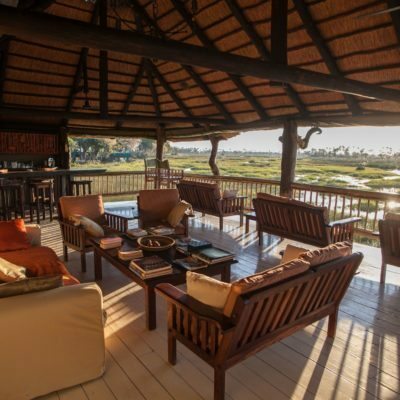 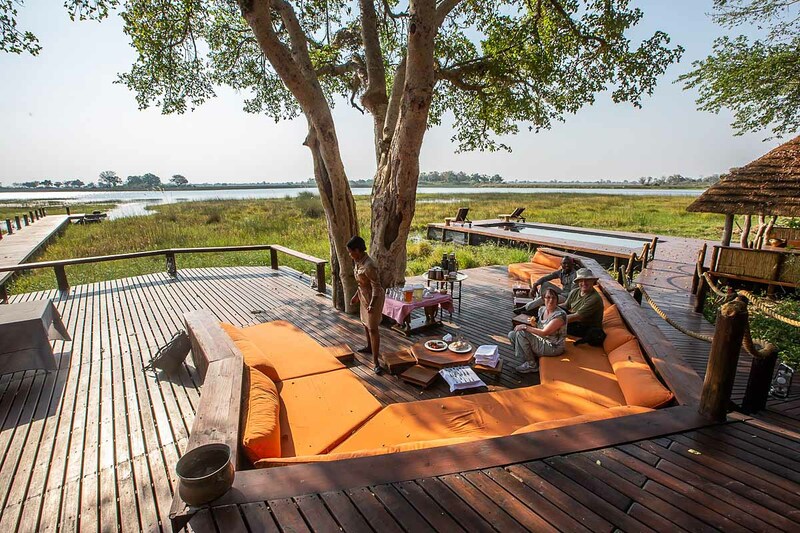 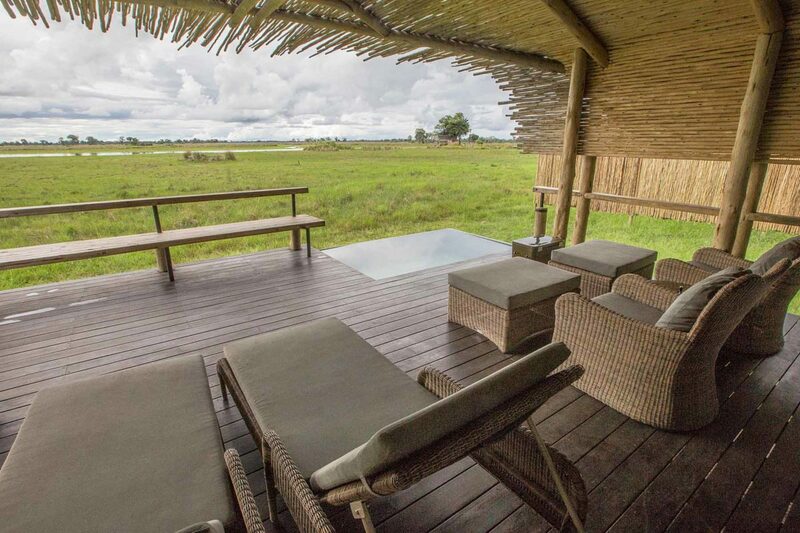 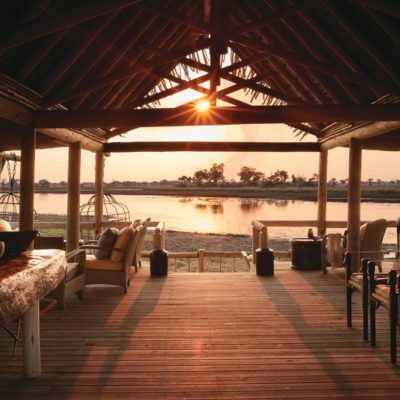 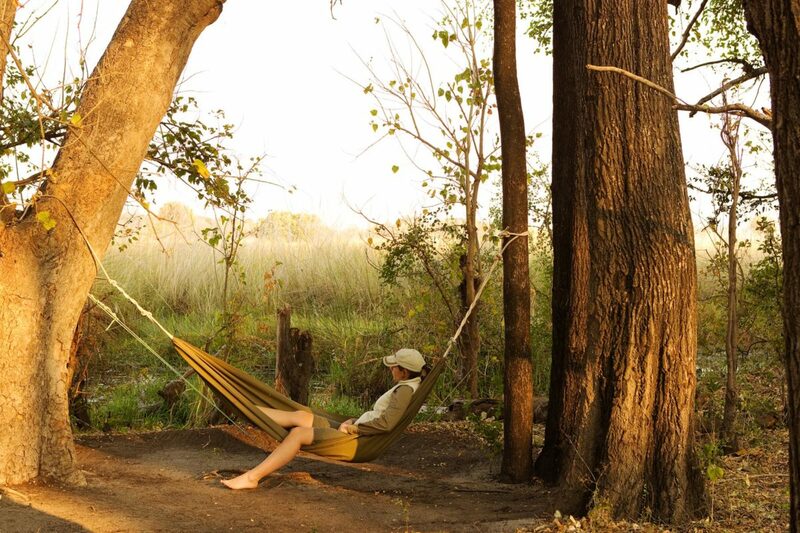 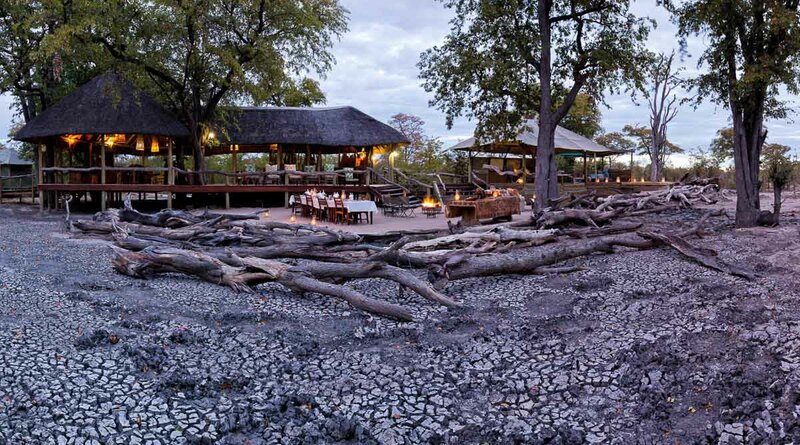 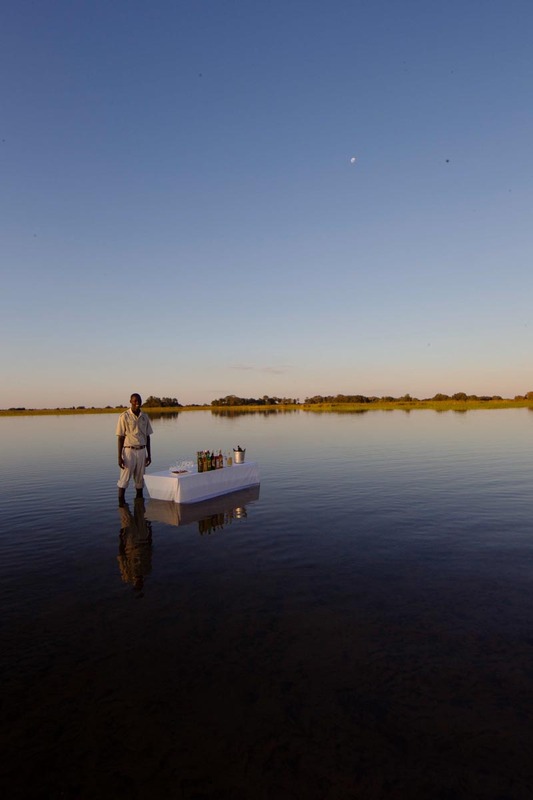 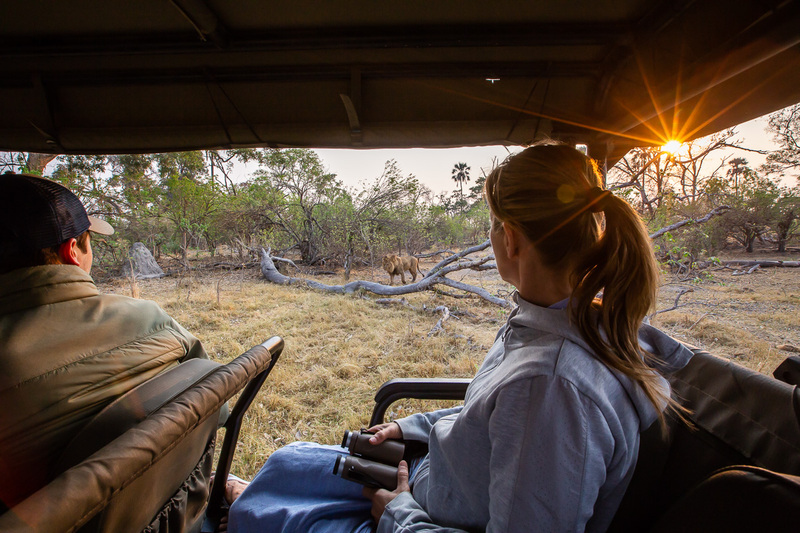 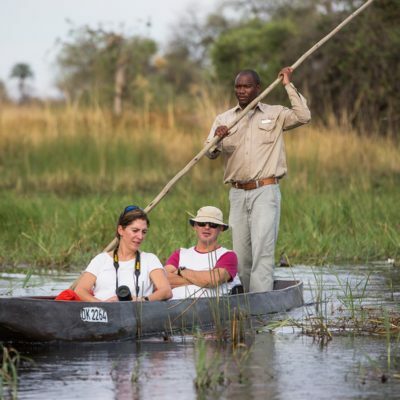 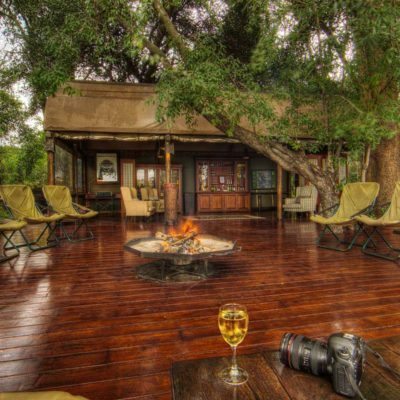 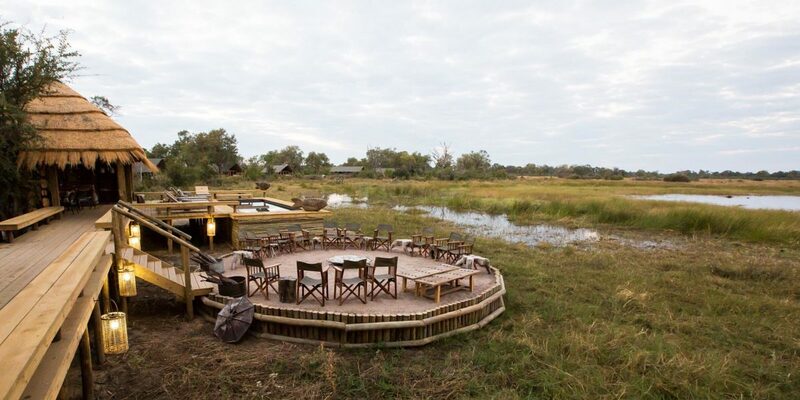 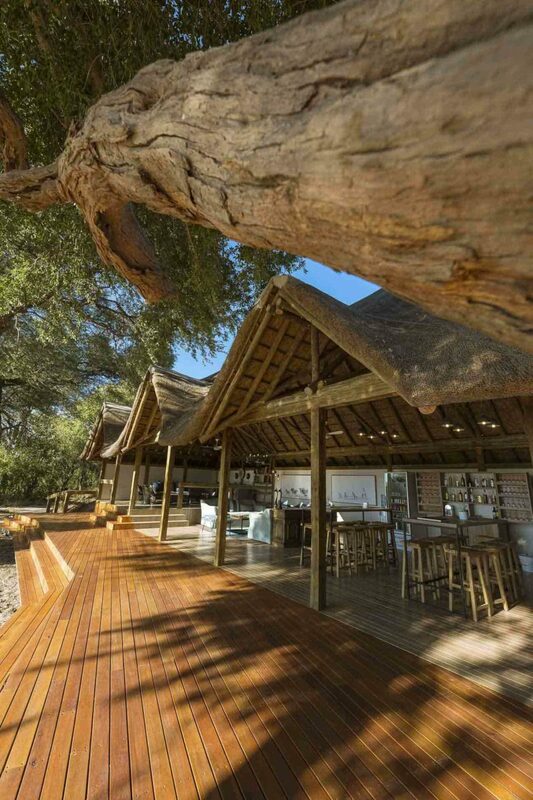 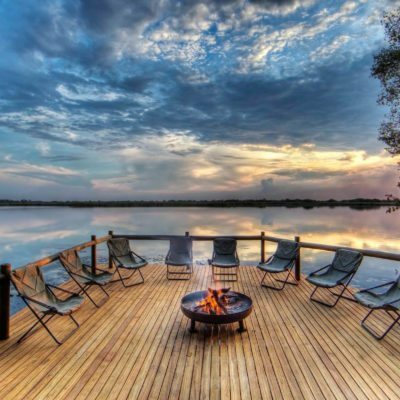 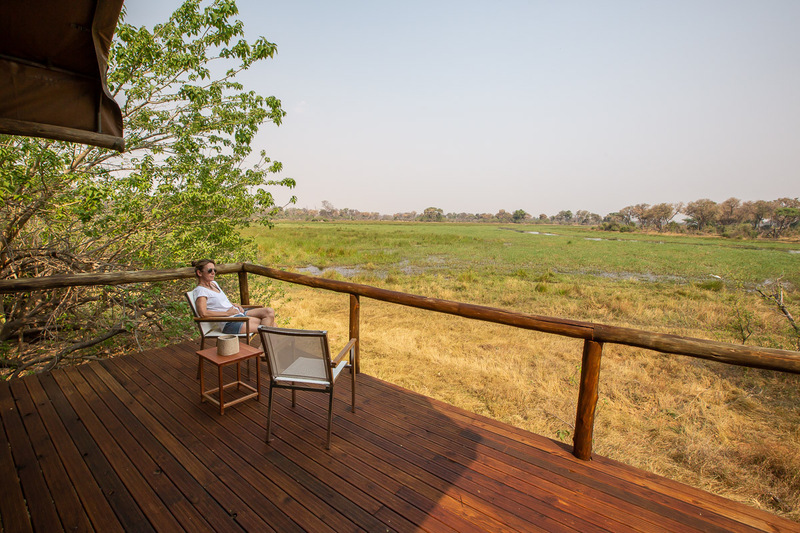 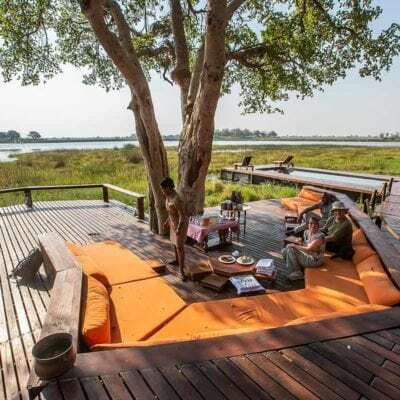 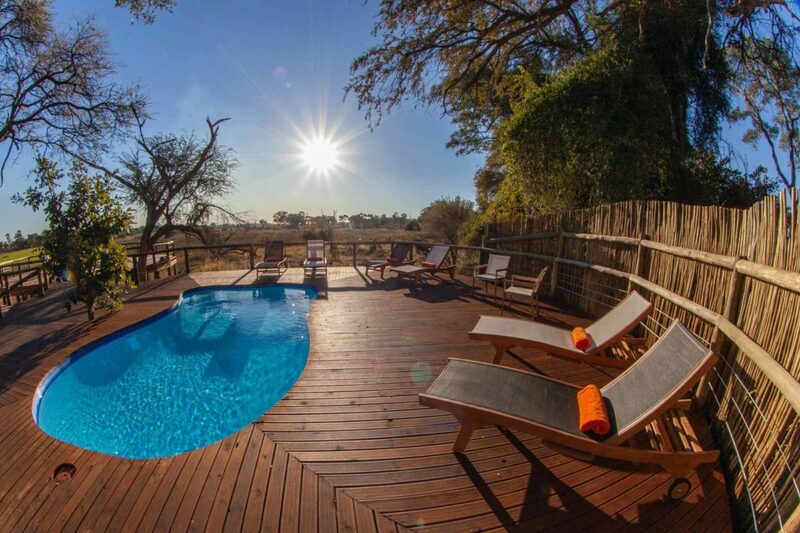 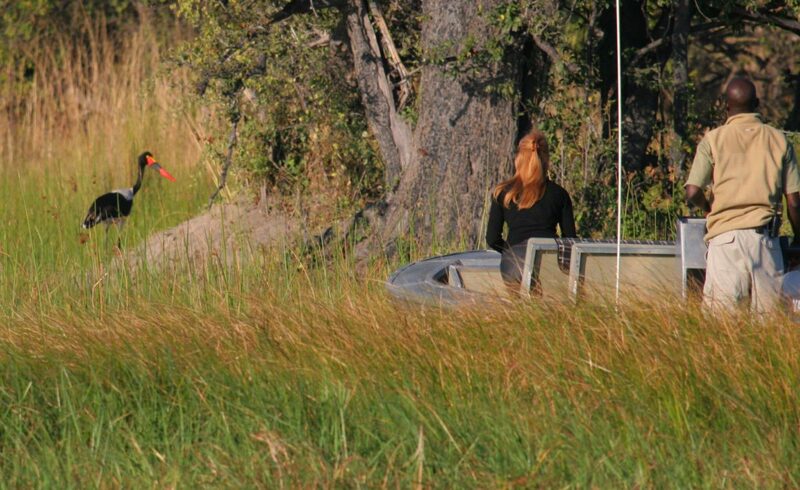 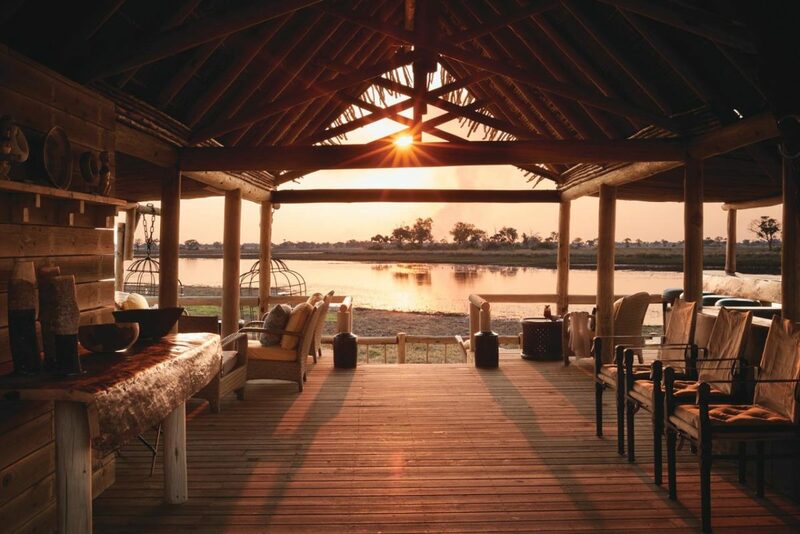 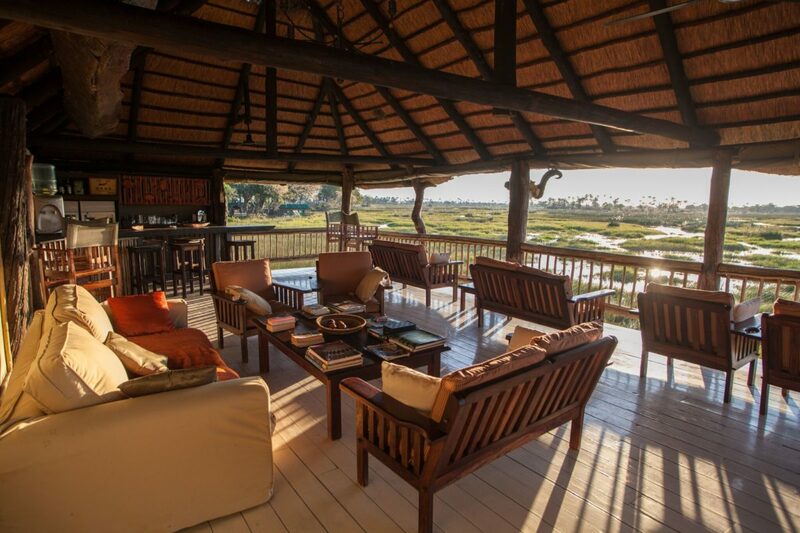 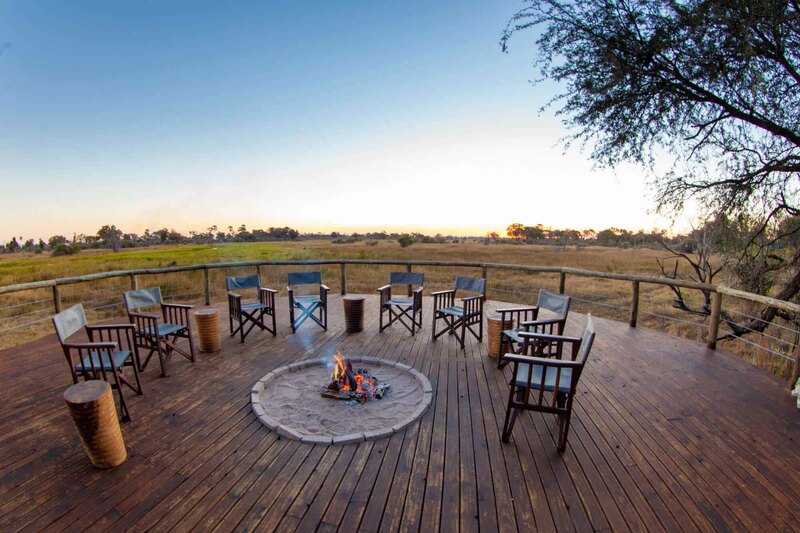 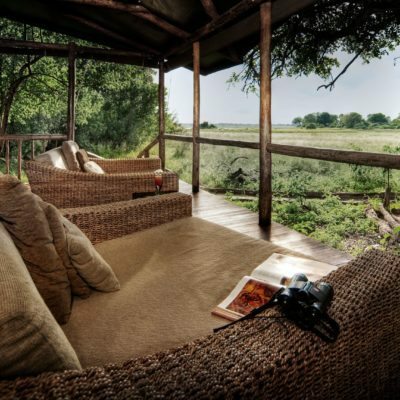 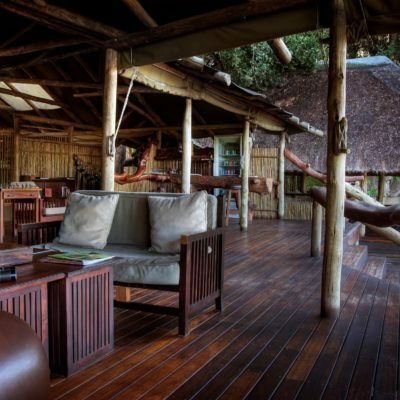 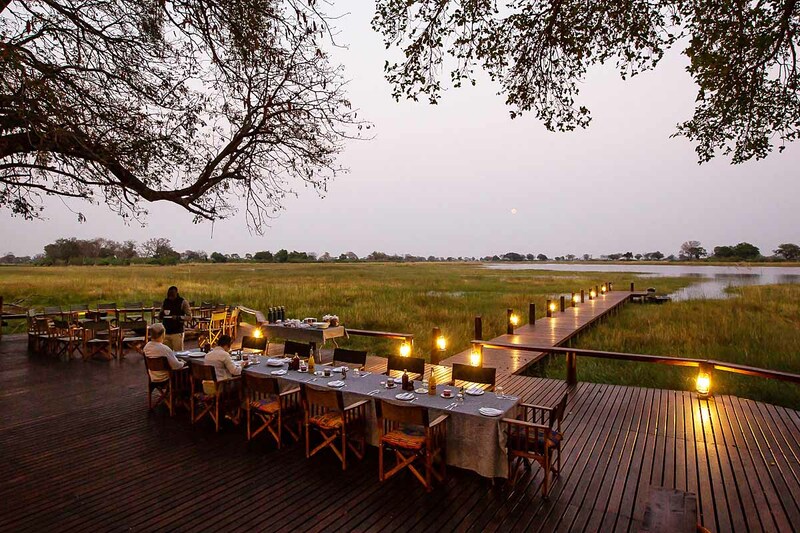 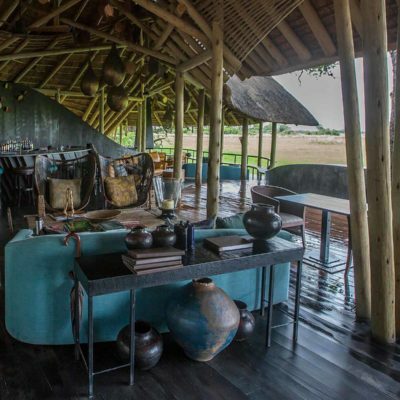 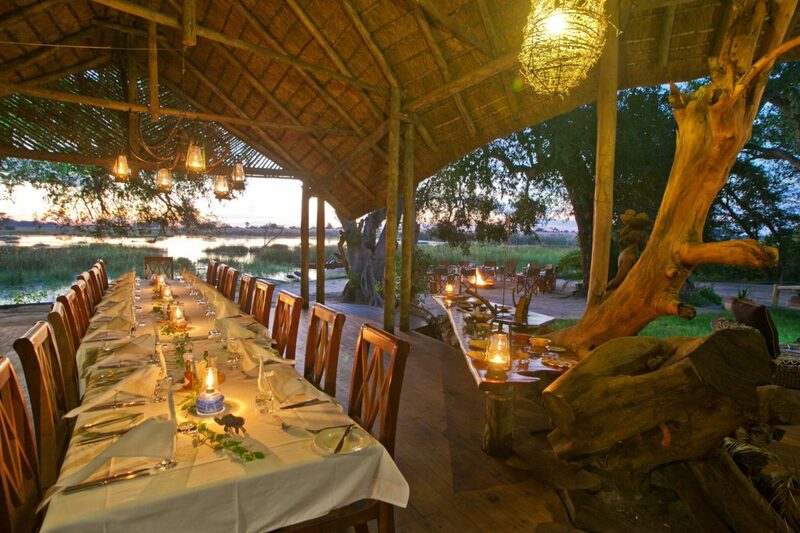 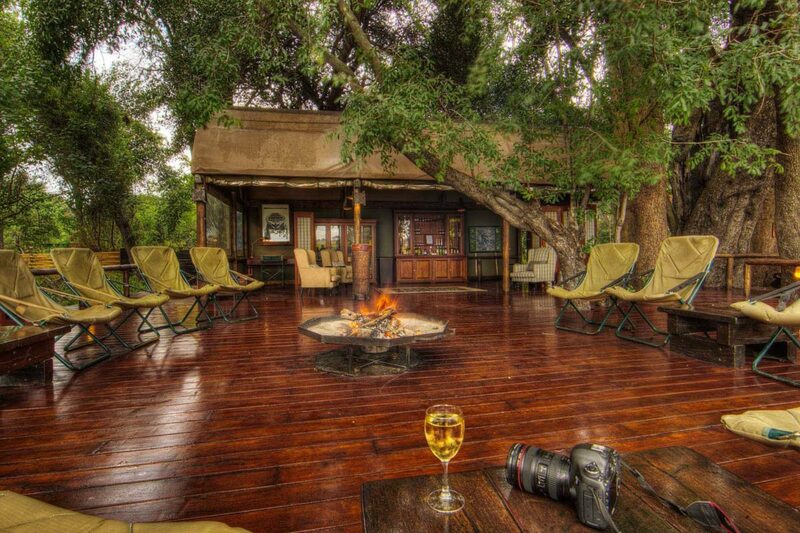 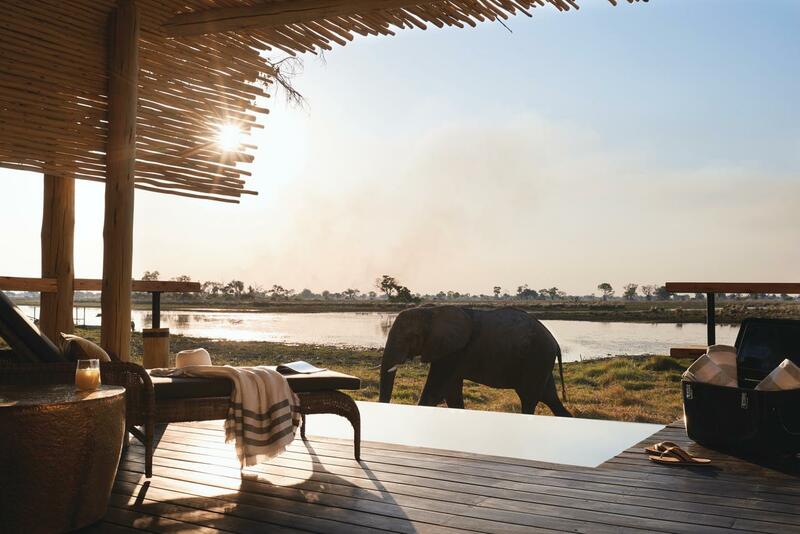 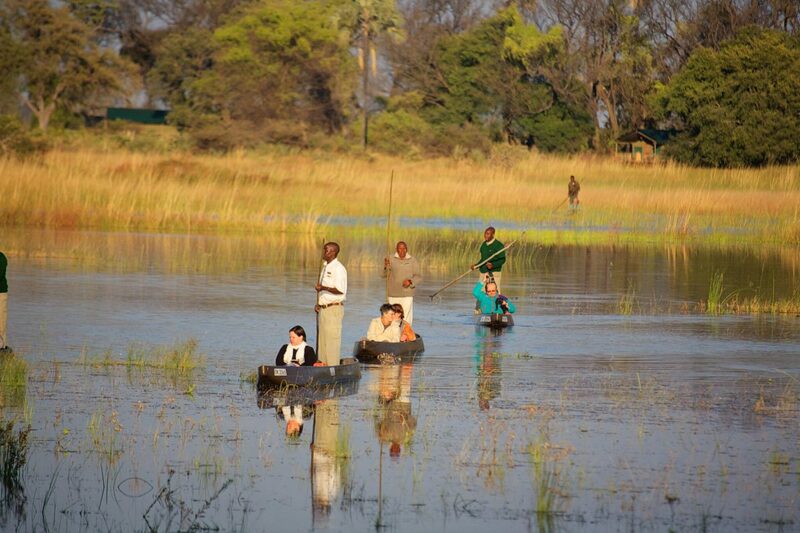 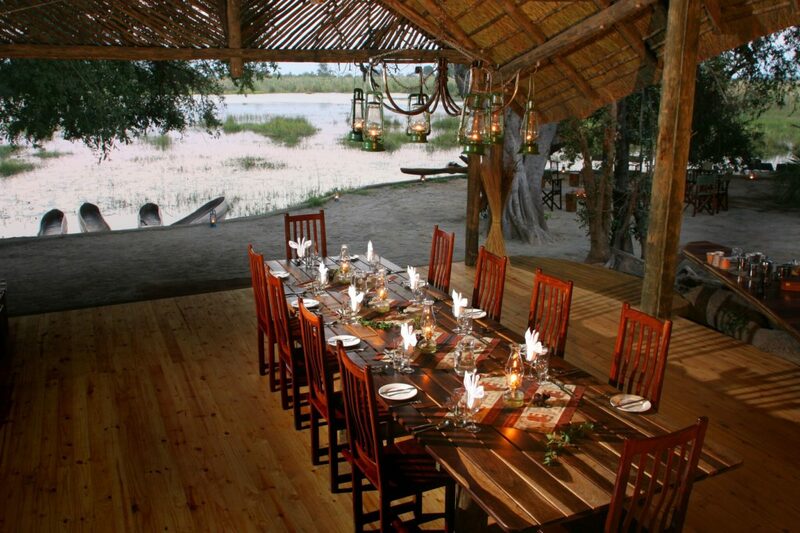 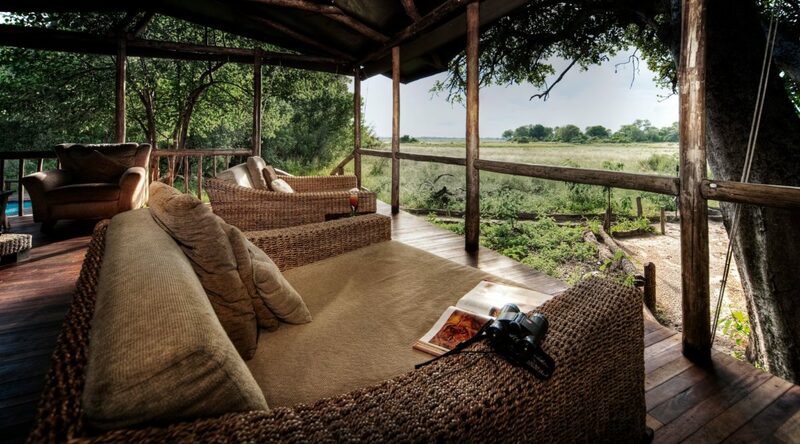 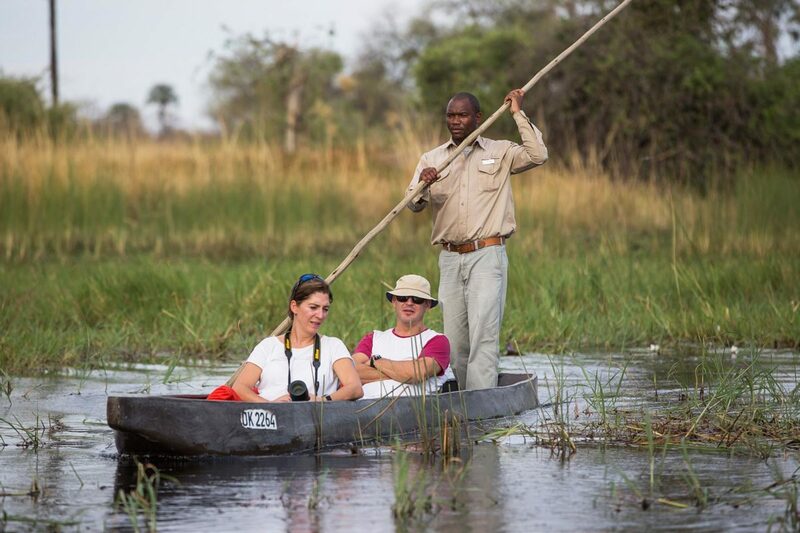 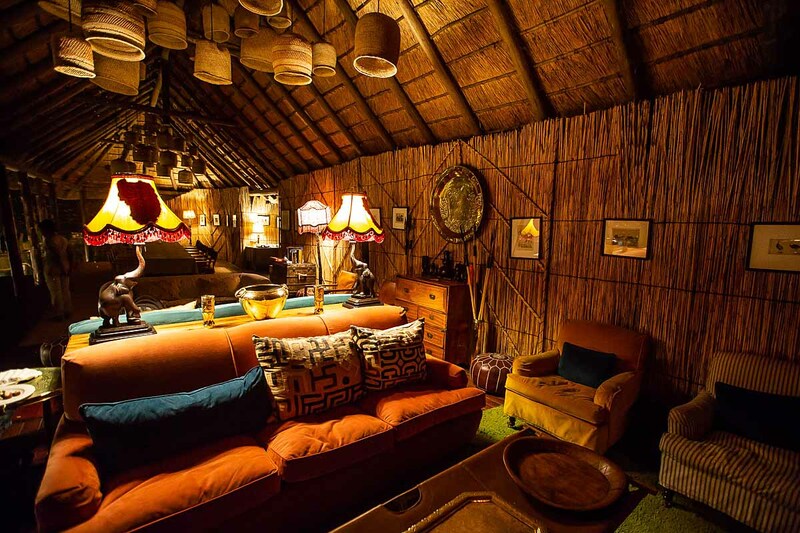 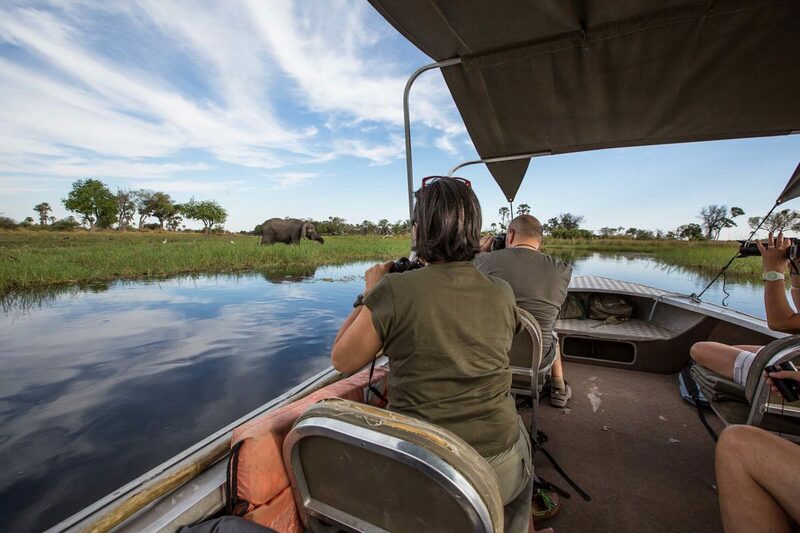 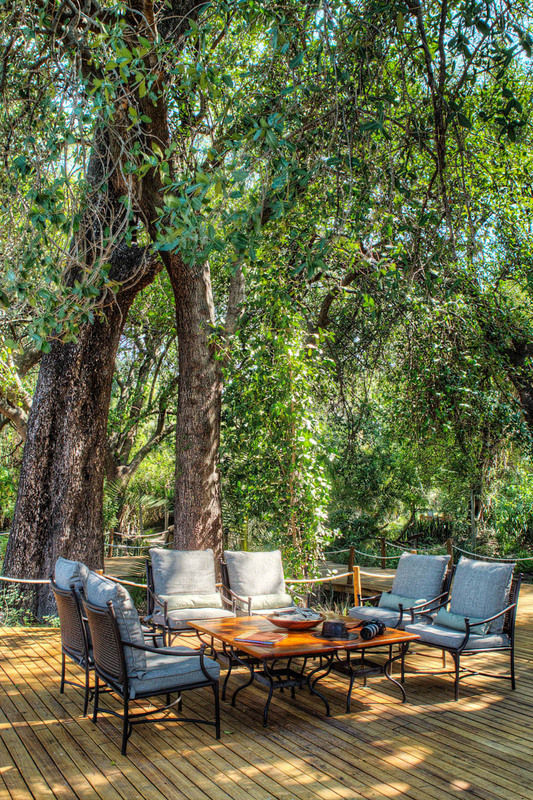 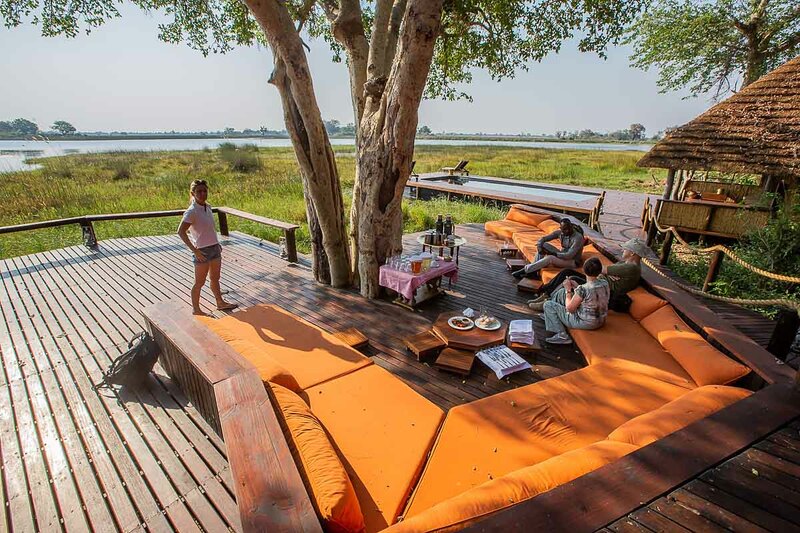 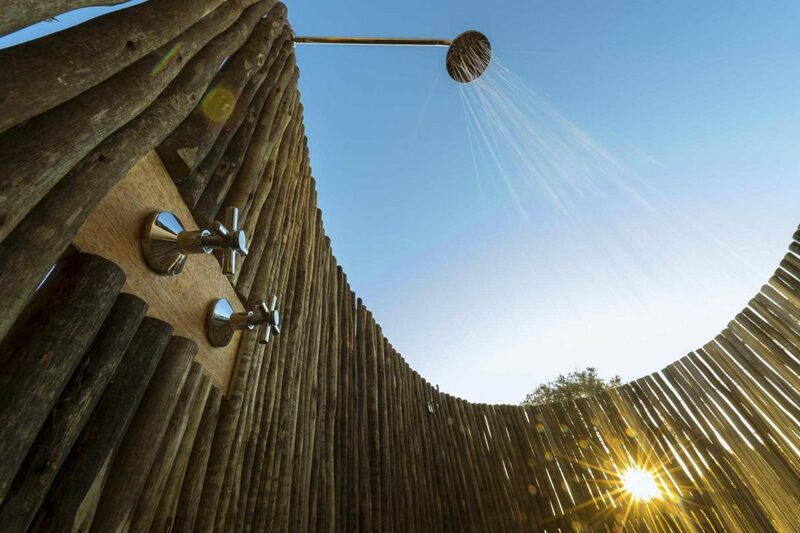 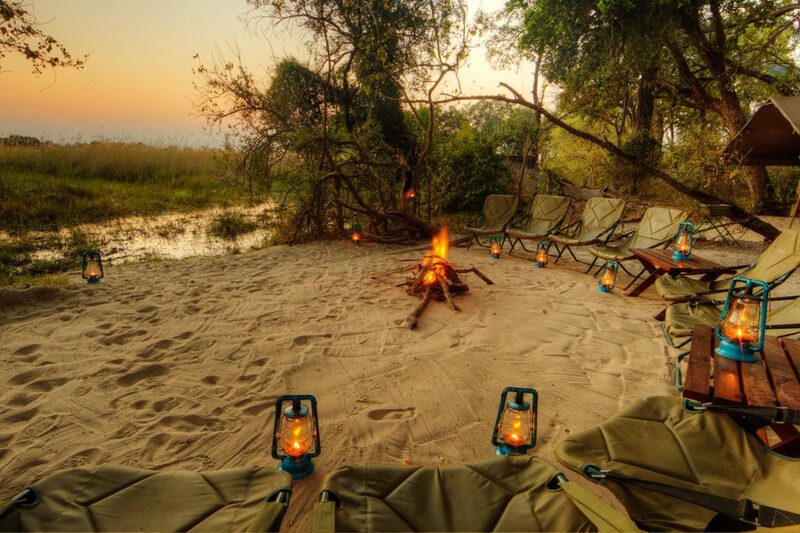 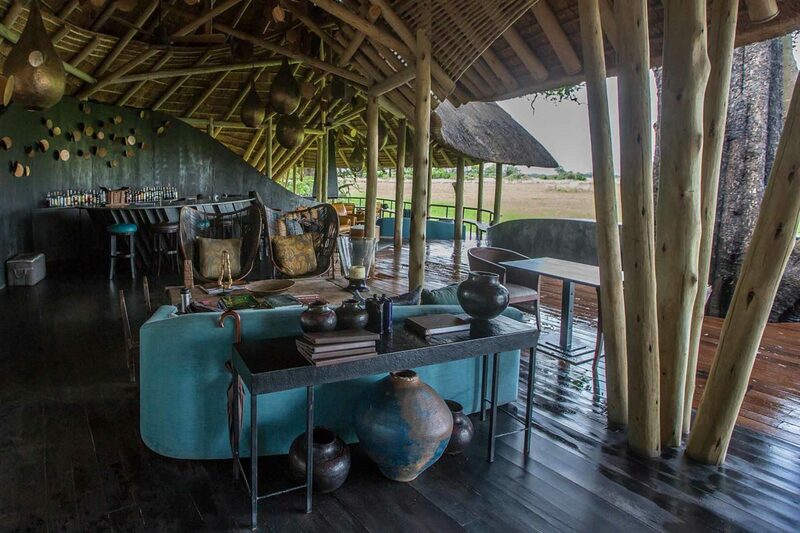 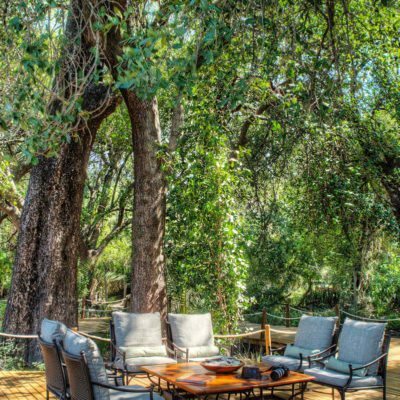 The Okavango is for serious game viewing – you could actually spend your whole safari here! 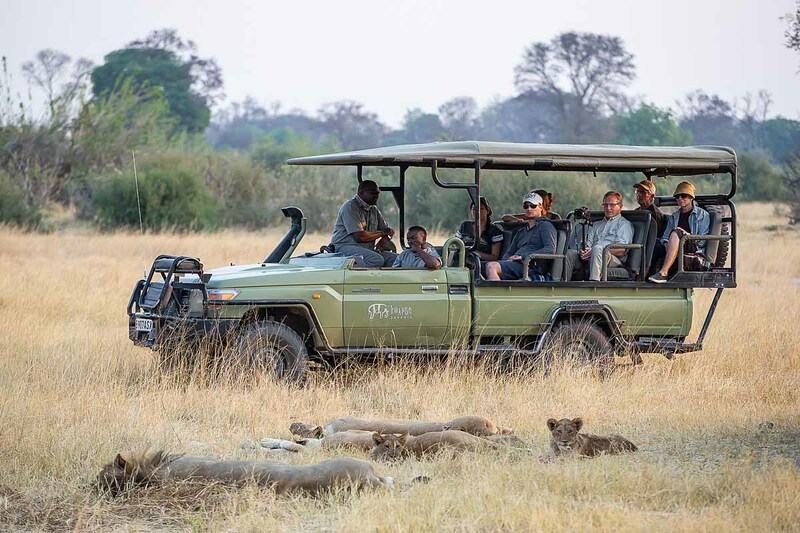 It boasts large herds of buffalo and elephants and predator viewing is exceptional with lion, leopard, wild dog and cheetah all present. 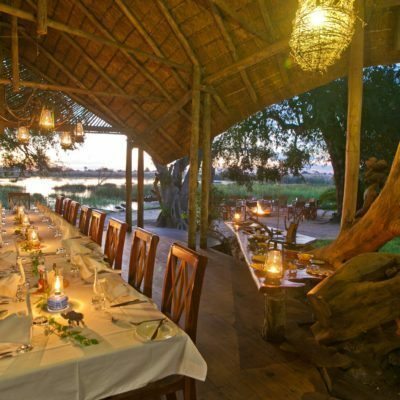 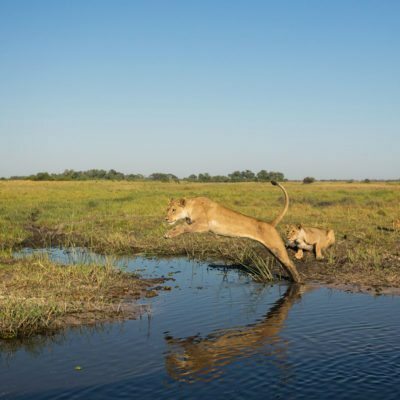 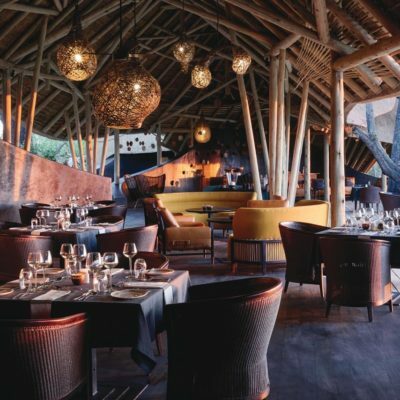 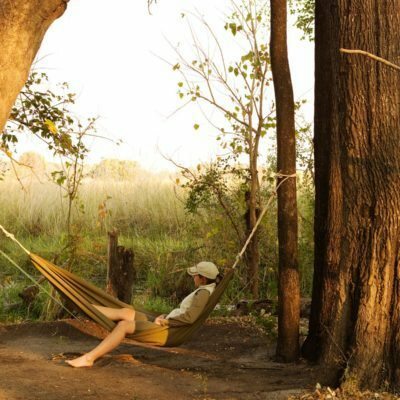 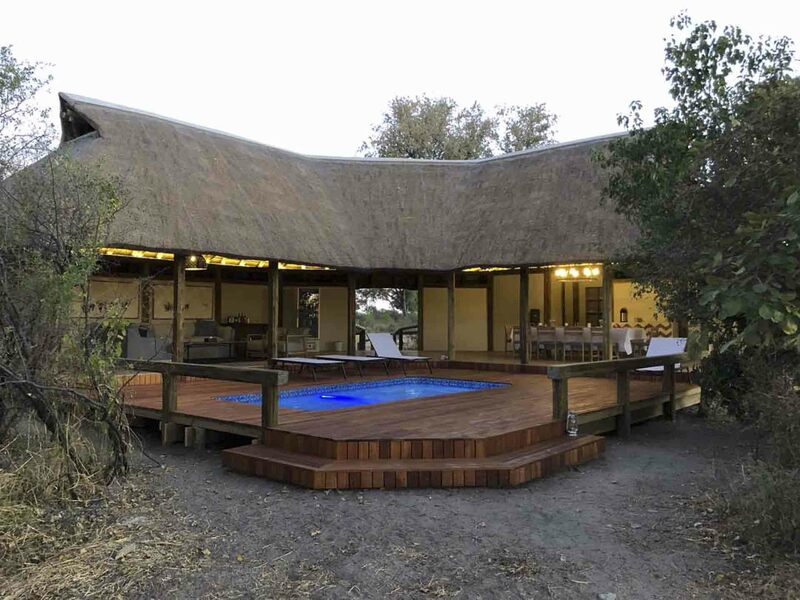 Some lodges in the delta are perhaps the best destination for following the behaviour of the predators – most concessions and Moremi have an excellent game drive network, all of the predators are fully habituated to the vehicles and the background of genuine Okavango scenery makes every sighting unforgettable. 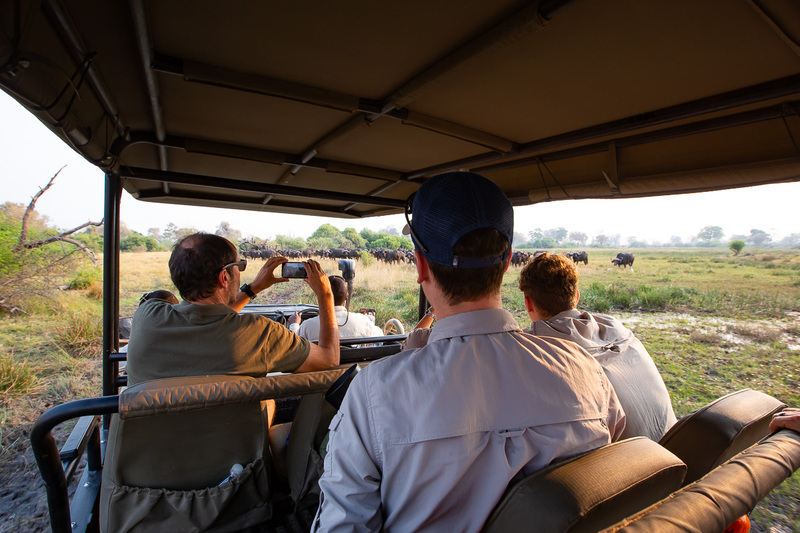 Further, the Okavango offers the most varied and productive game viewing of any of our parks, with healthy populations of all the antelope and giraffe. 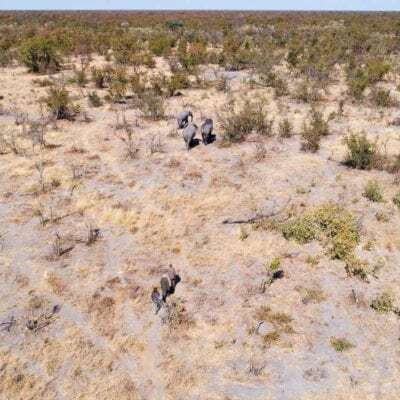 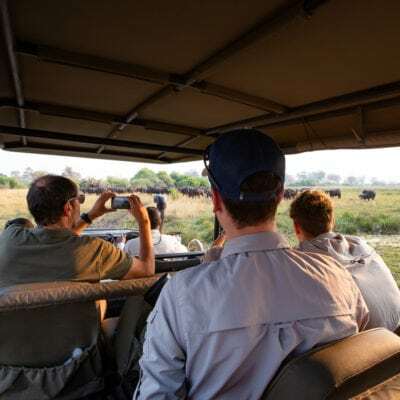 It is common to find massive herds of buffalo numbering in the hundreds and the breeding herds of elephants are relaxed in the presence of vehicles and fairly easy to find. 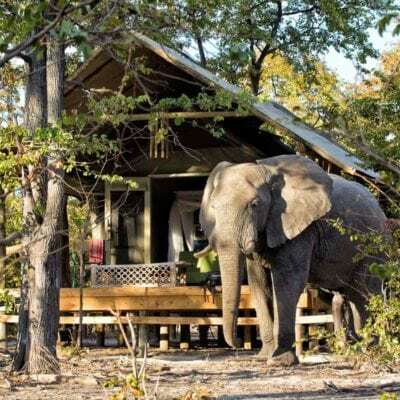 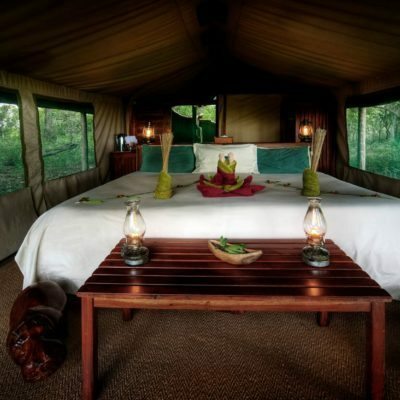 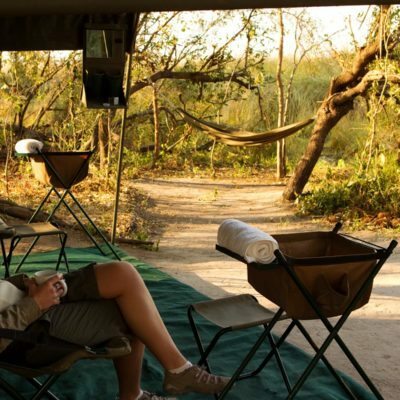 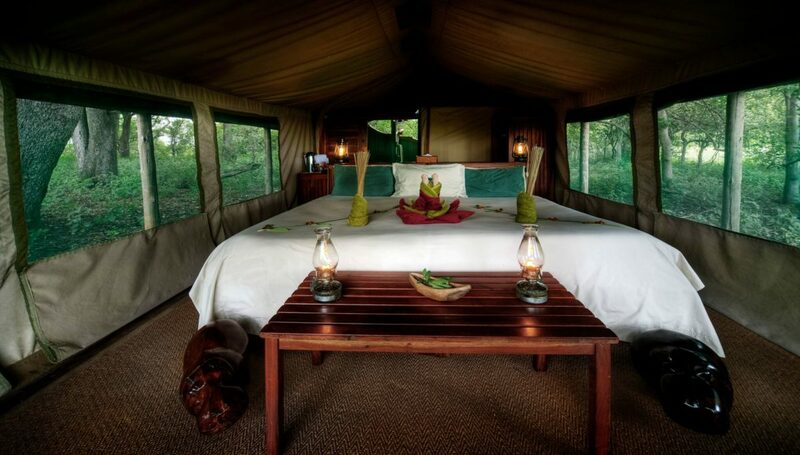 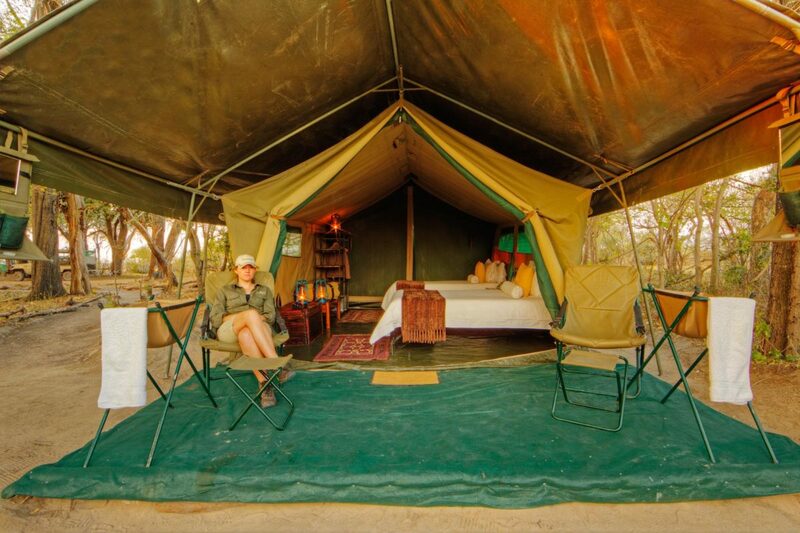 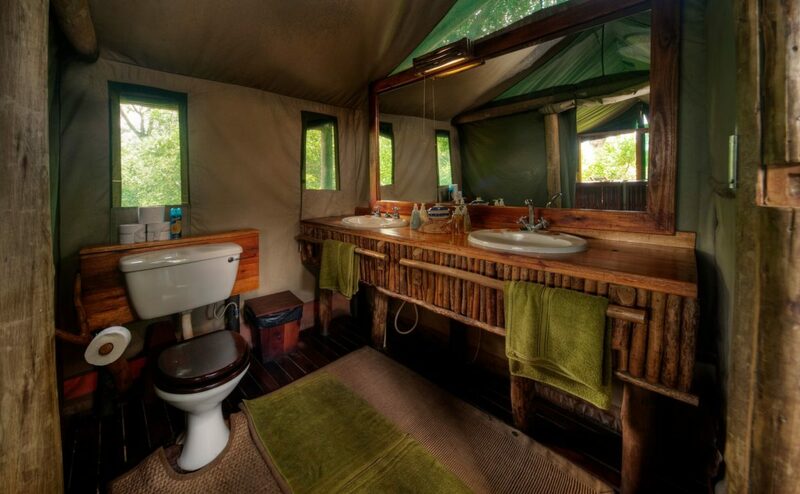 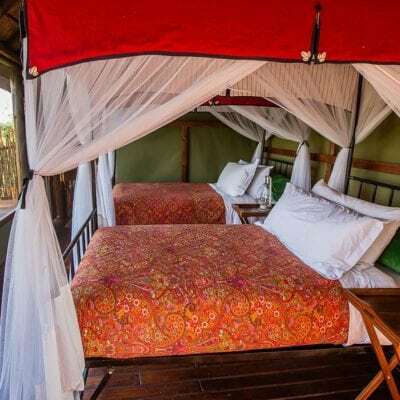 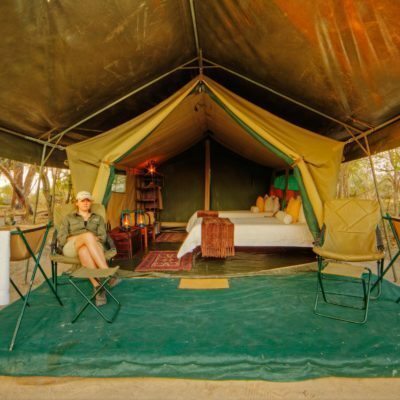 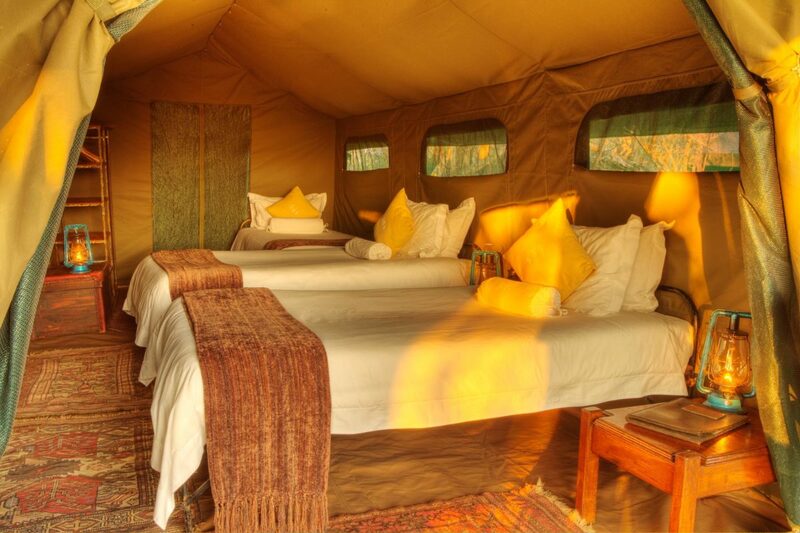 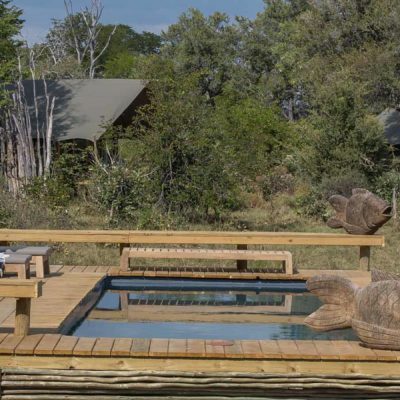 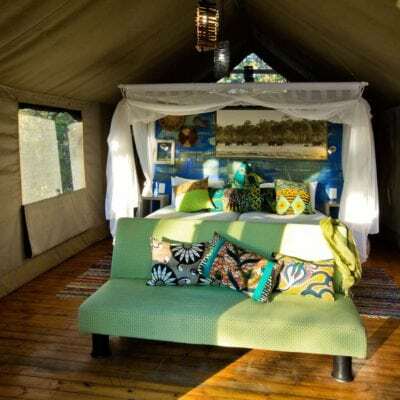 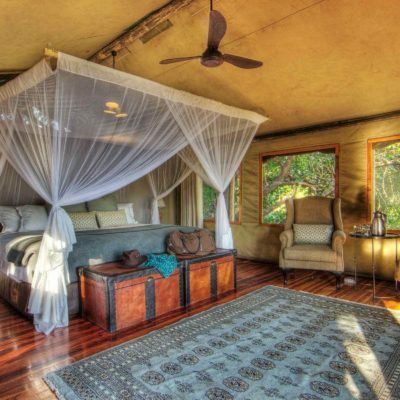 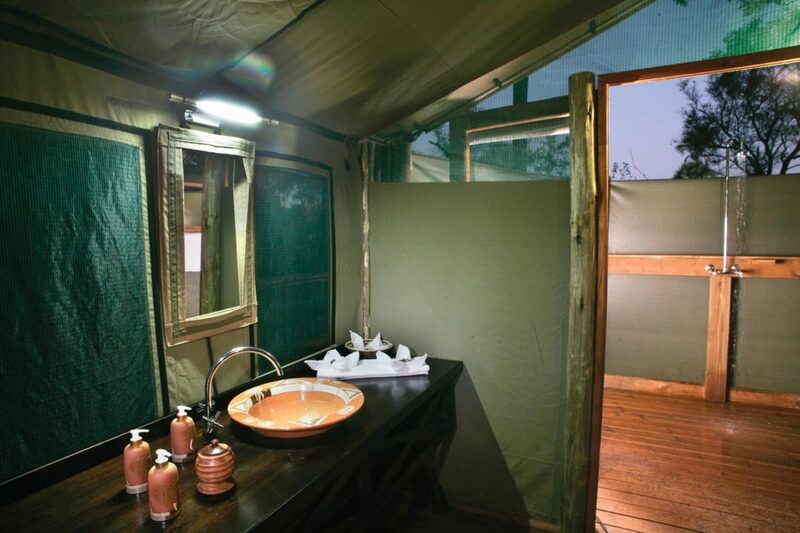 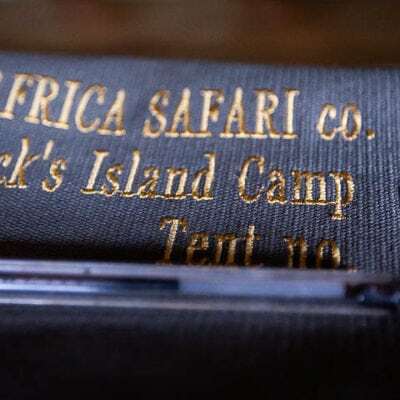 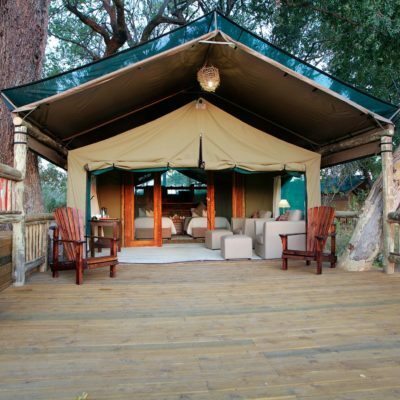 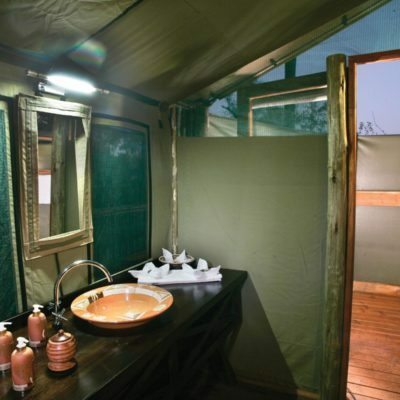 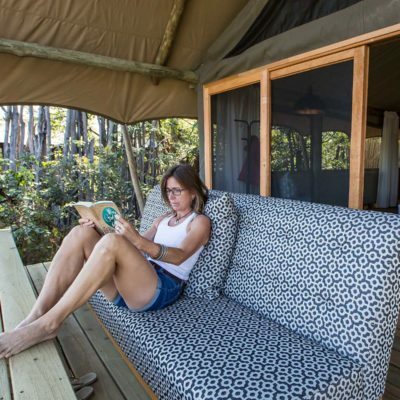 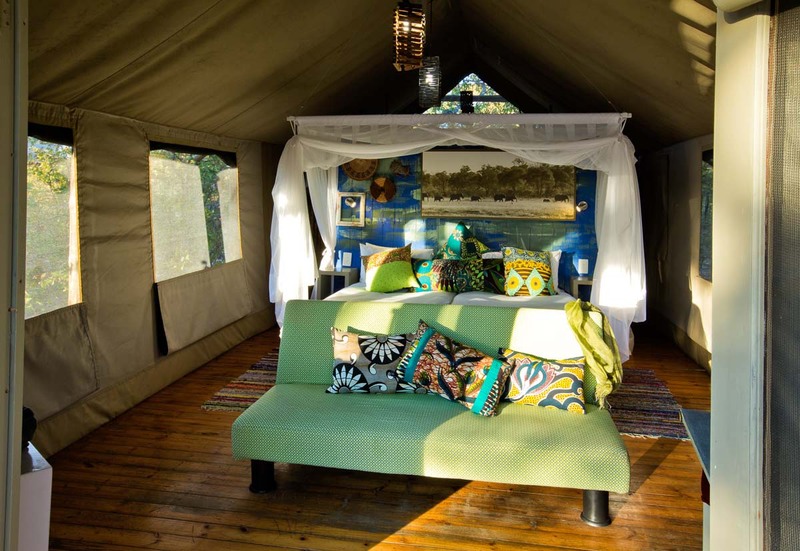 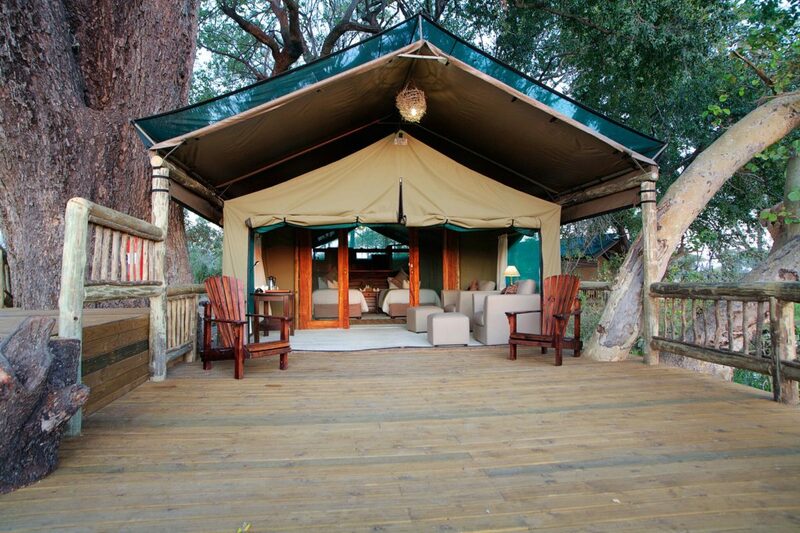 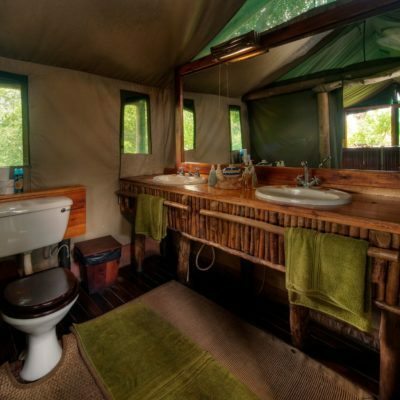 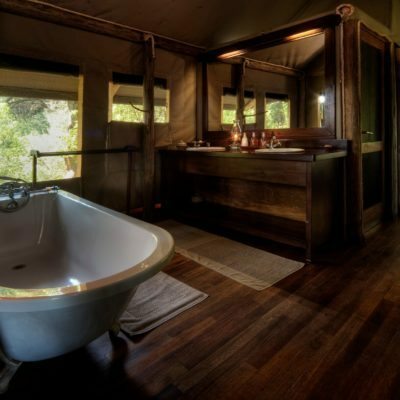 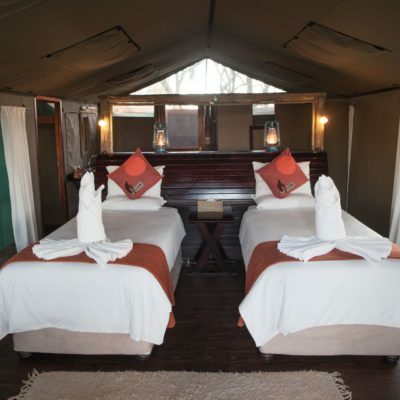 There is a large range of safari Camps to choose from that offer seemingly perfect locations to see all the animals. 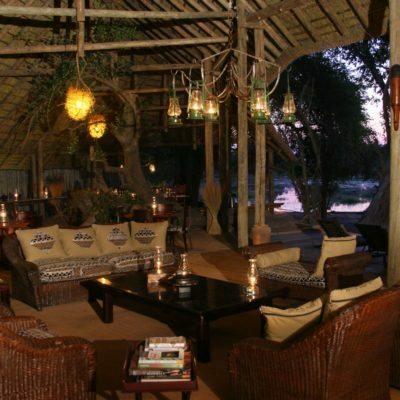 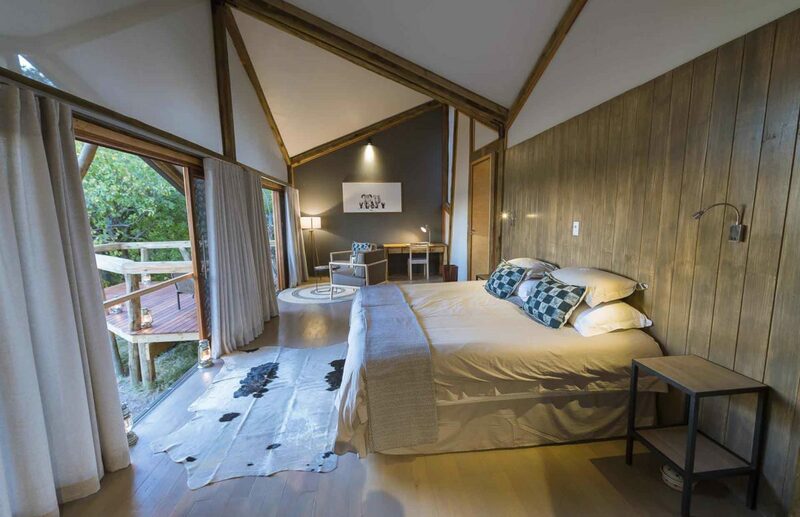 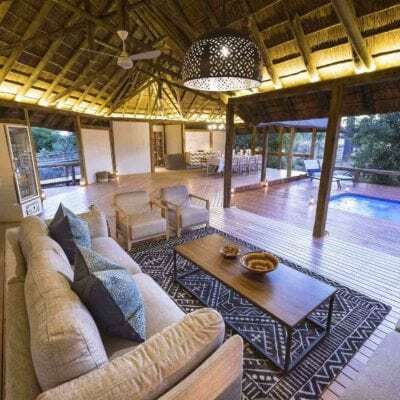 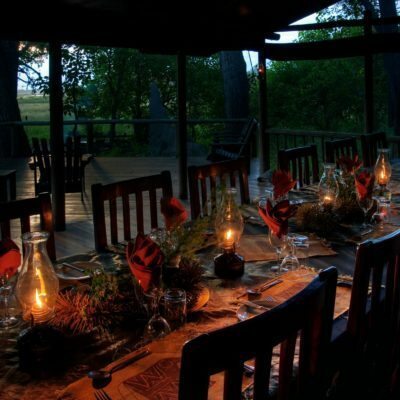 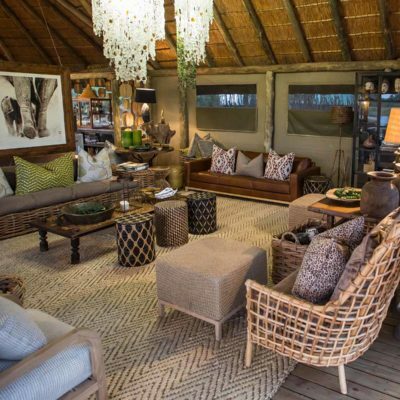 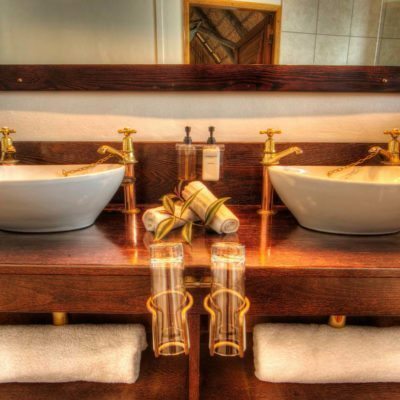 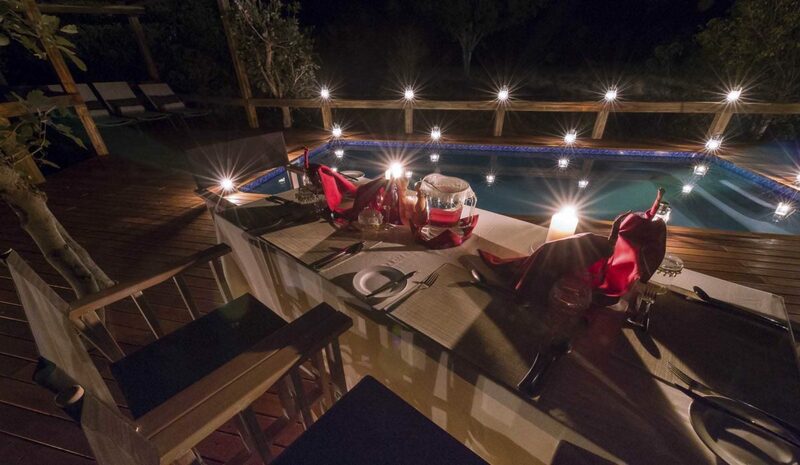 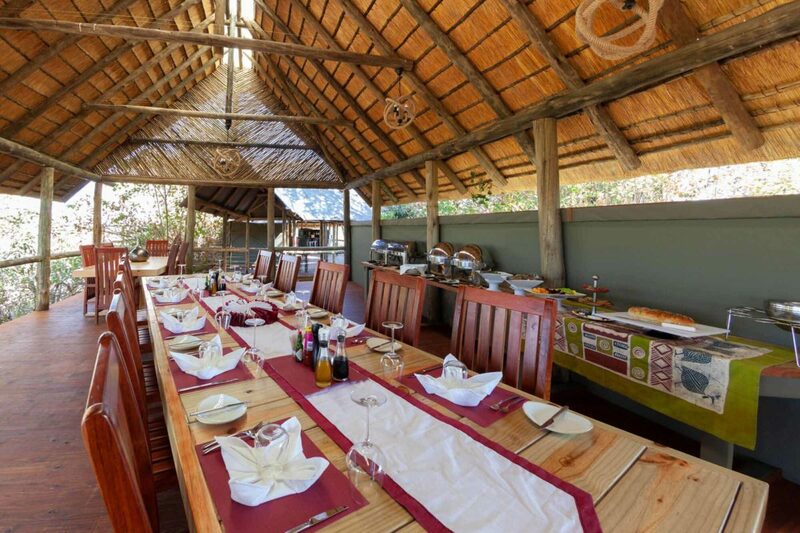 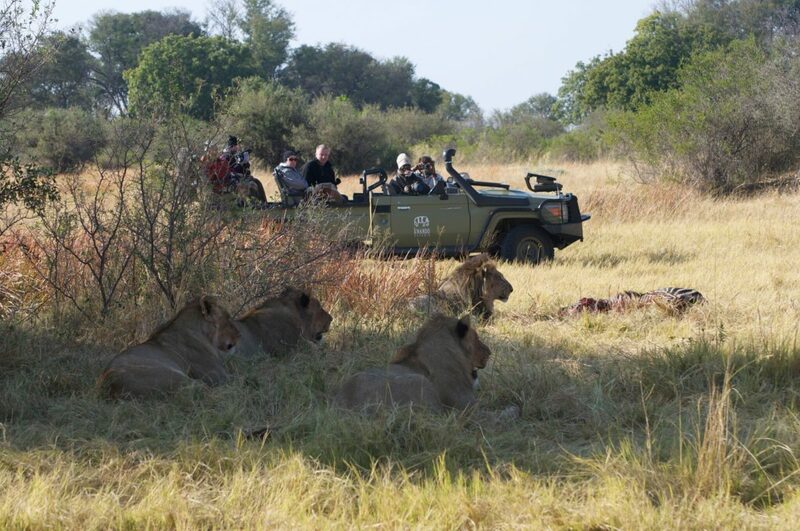 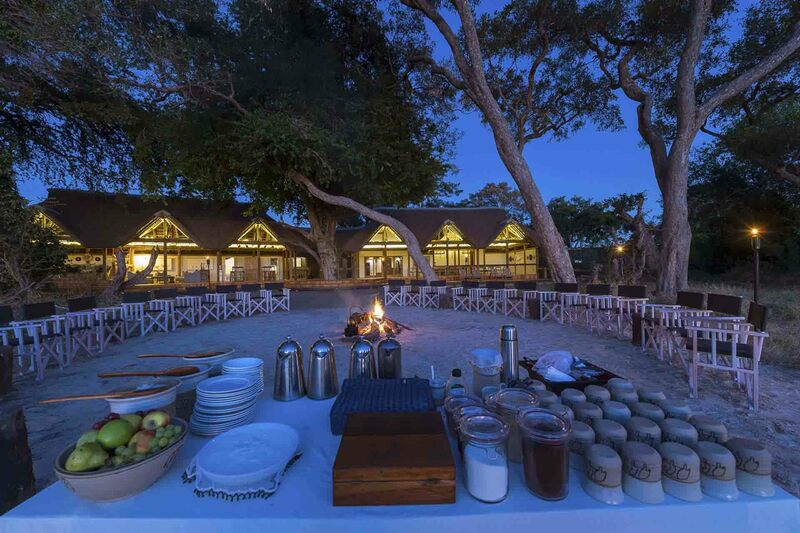 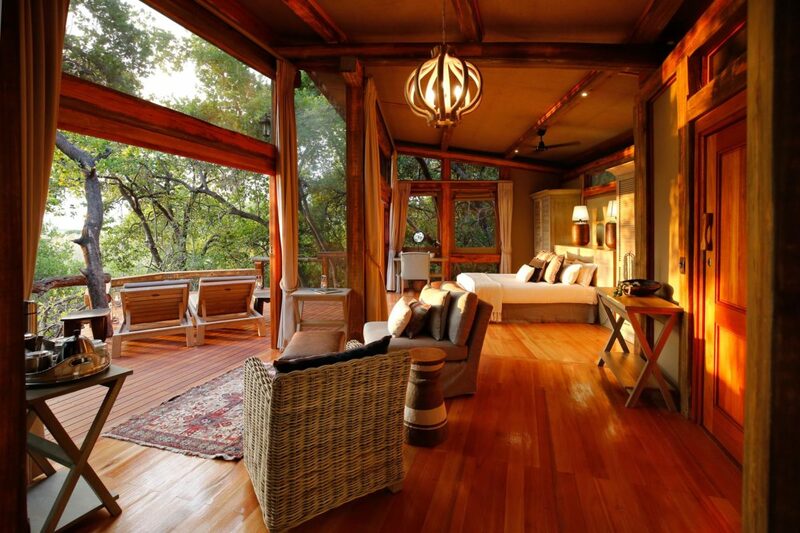 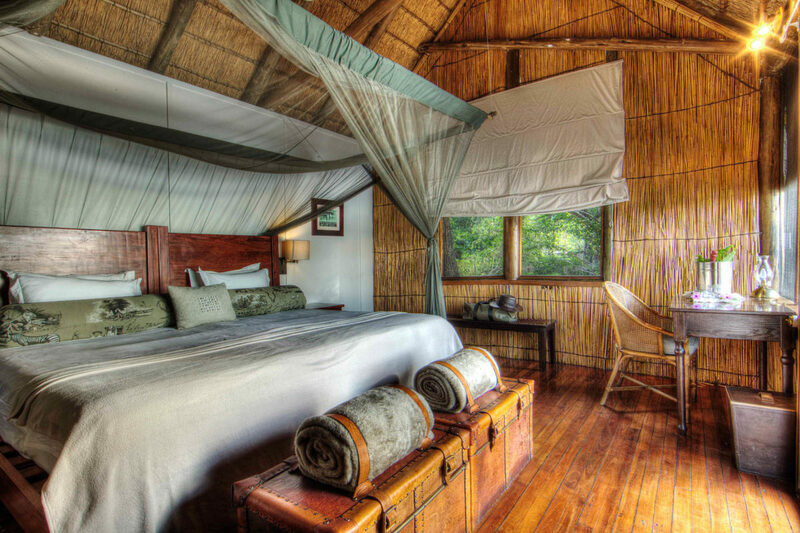 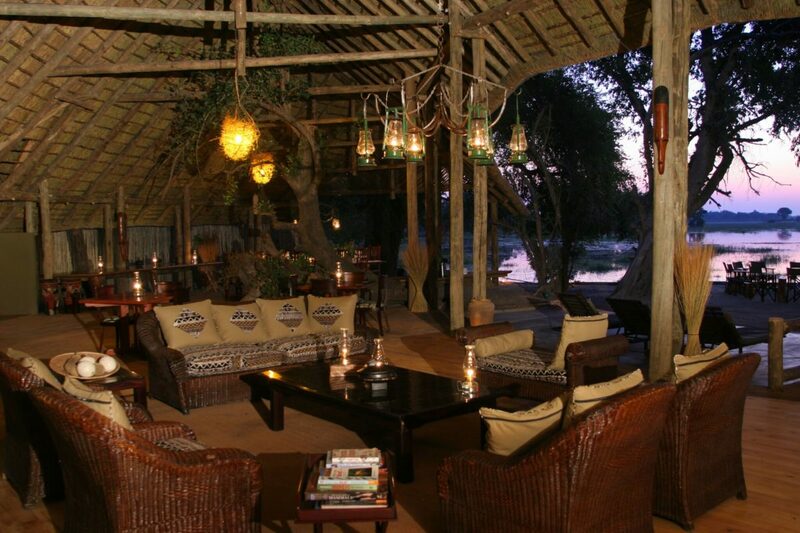 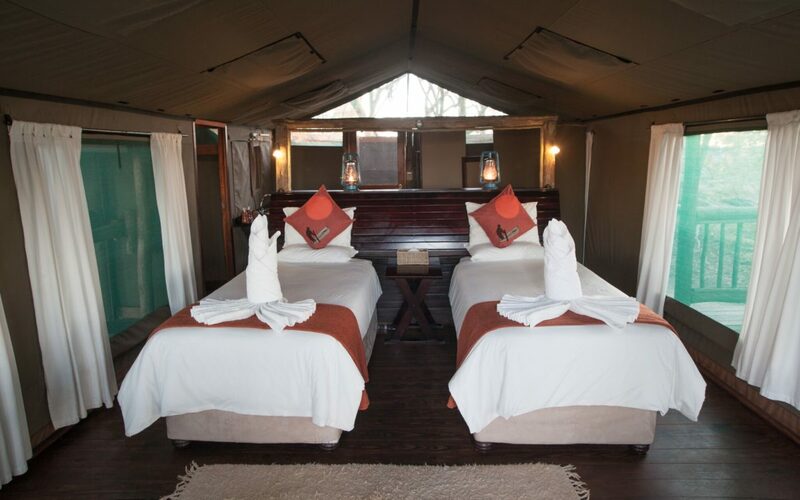 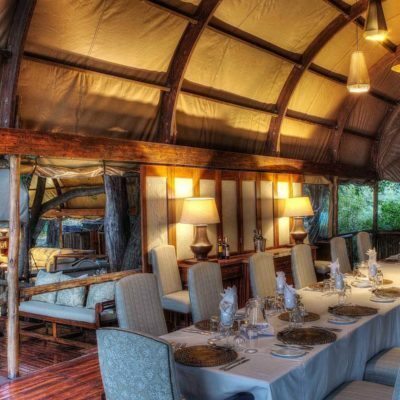 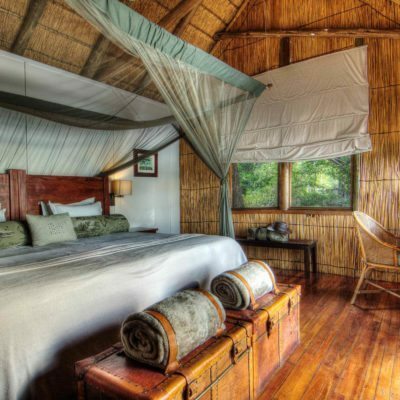 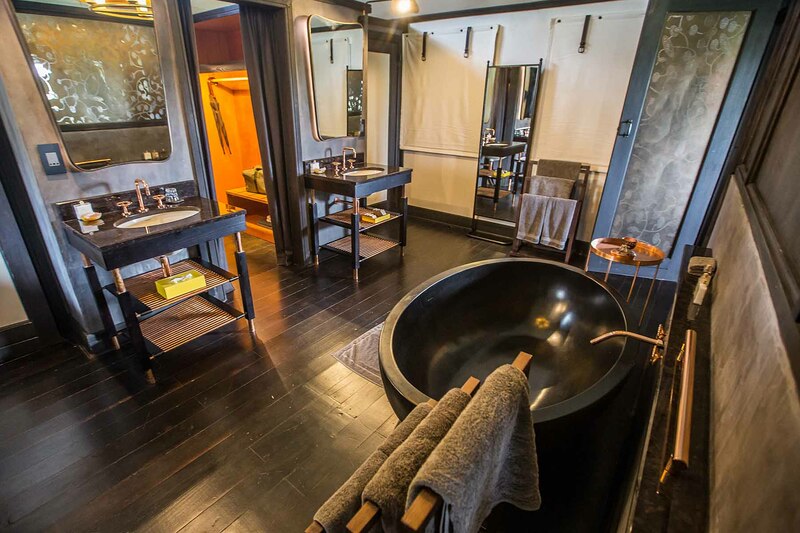 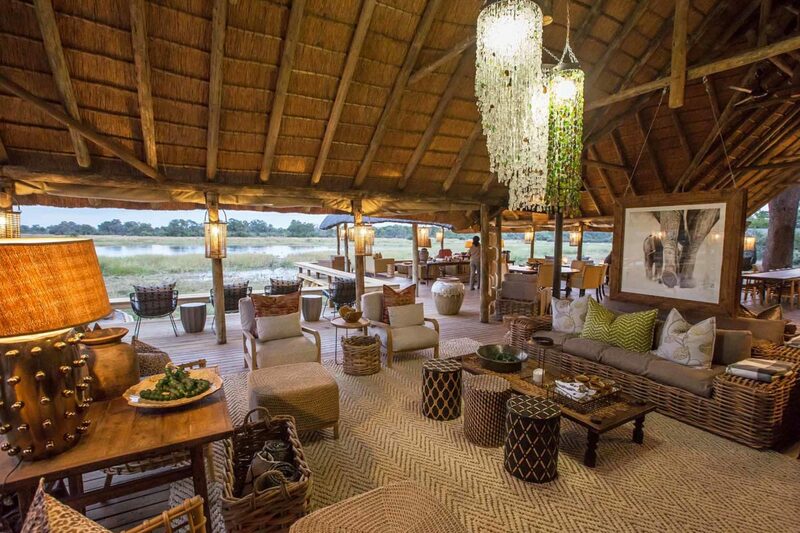 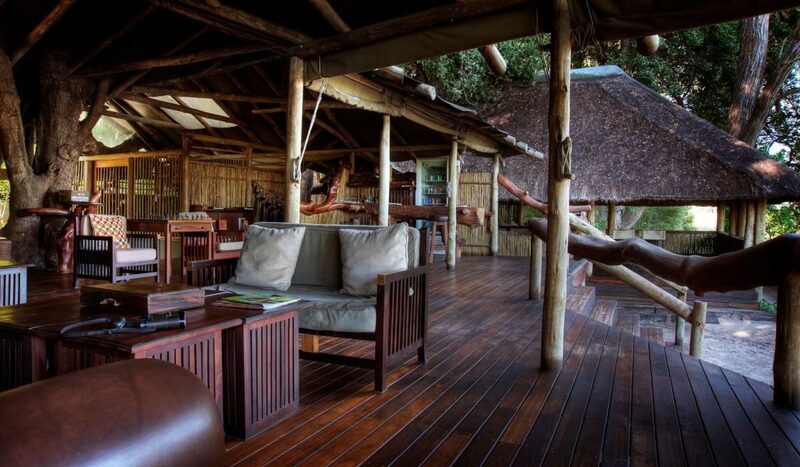 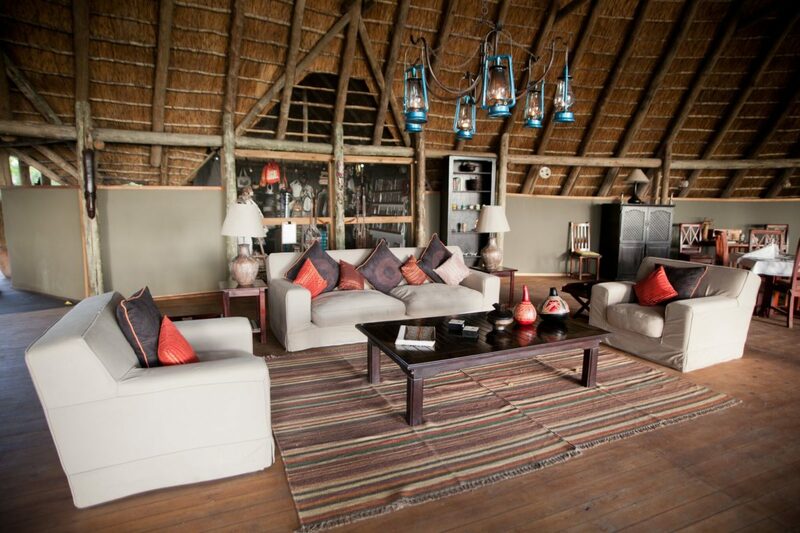 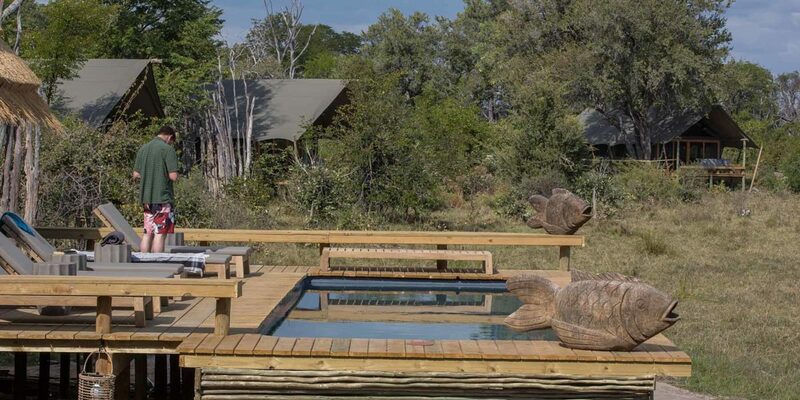 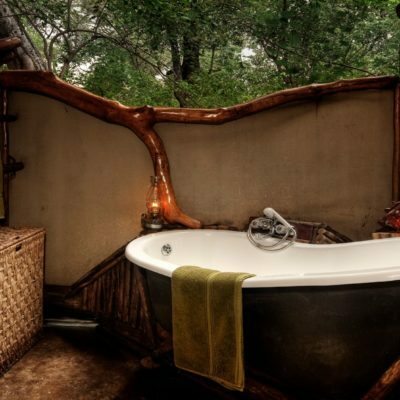 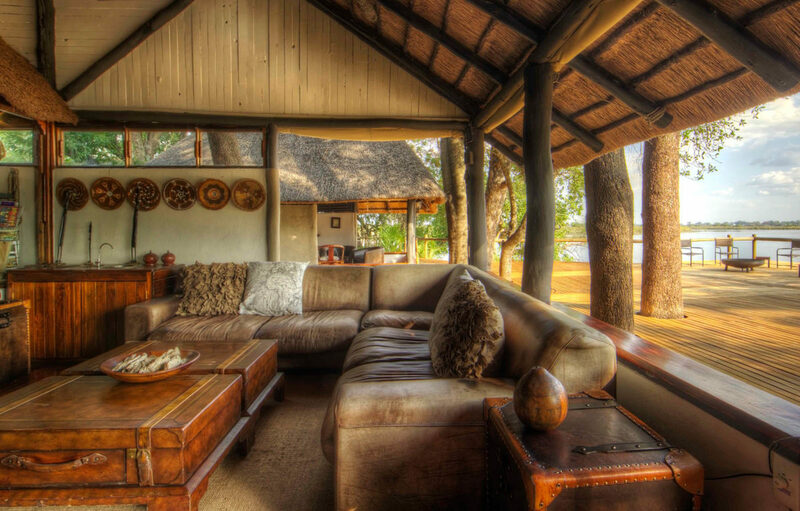 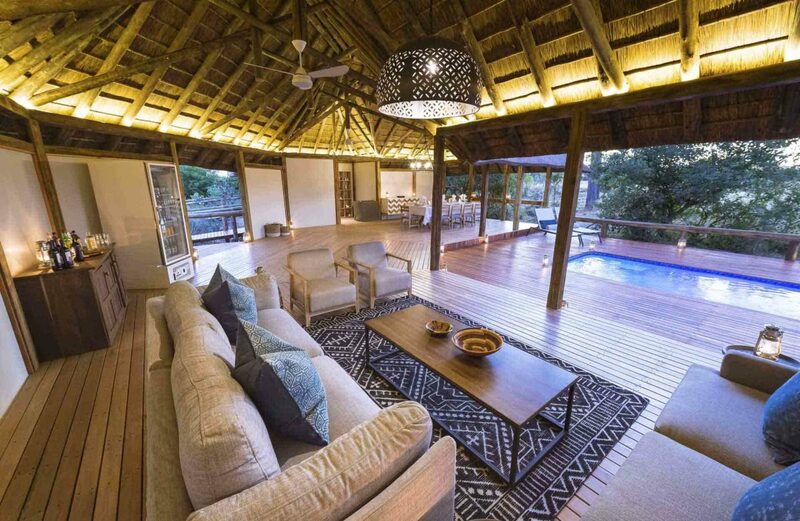 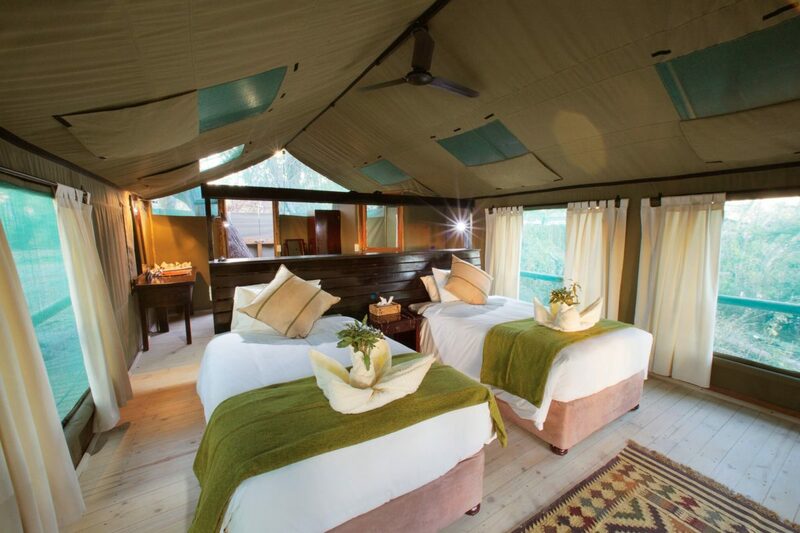 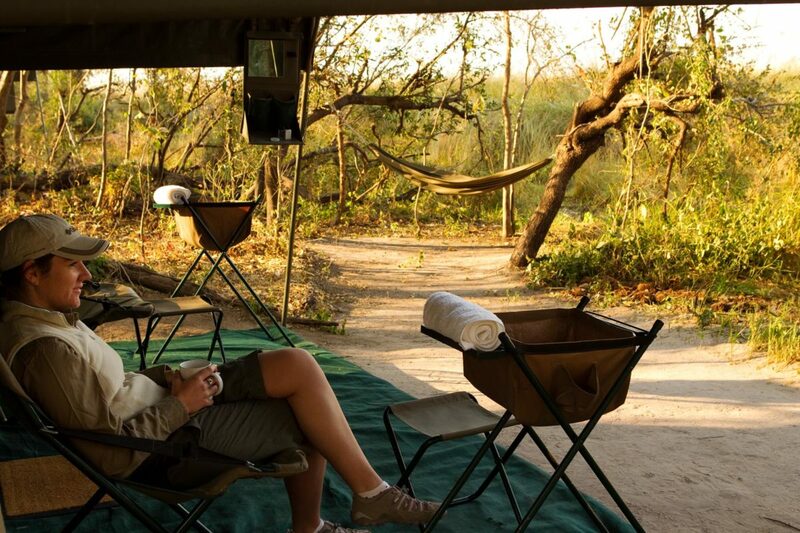 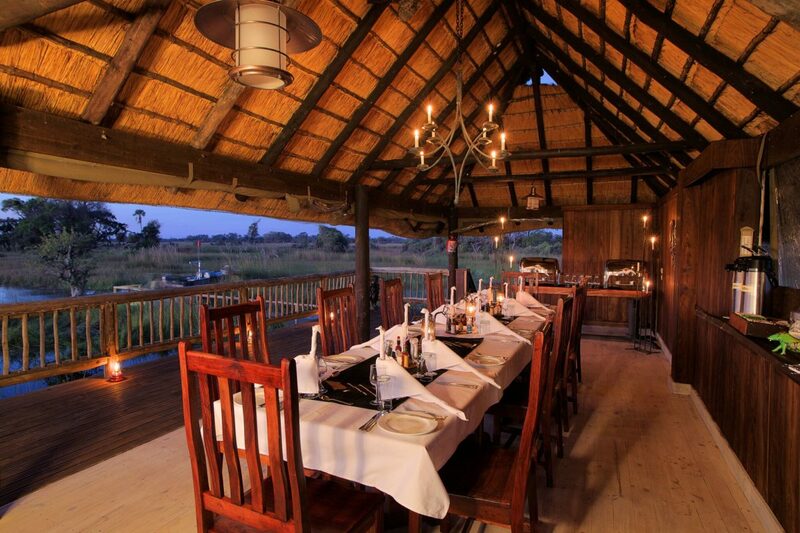 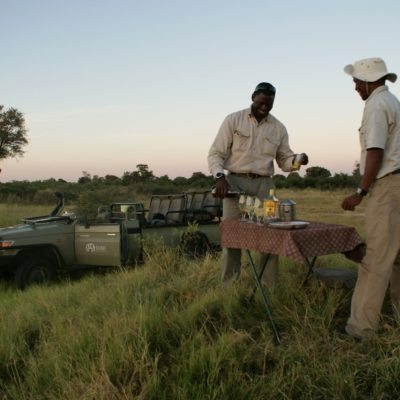 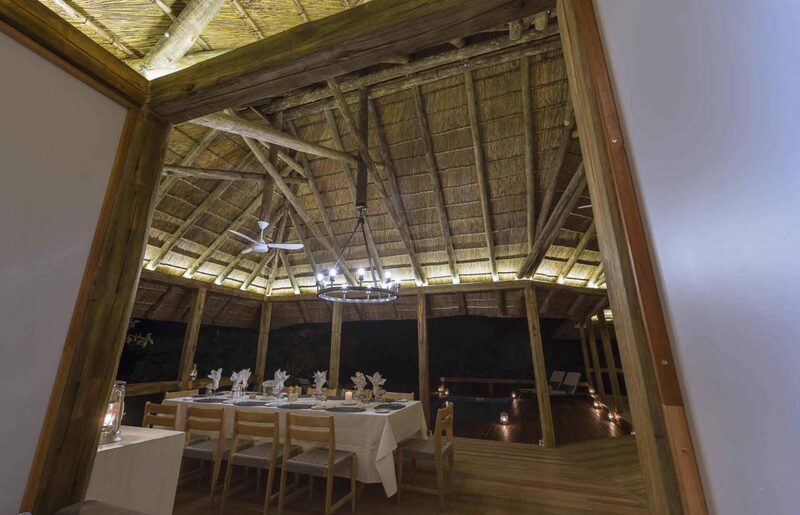 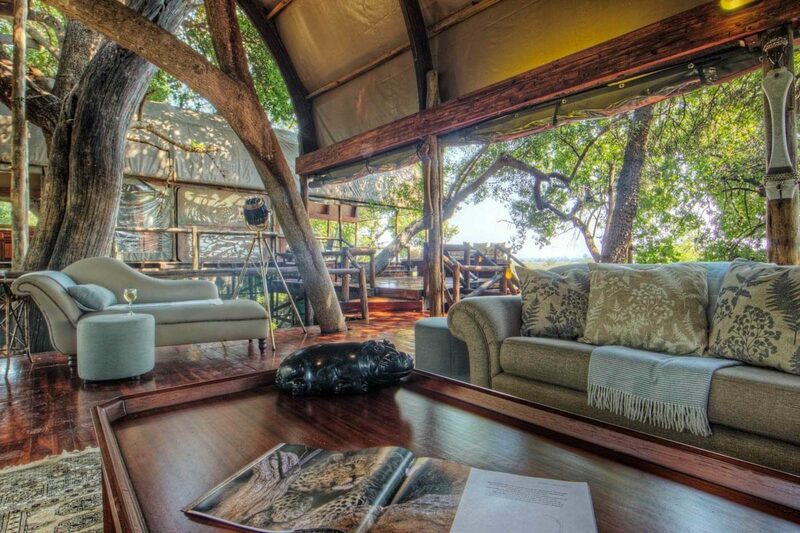 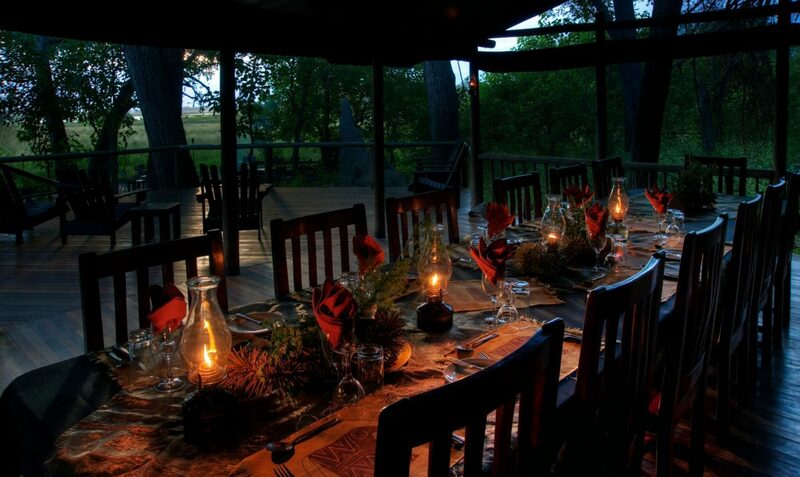 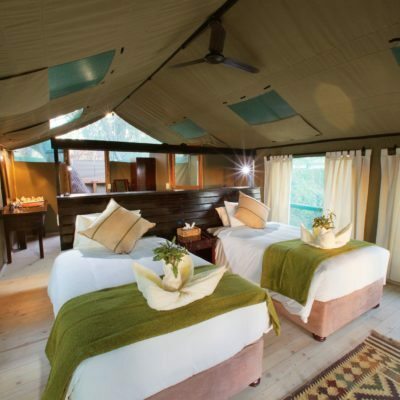 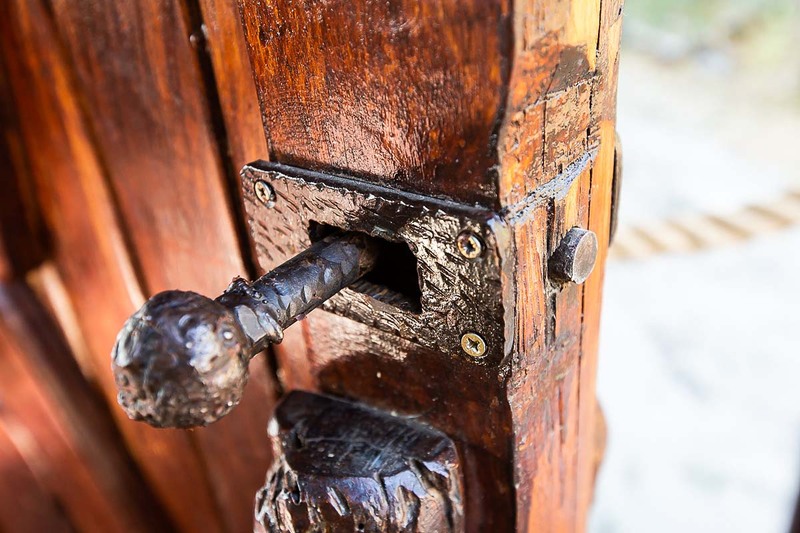 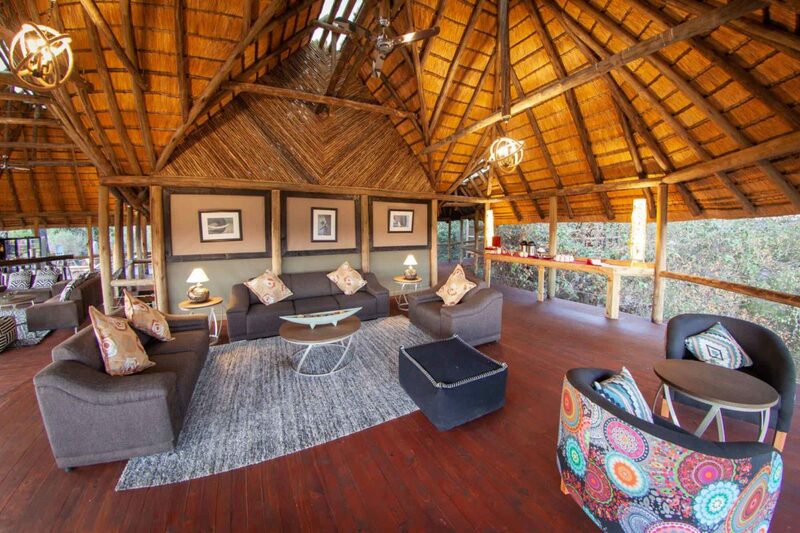 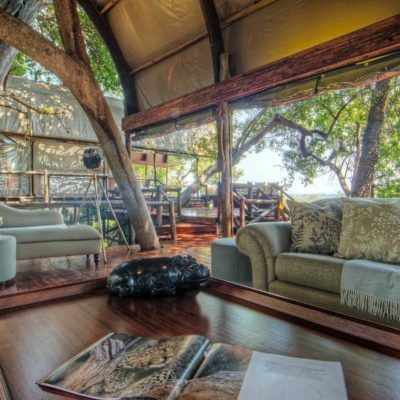 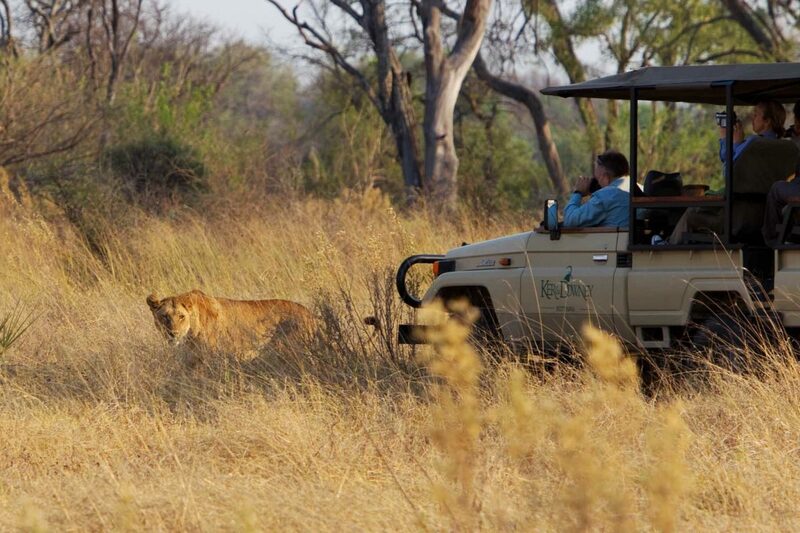 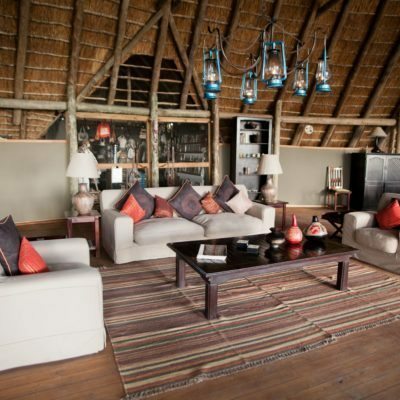 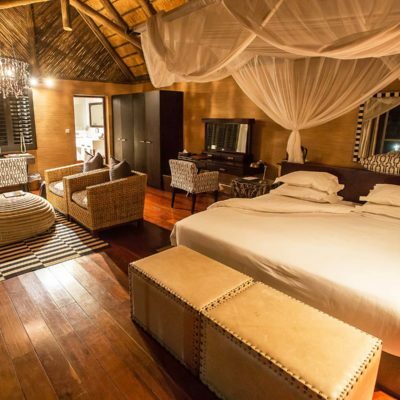 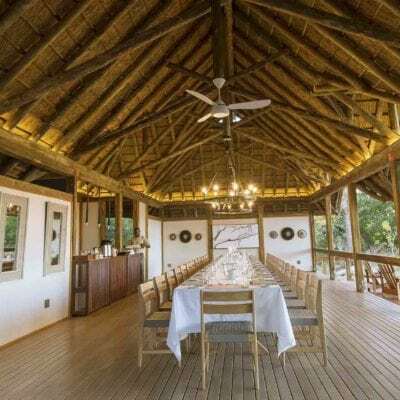 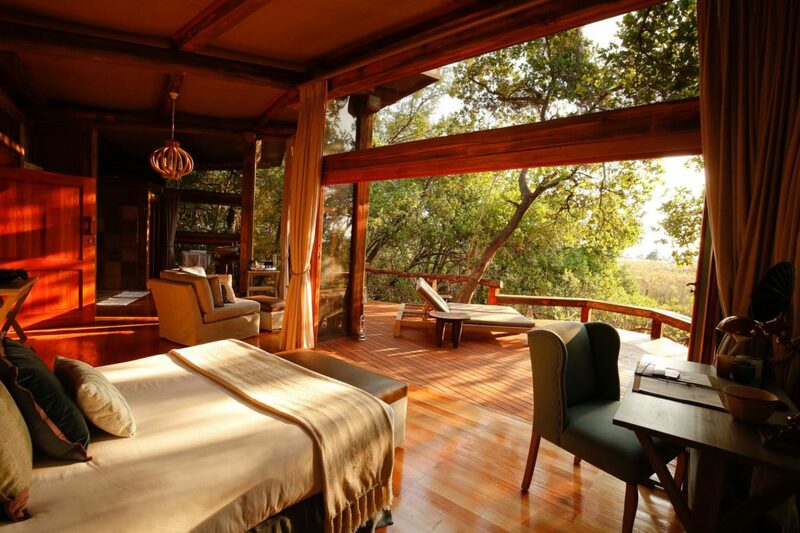 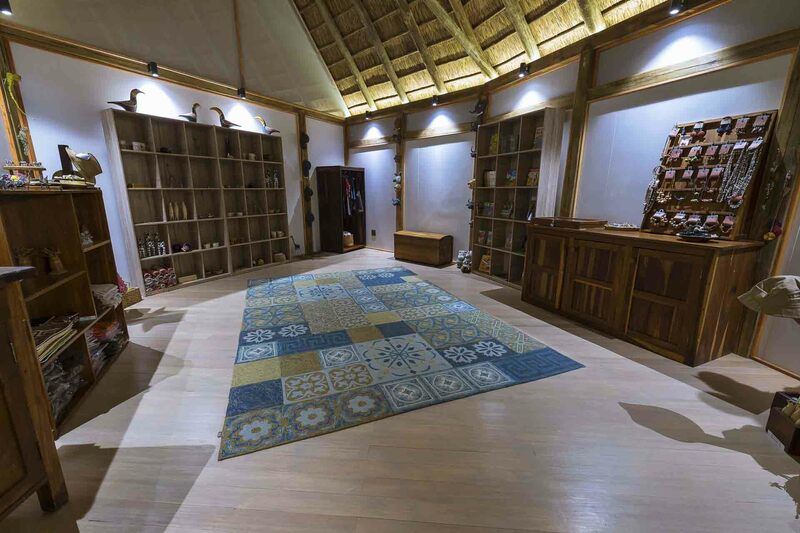 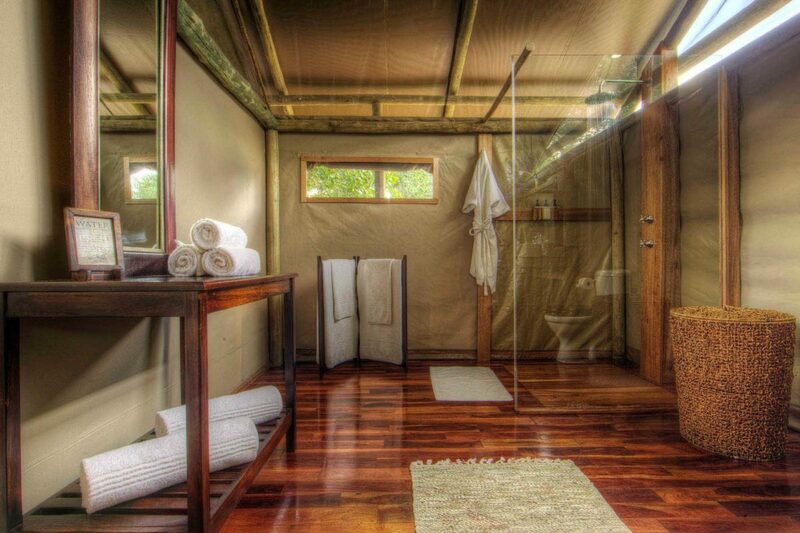 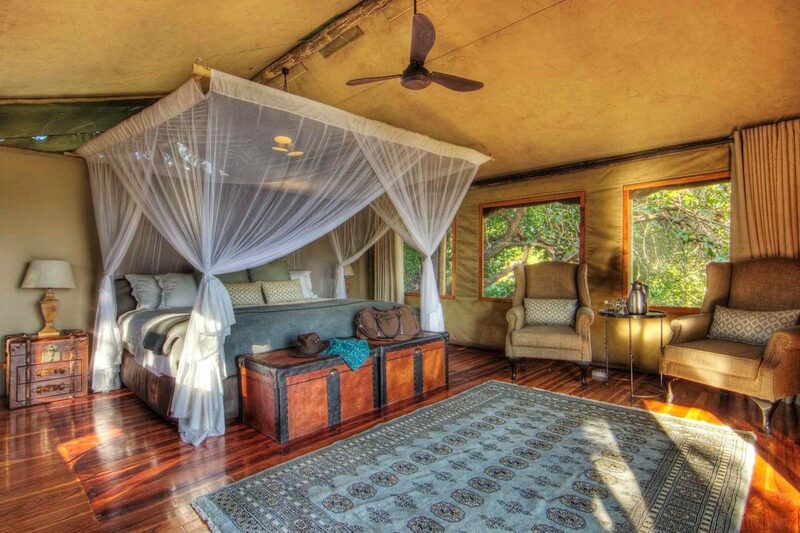 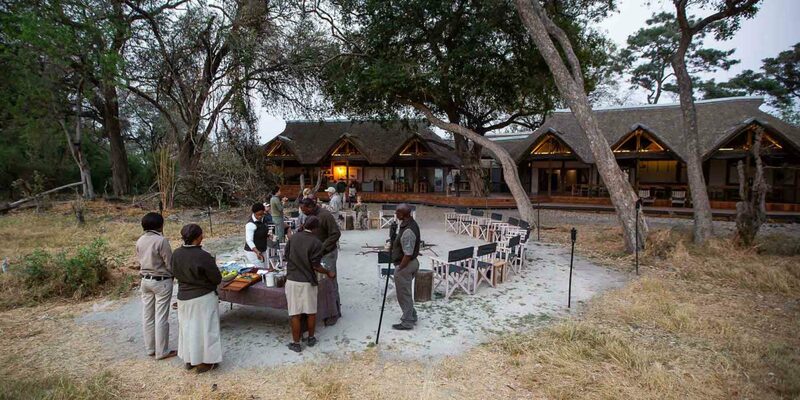 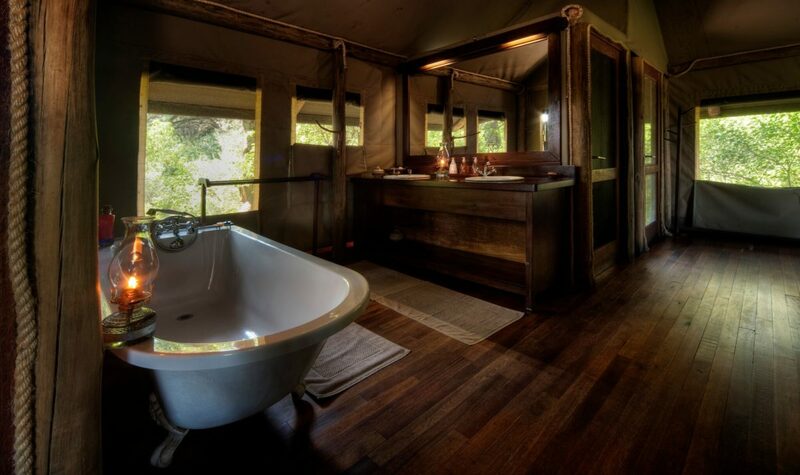 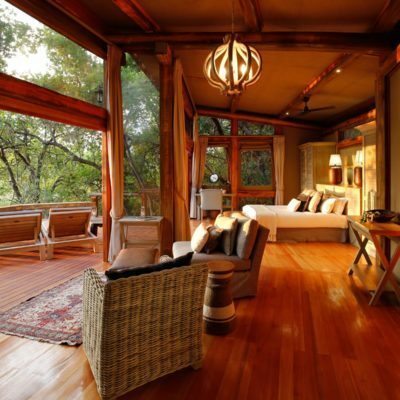 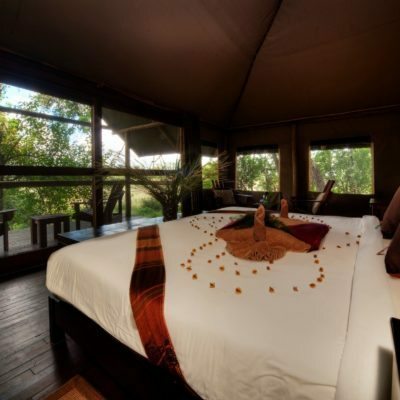 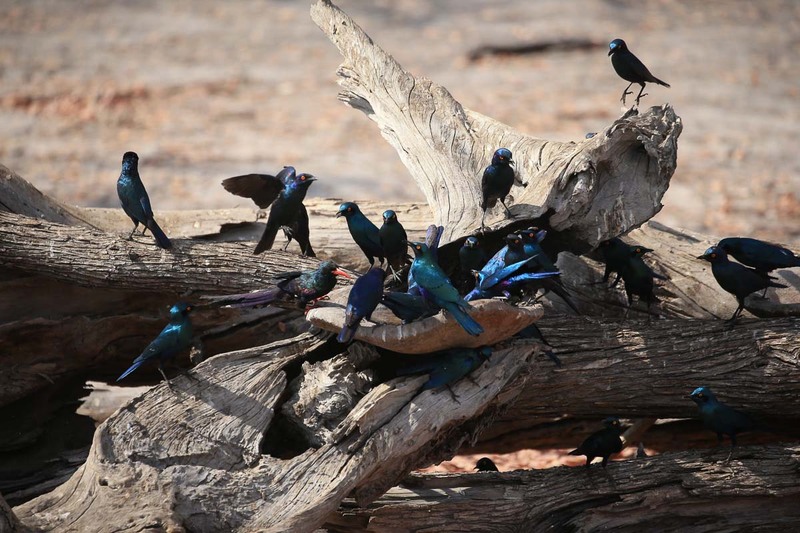 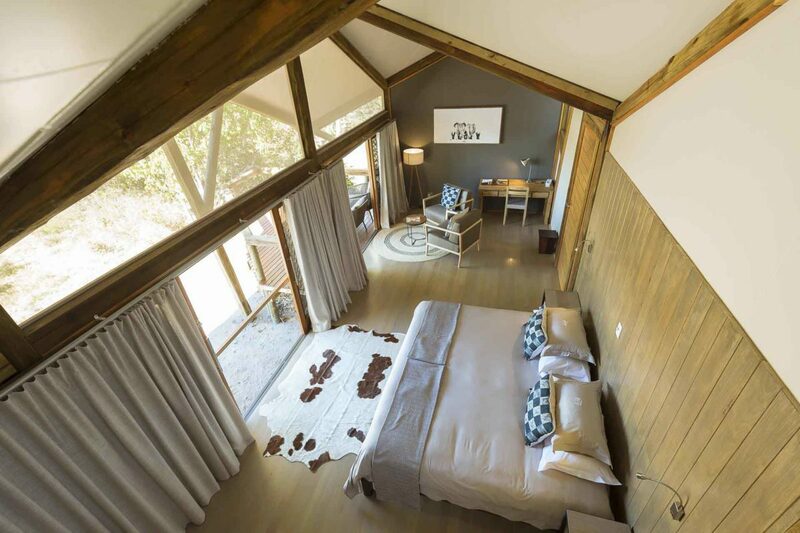 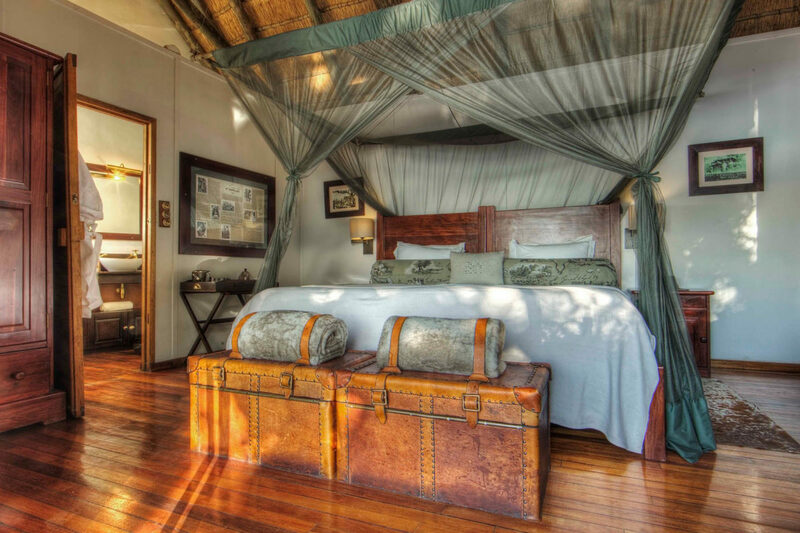 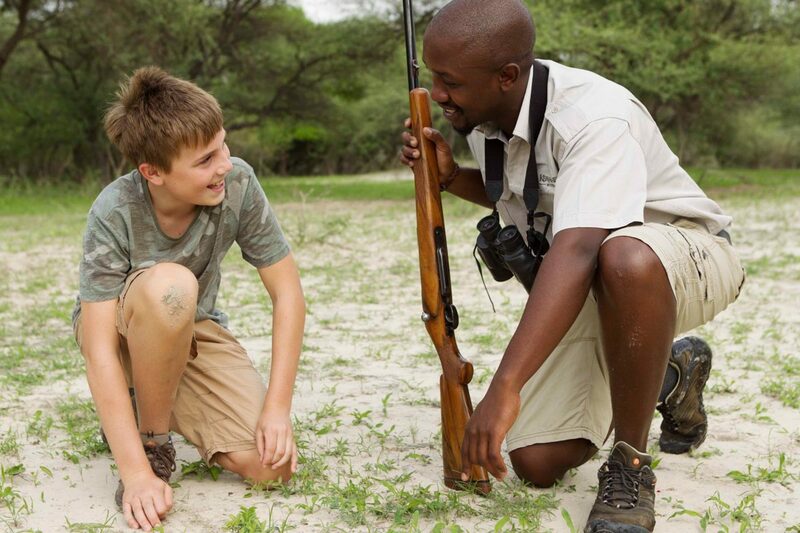 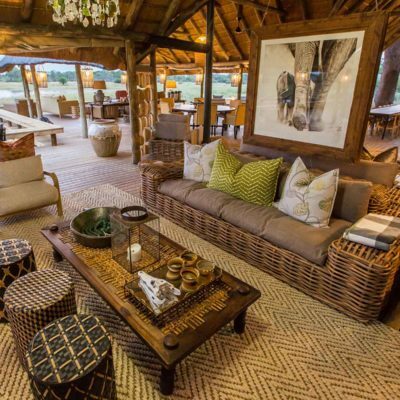 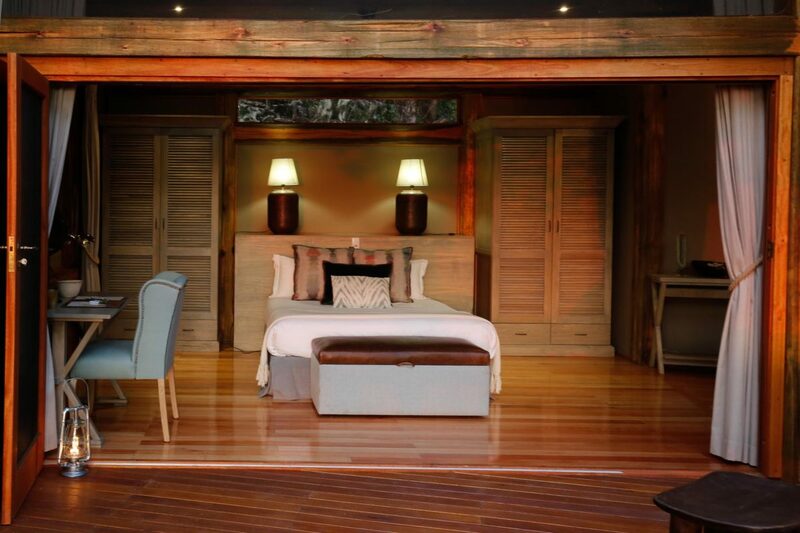 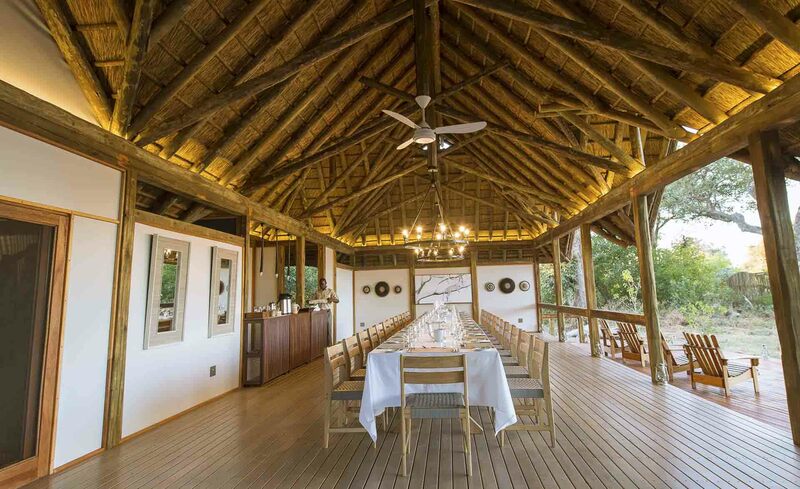 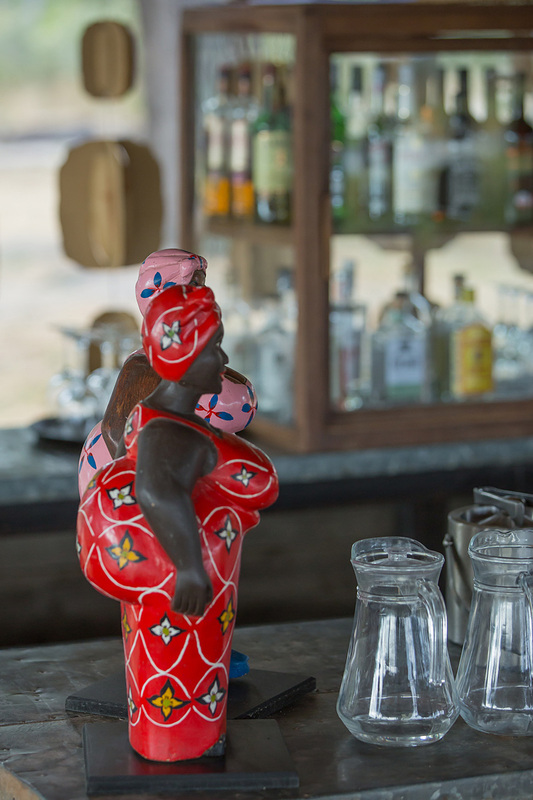 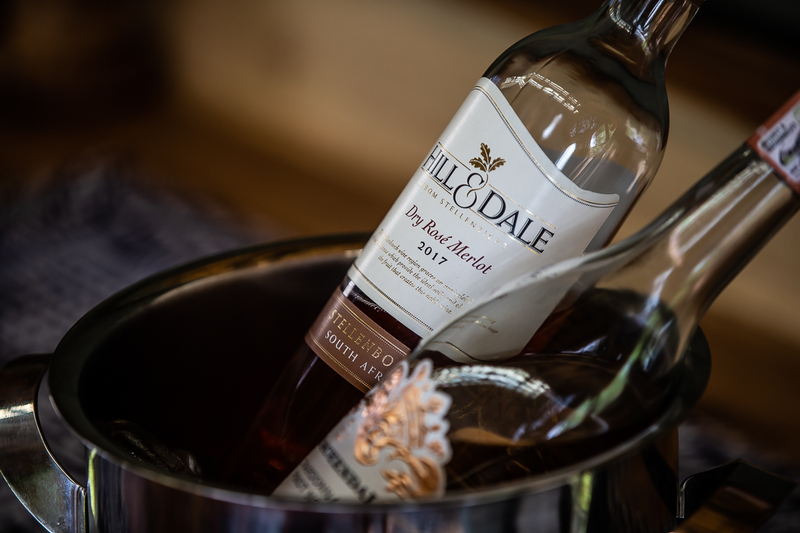 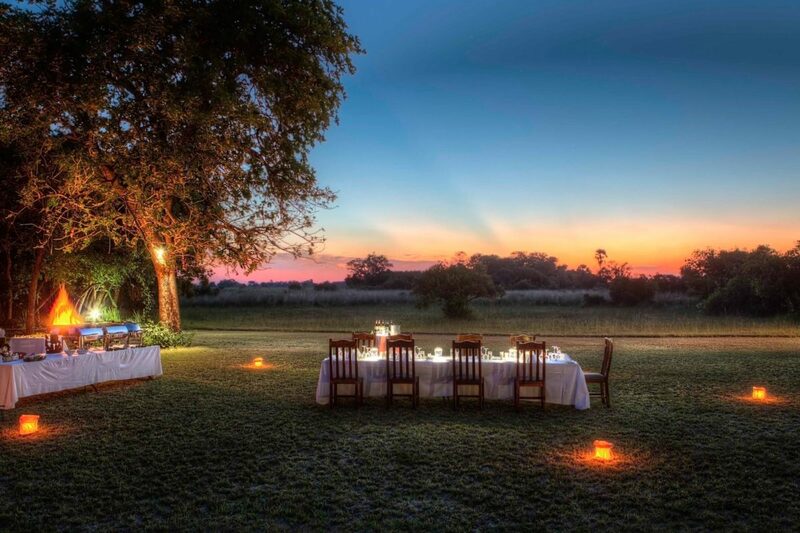 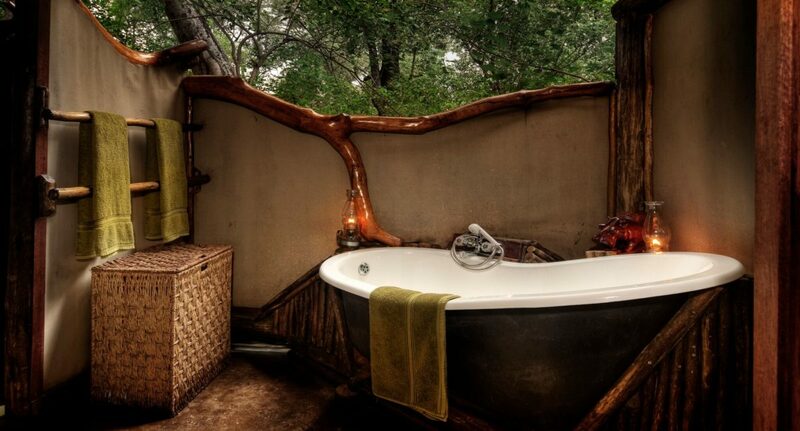 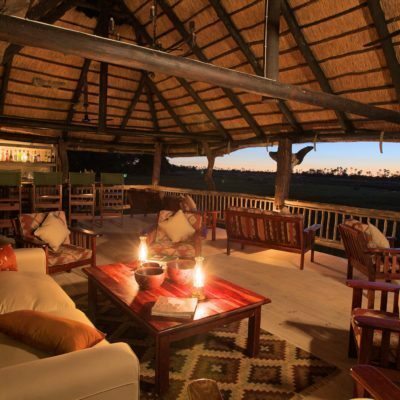 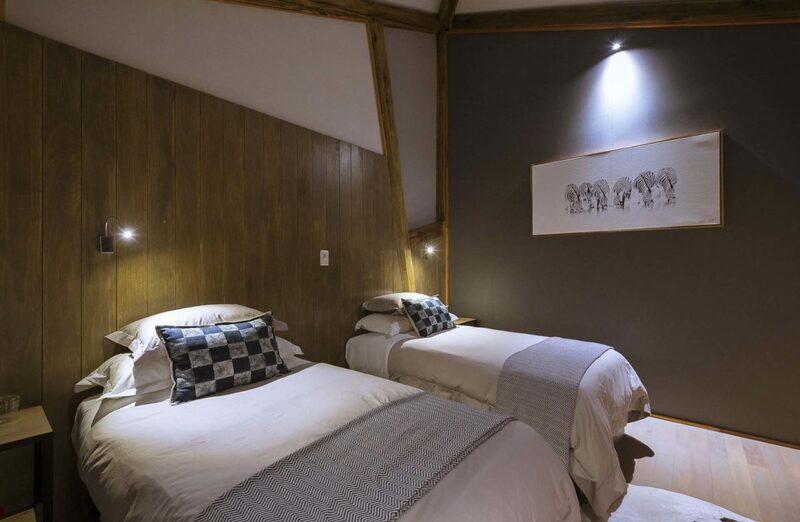 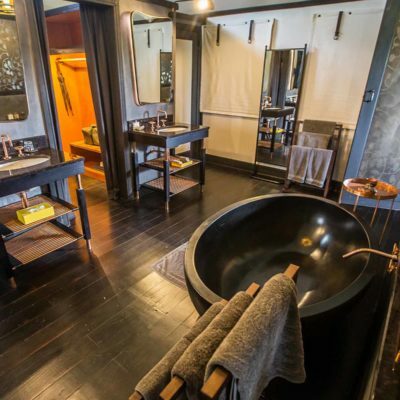 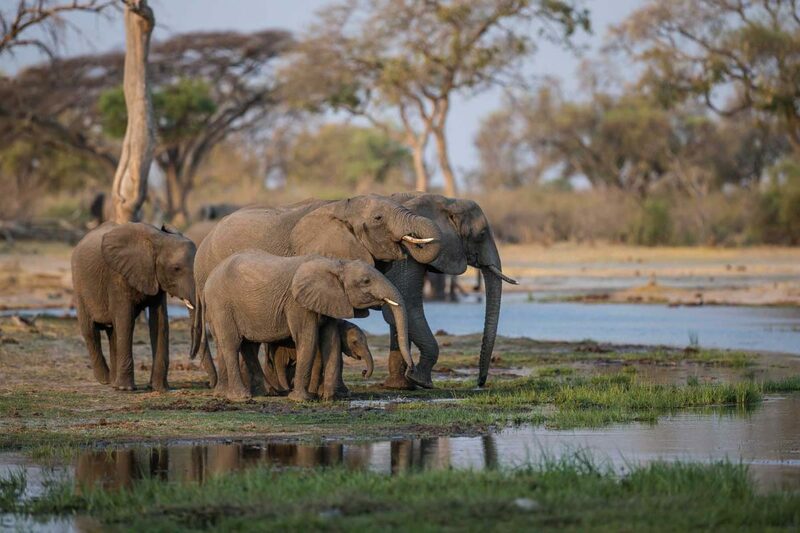 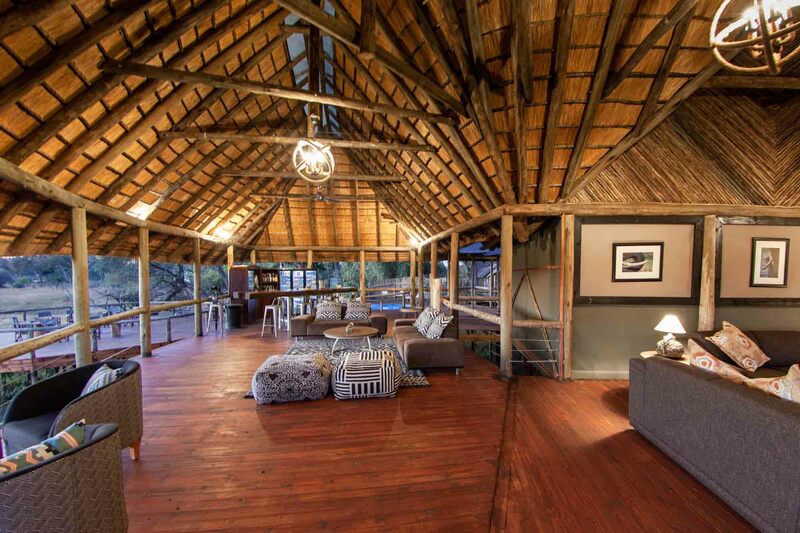 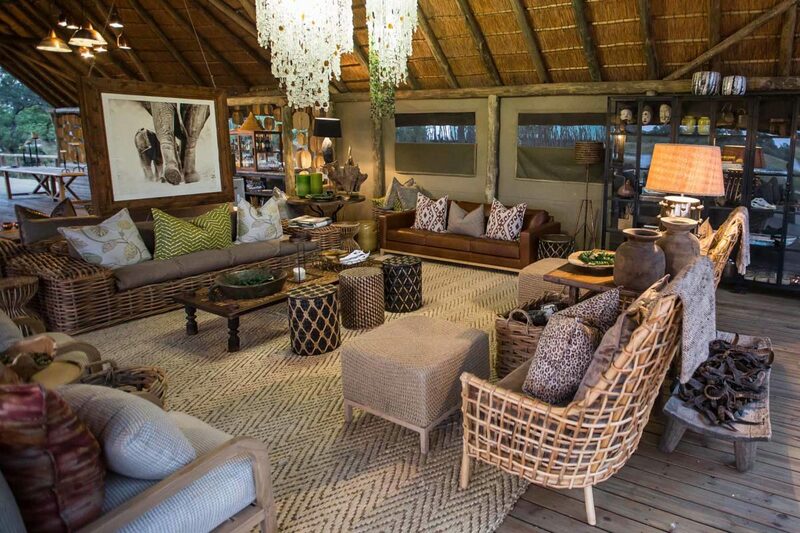 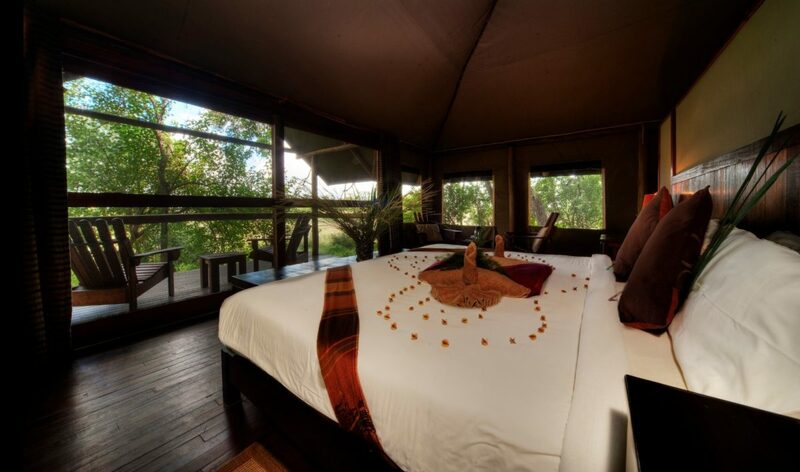 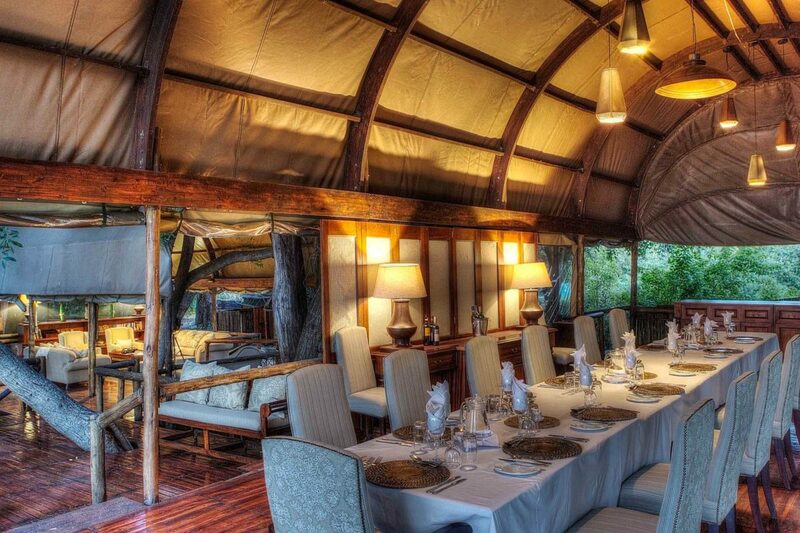 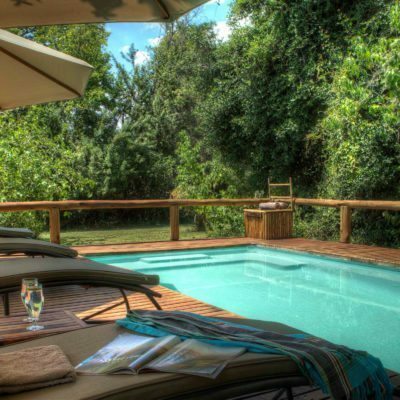 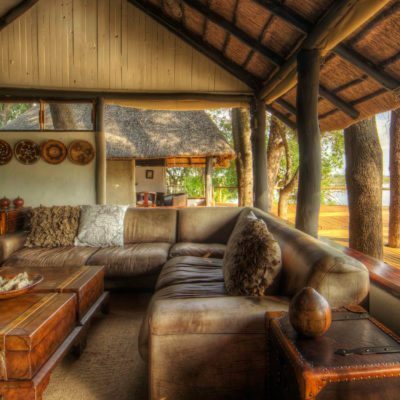 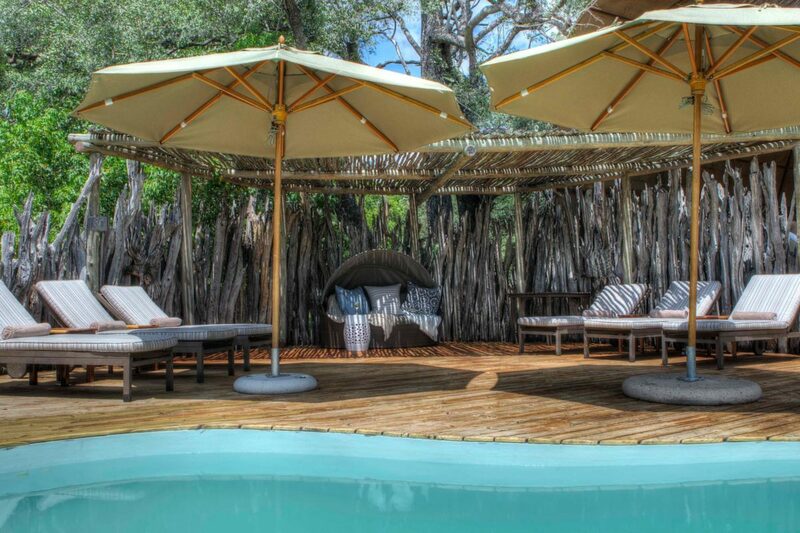 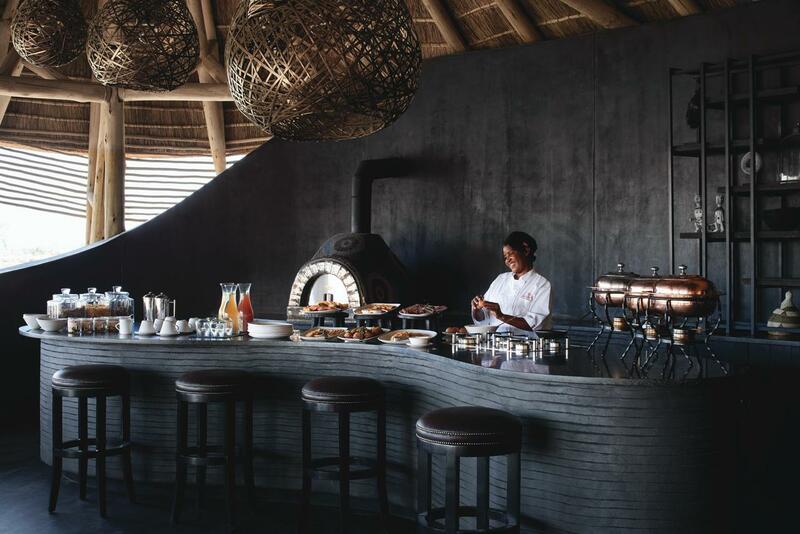 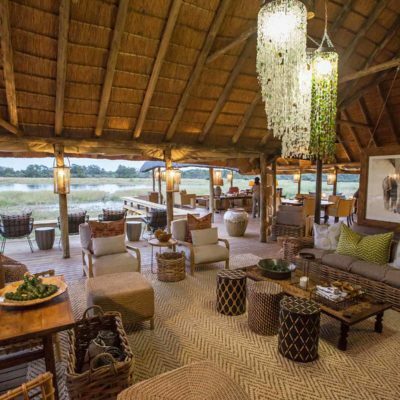 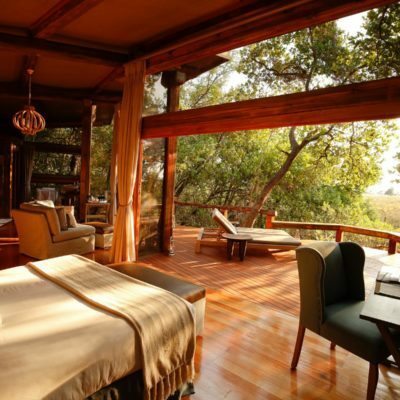 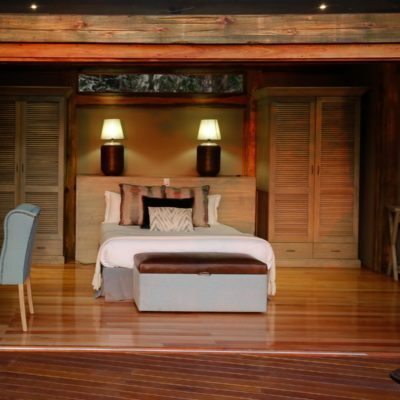 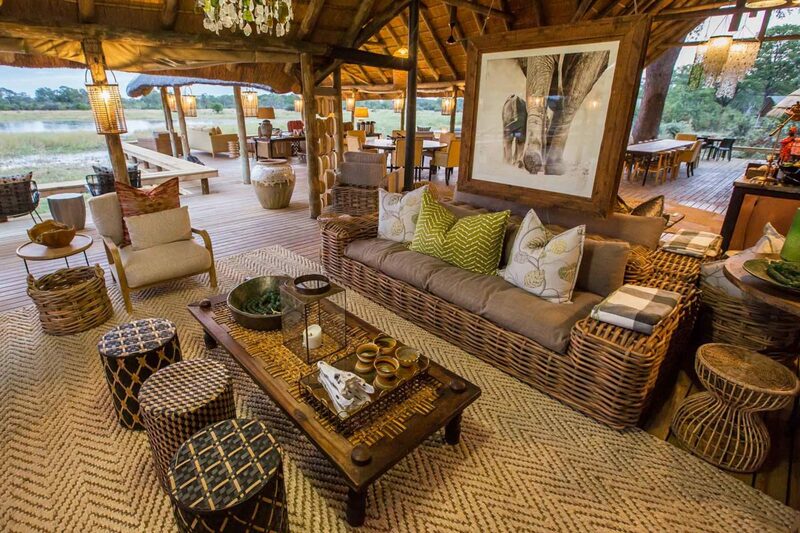 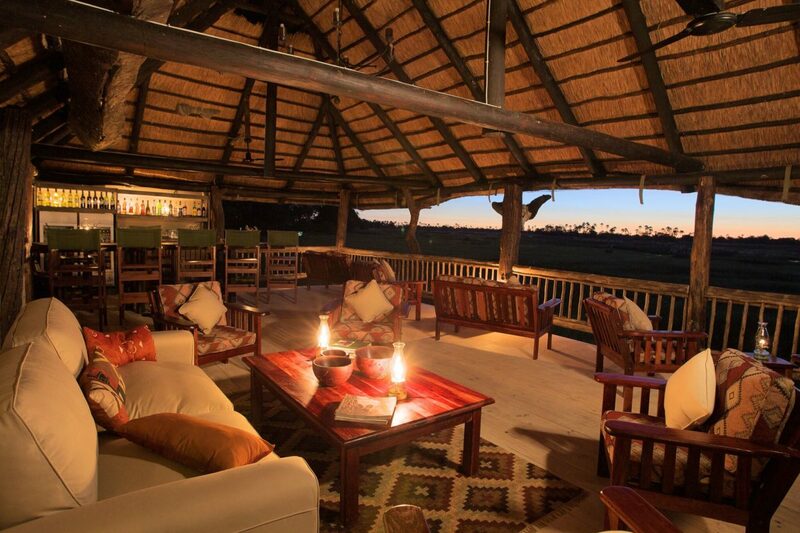 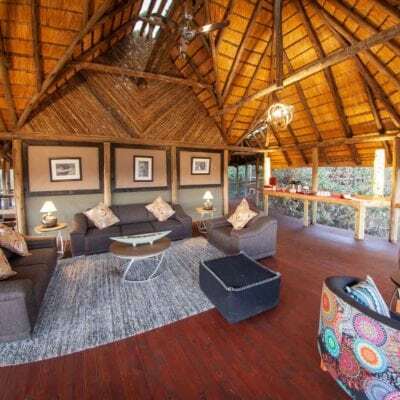 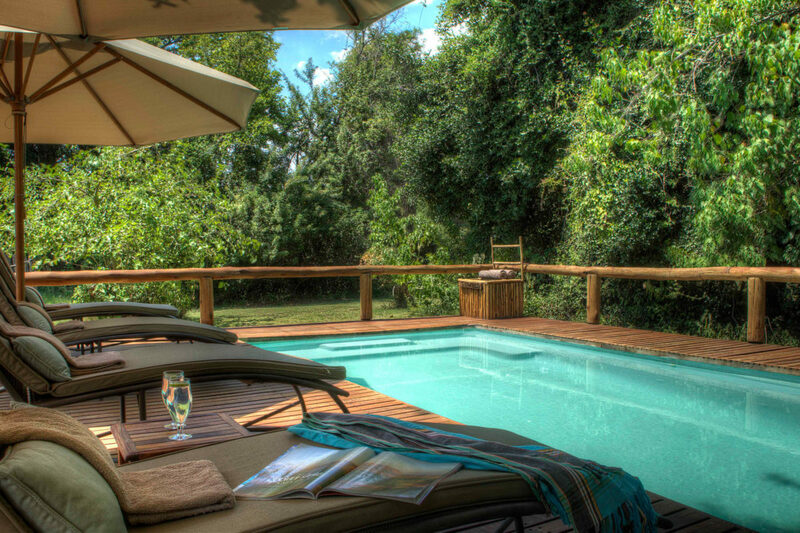 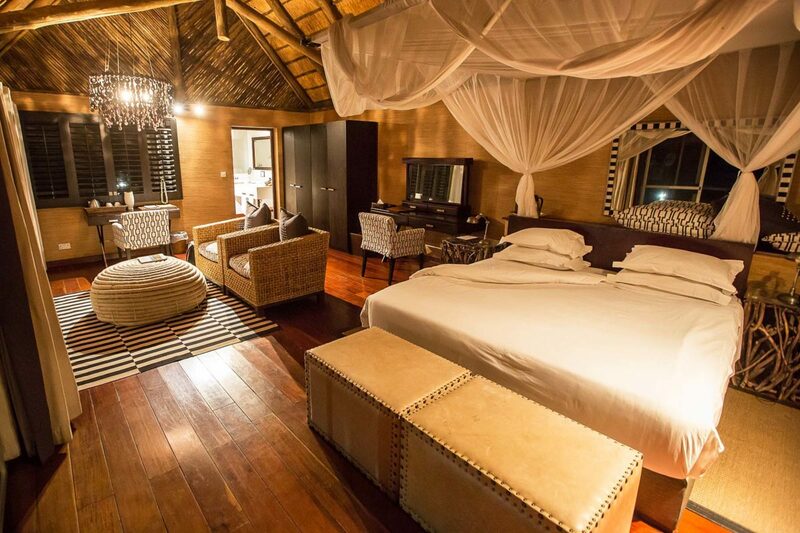 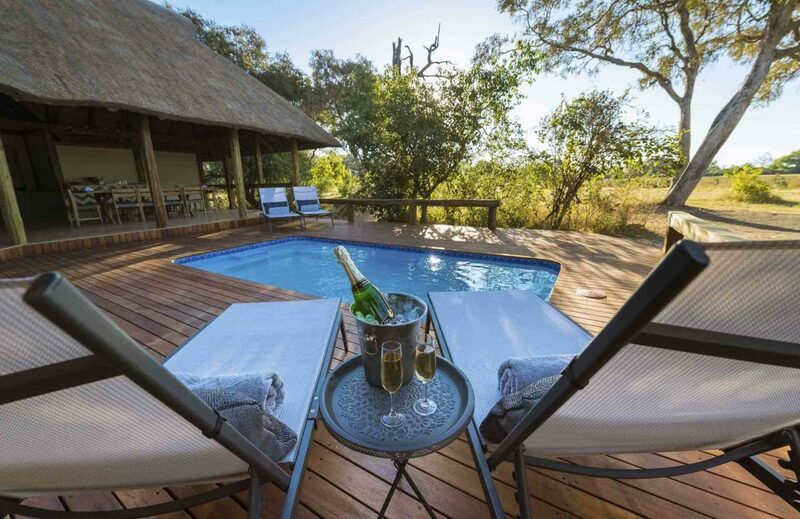 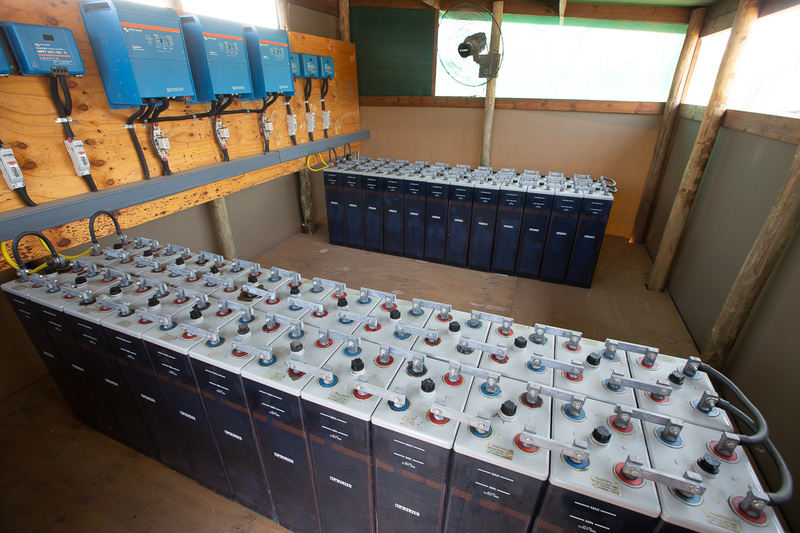 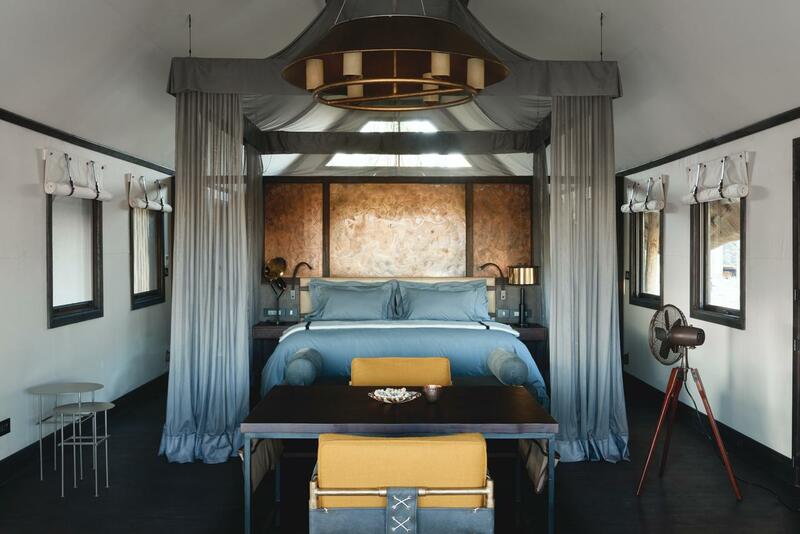 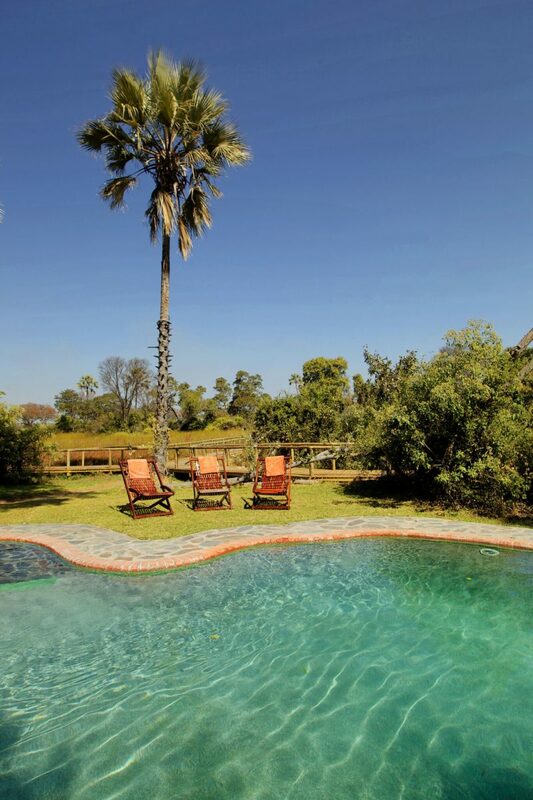 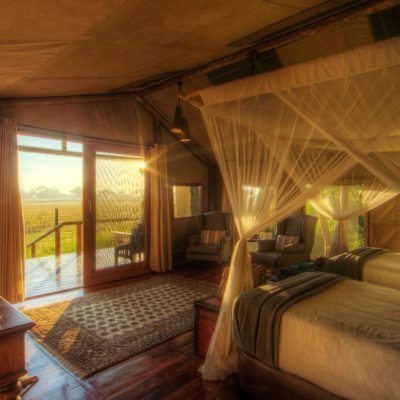 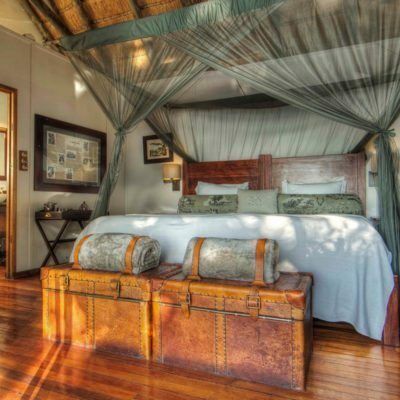 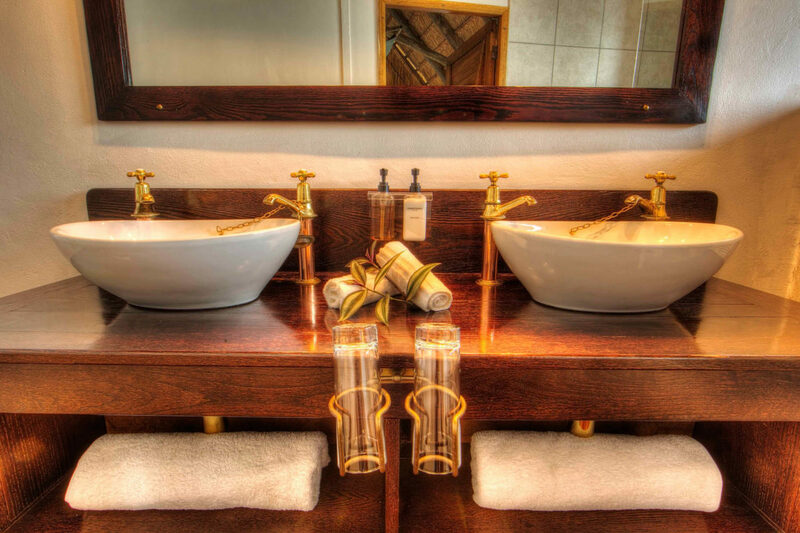 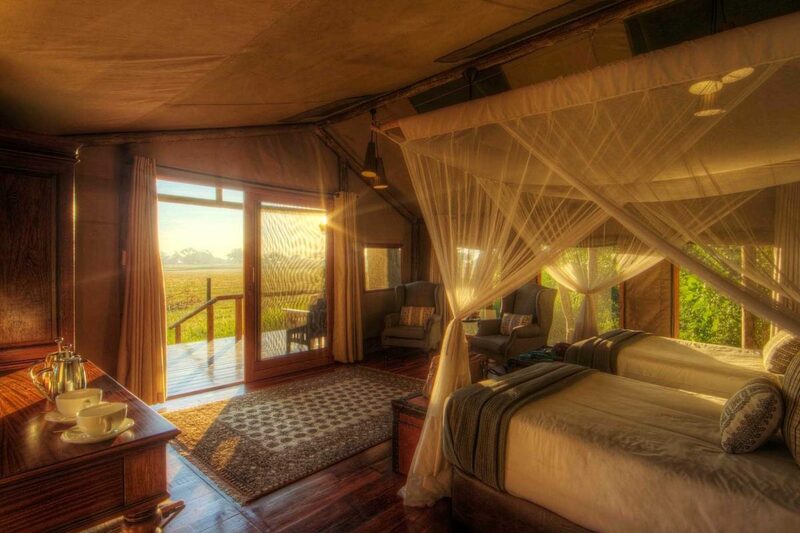 However, you must inquire as to which lodge or combination of lodges would suit your game viewing preferences………. 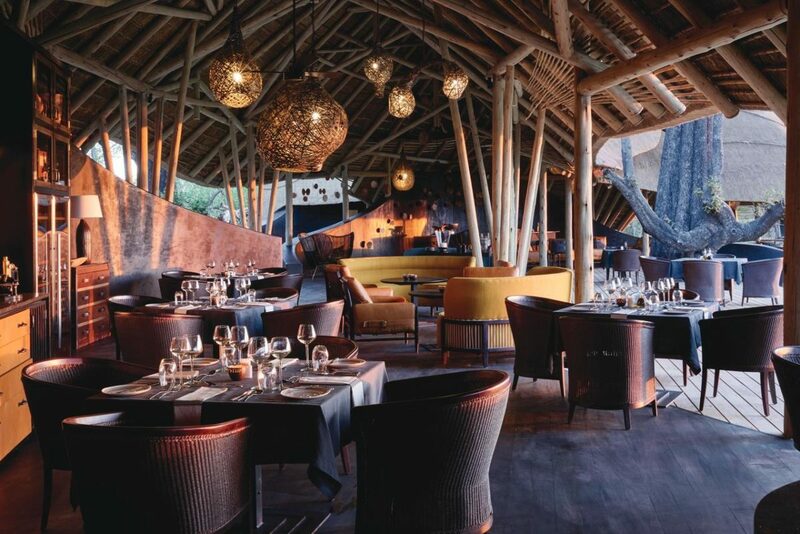 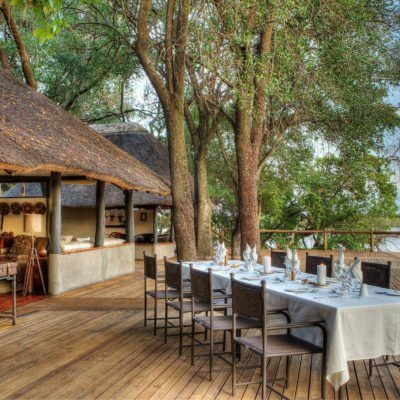 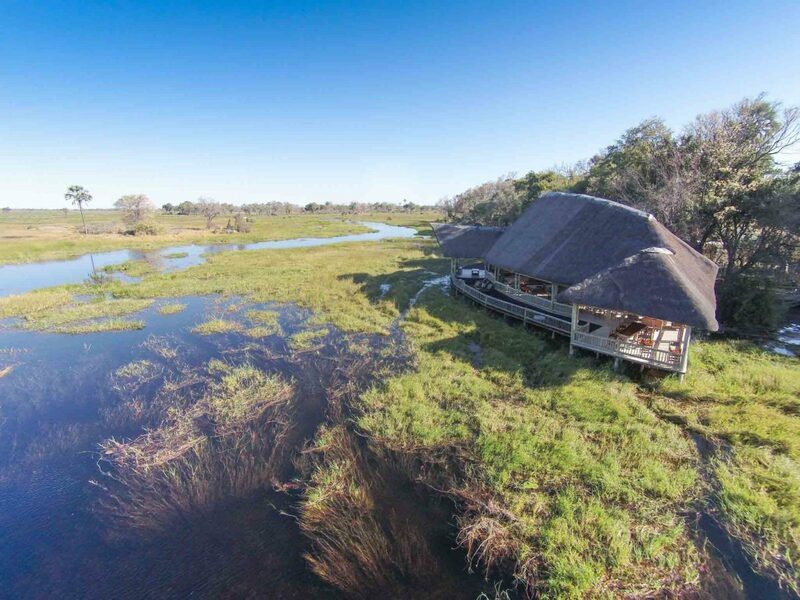 The Okavango has been divided up into private concessions, where visitor numbers are strictly kept low at exclusively managed lodges. 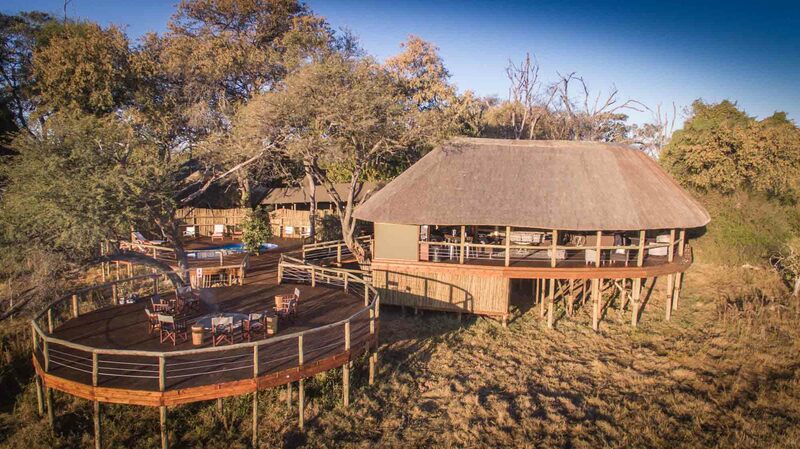 Prices are high, quality high and game viewing is free from congestion. 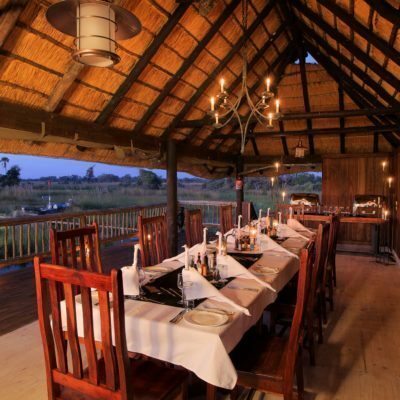 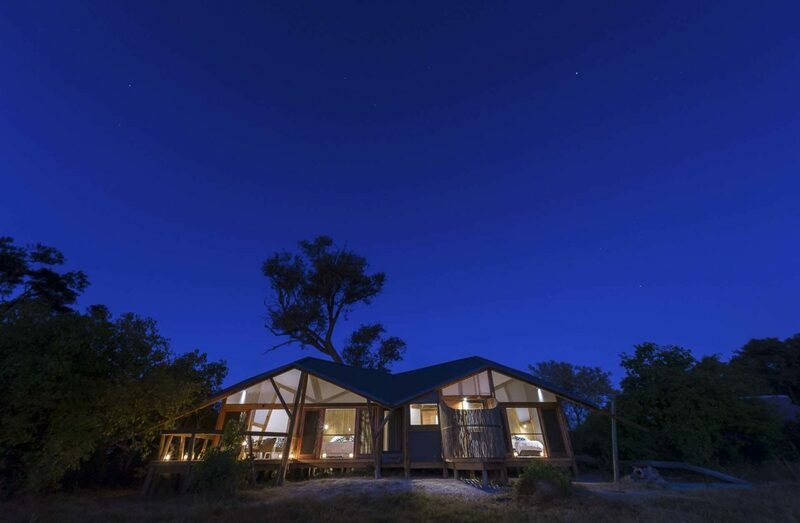 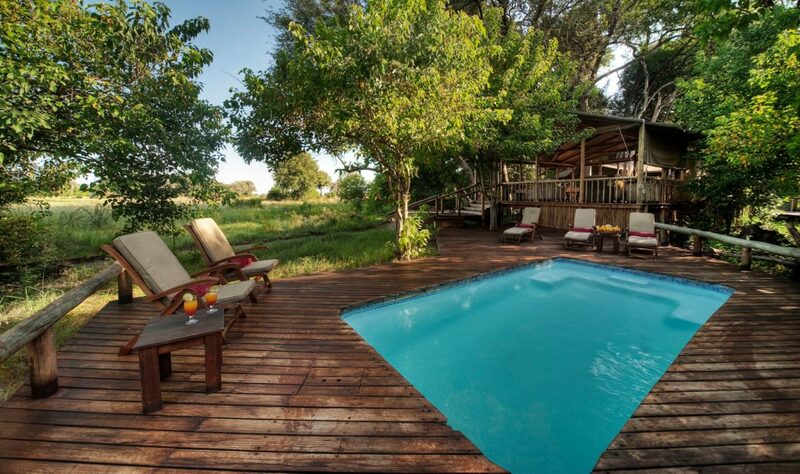 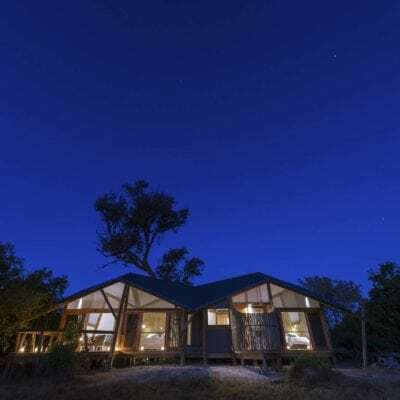 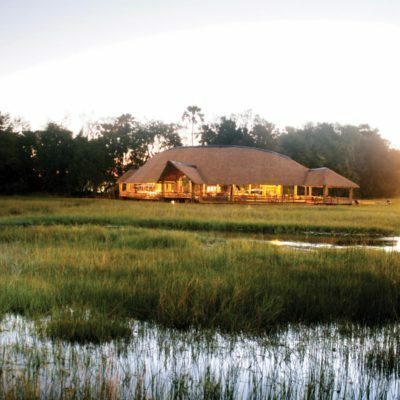 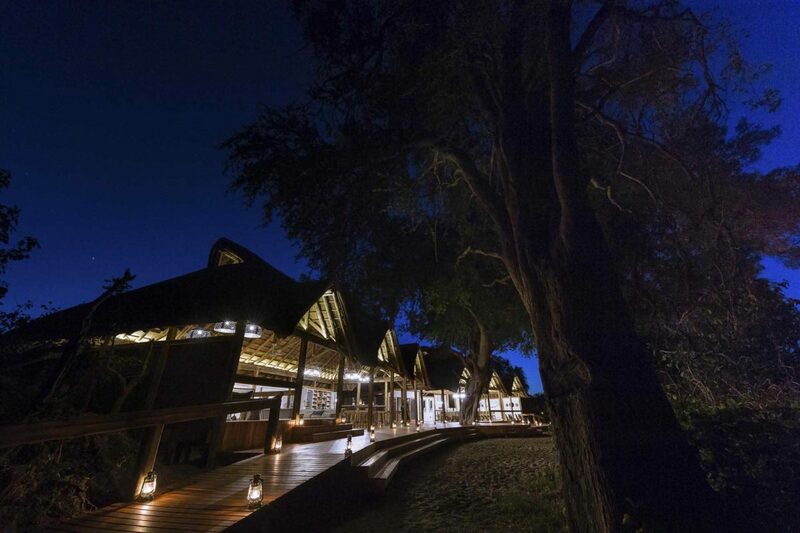 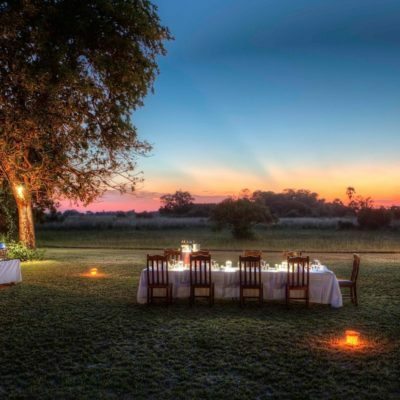 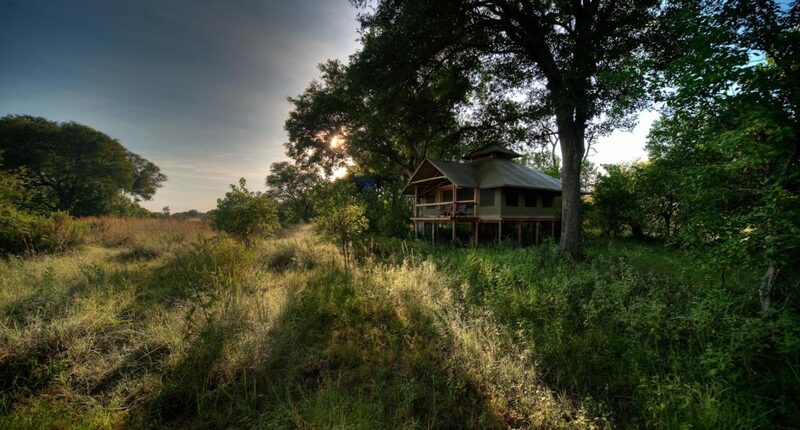 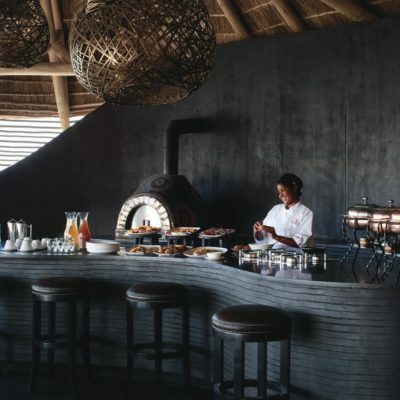 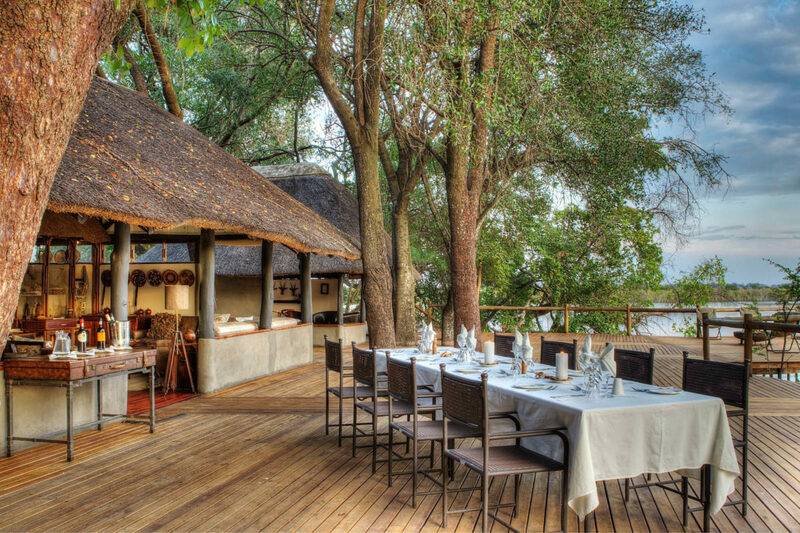 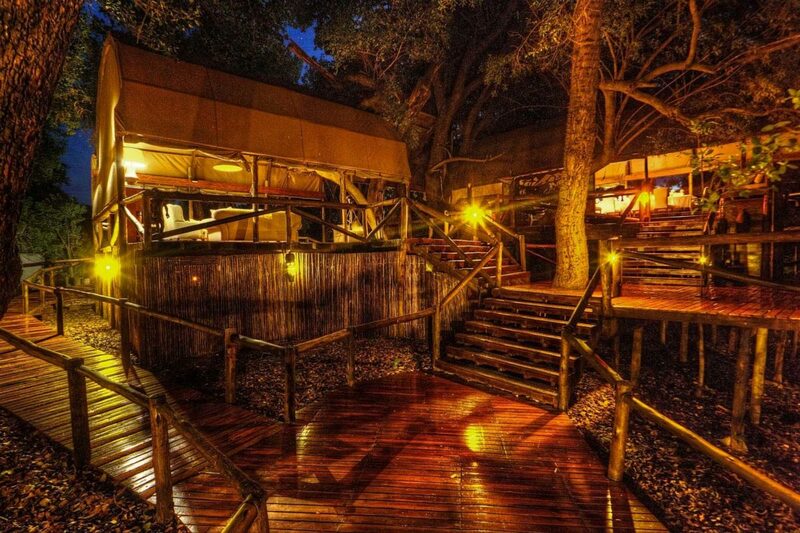 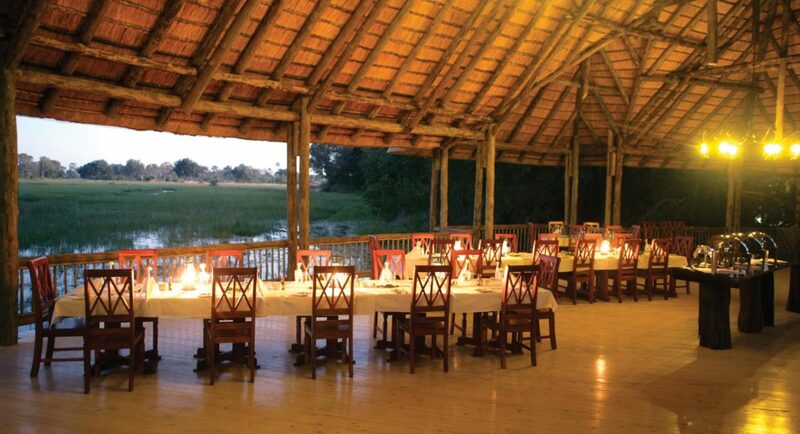 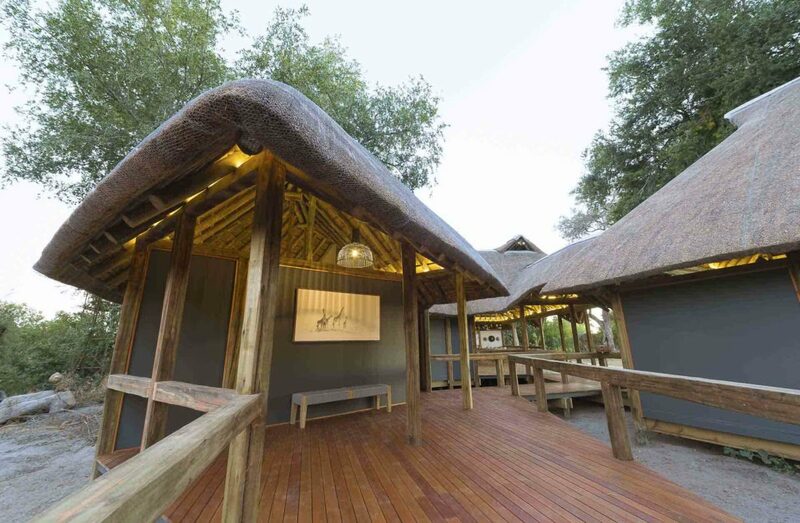 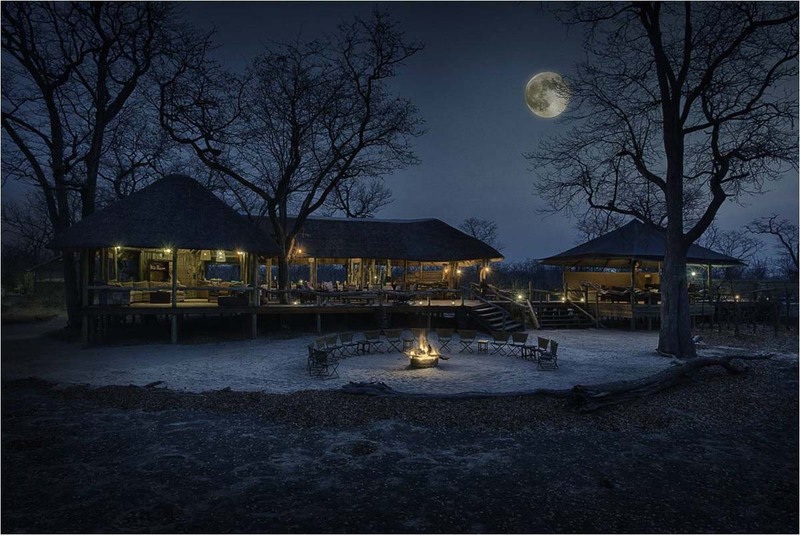 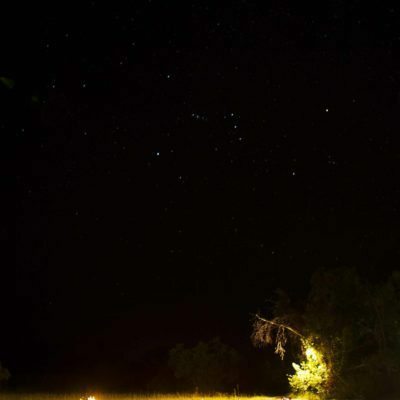 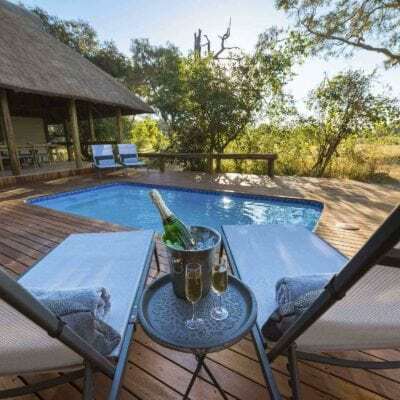 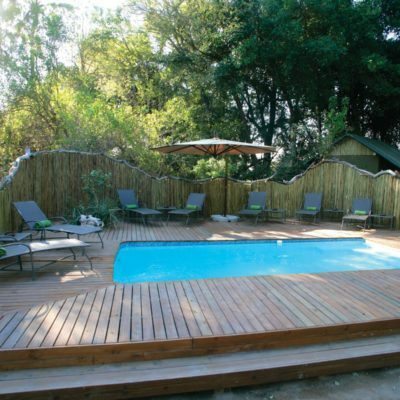 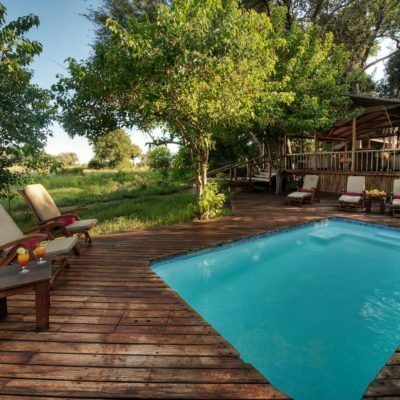 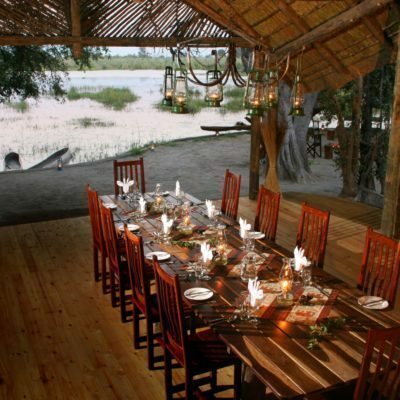 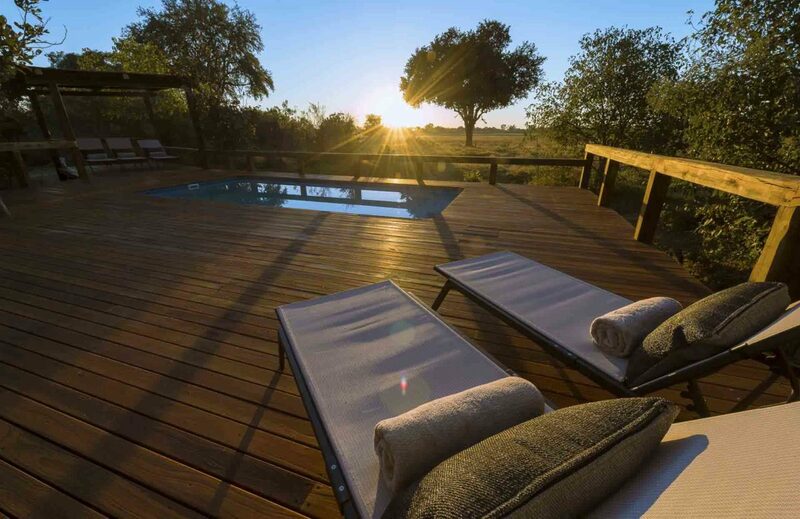 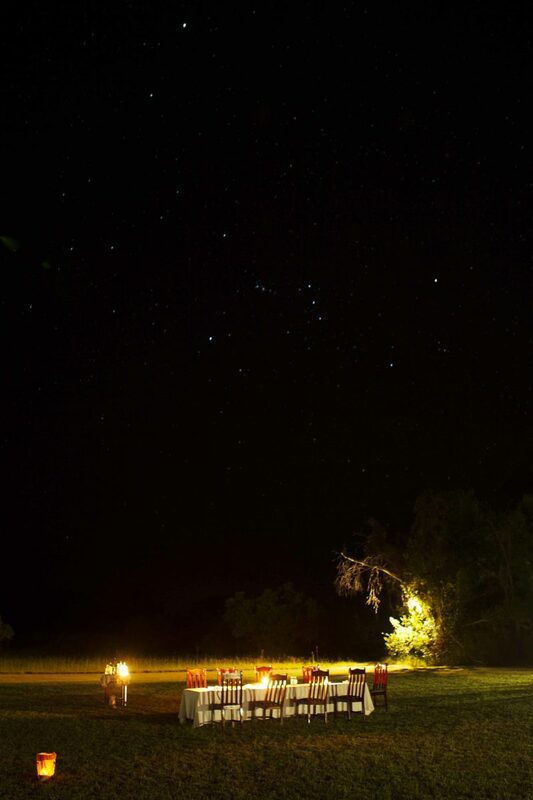 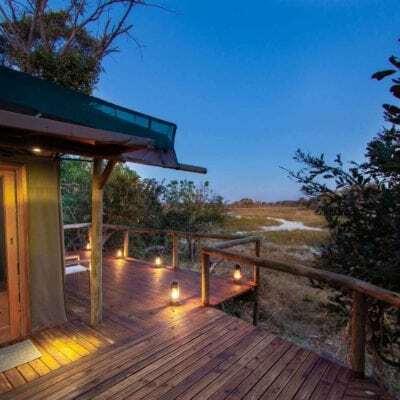 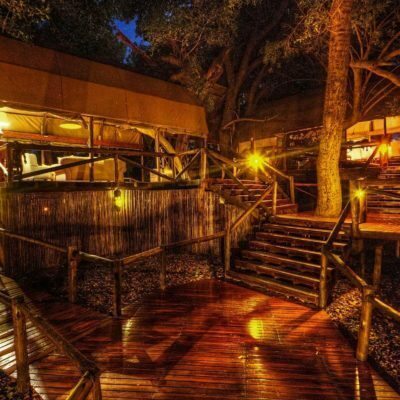 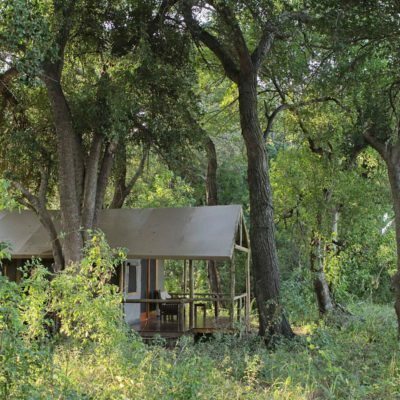 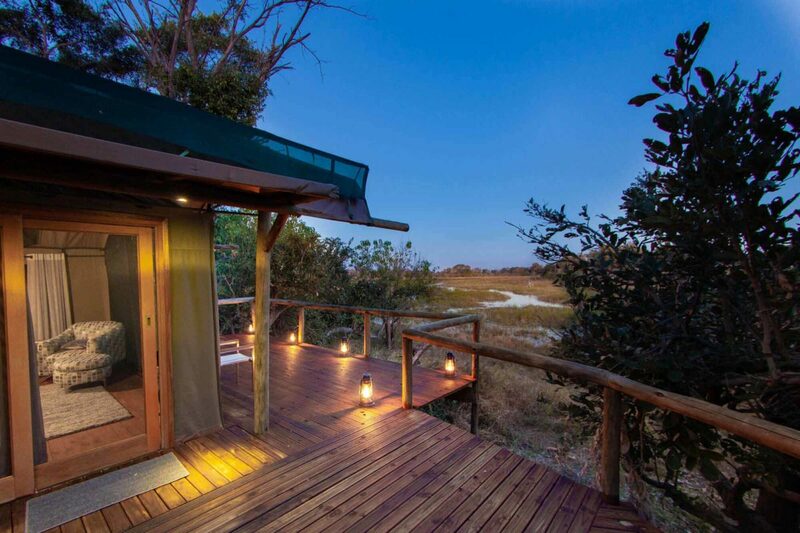 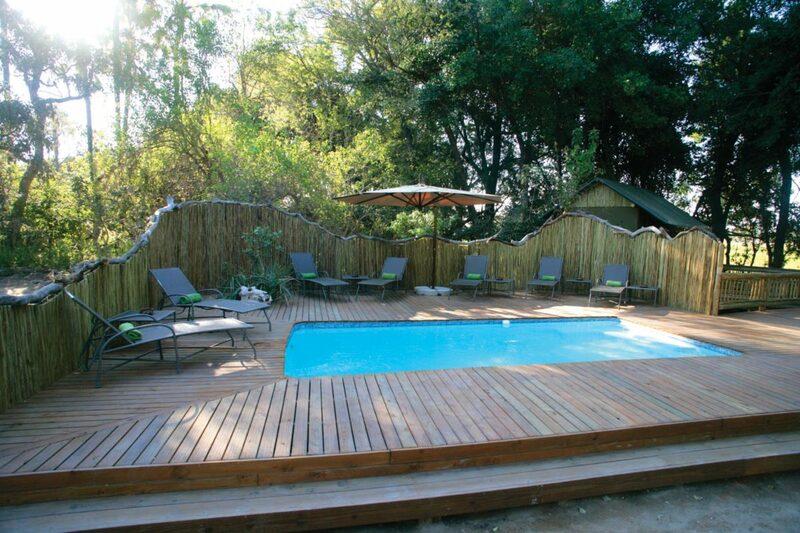 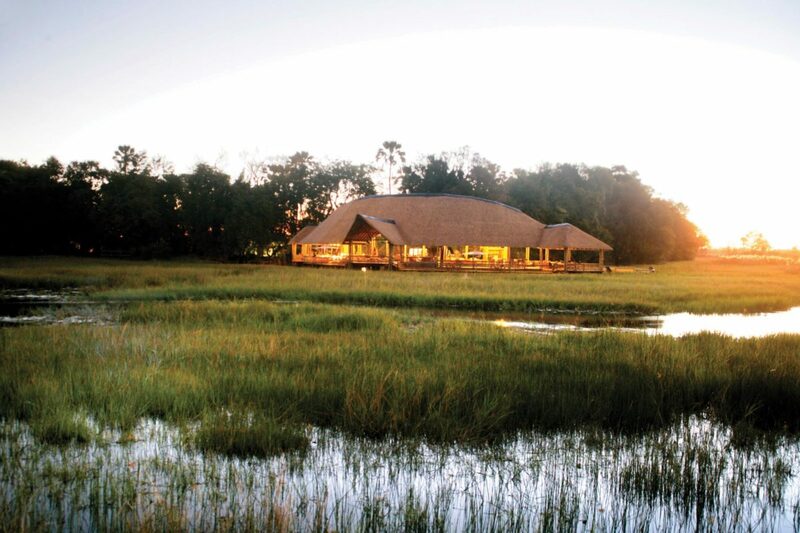 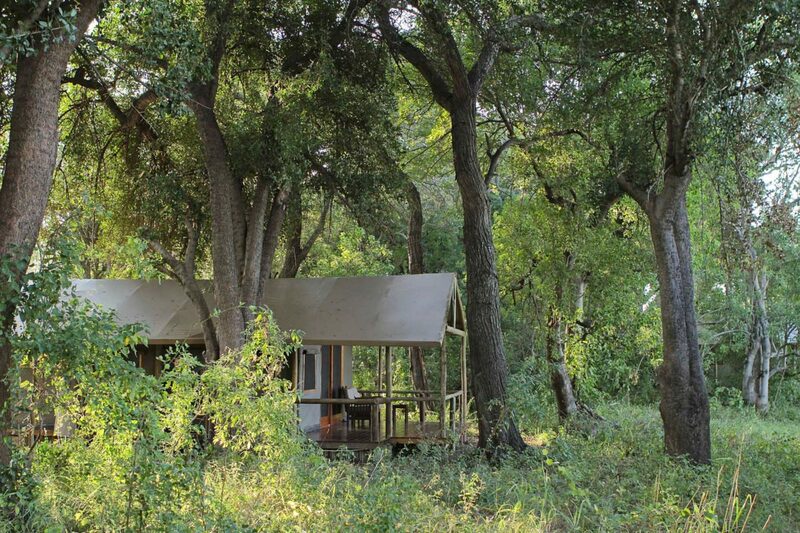 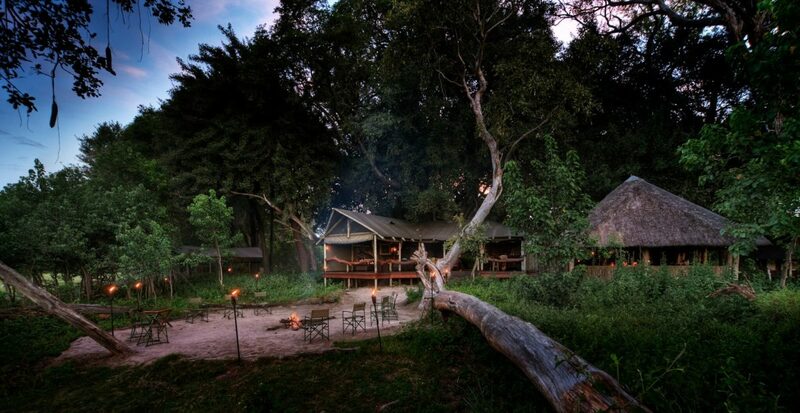 Further, within the Okavango, are lodges in the Moremi Game Reserve. 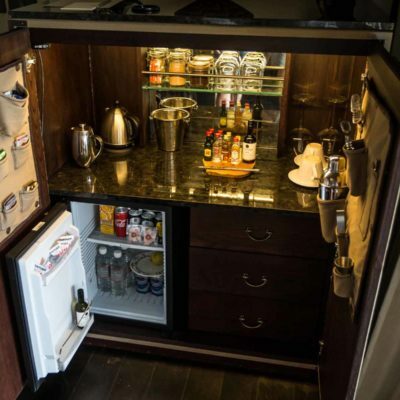 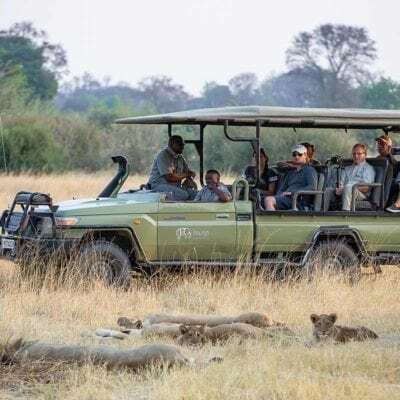 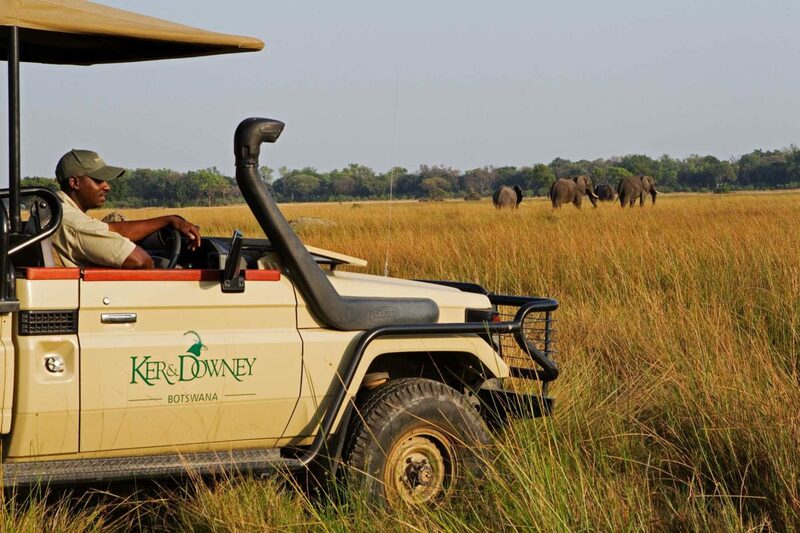 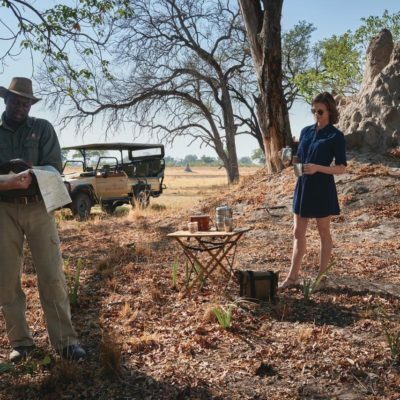 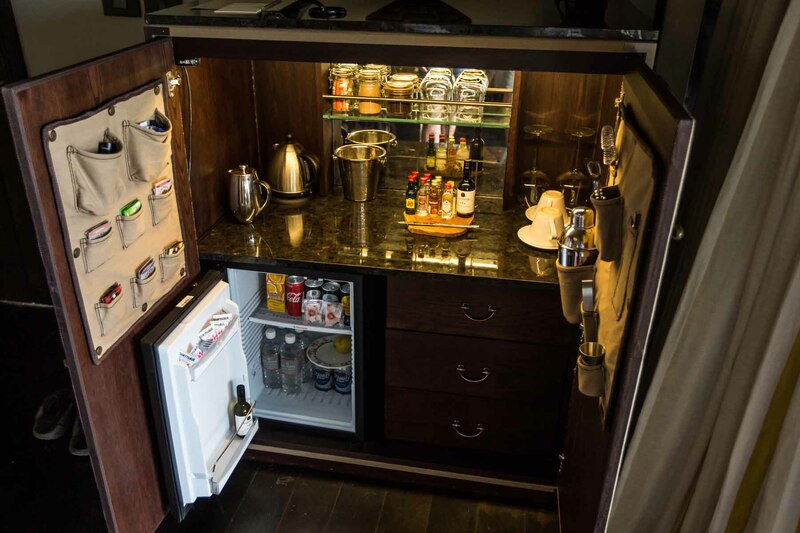 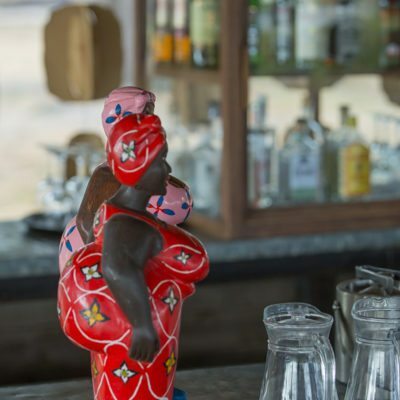 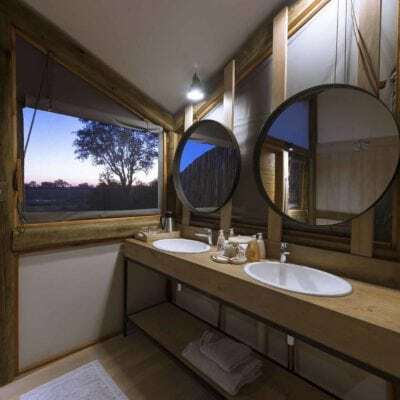 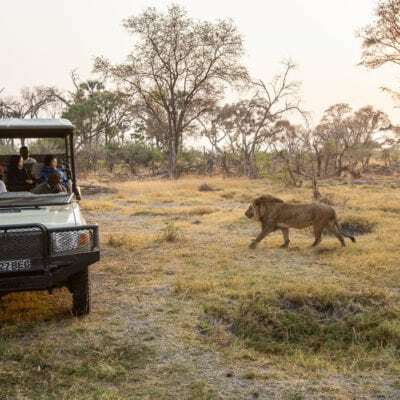 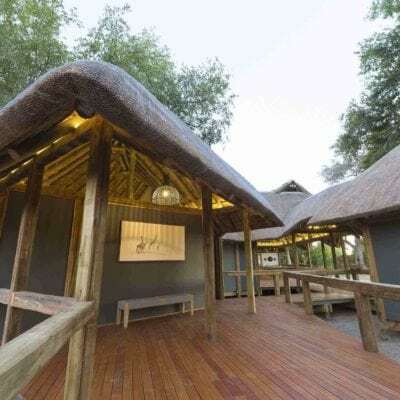 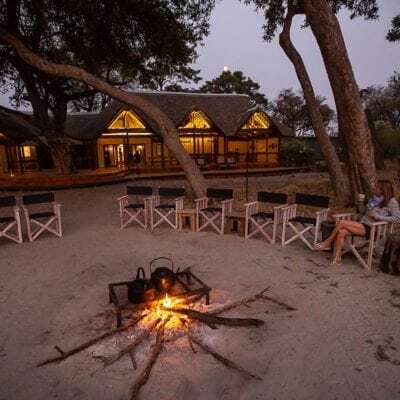 The lodges within the park differ from those that are located in the private concessions: Generally, those in Moremi share game drive areas with other lodges, mobile safaris and self drives. 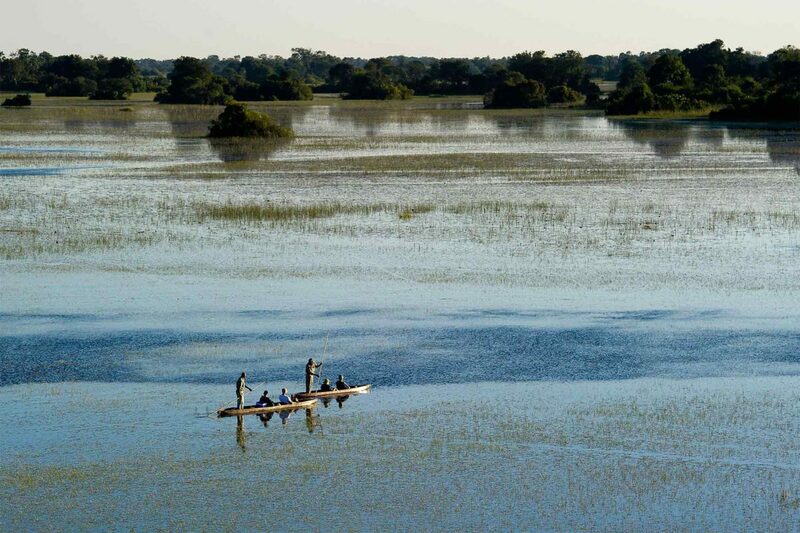 Therefore, there is a small risk of experiencing congestion (this is by no means out of hand in Moremi). 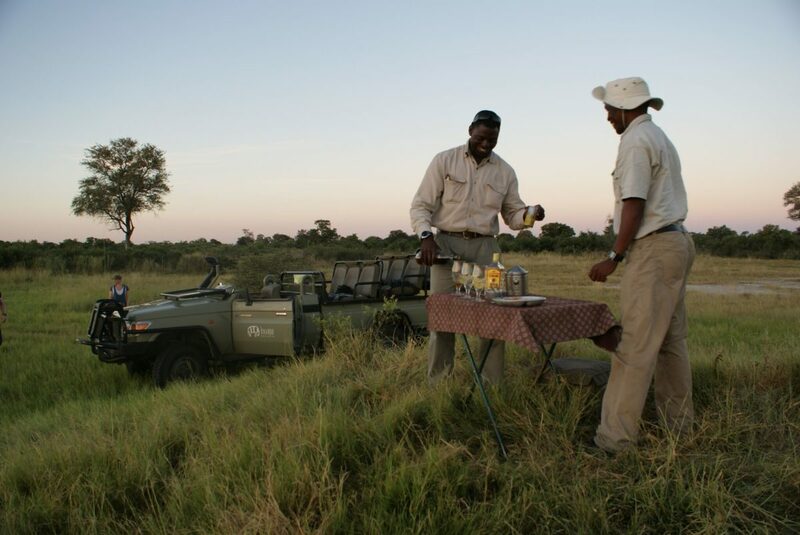 Secondly, lodges within the park have to adhere to strict government park rules: no night drives, no walking, no off-roading. 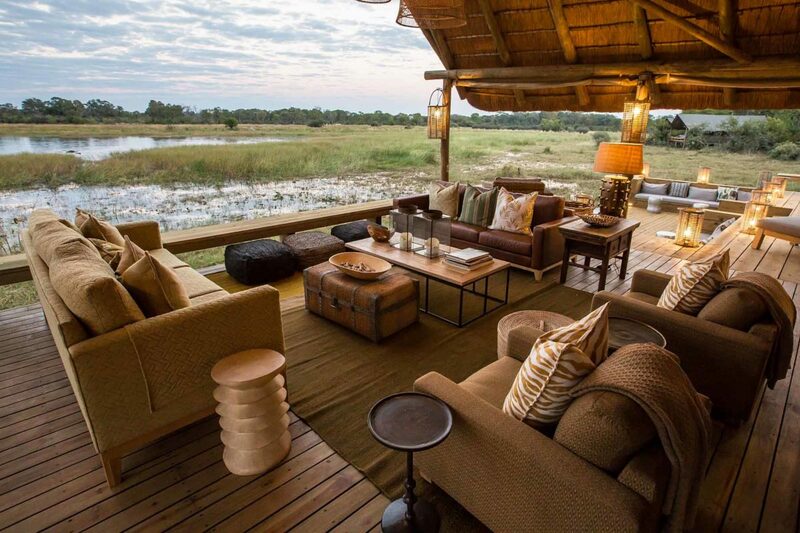 This restricts your game viewing possibilities. 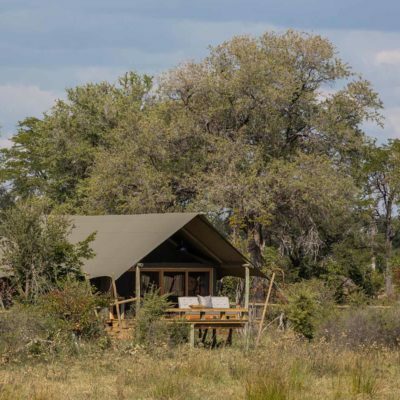 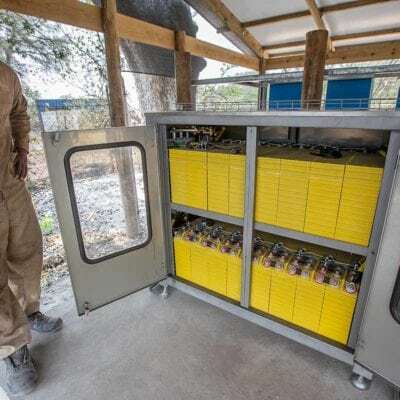 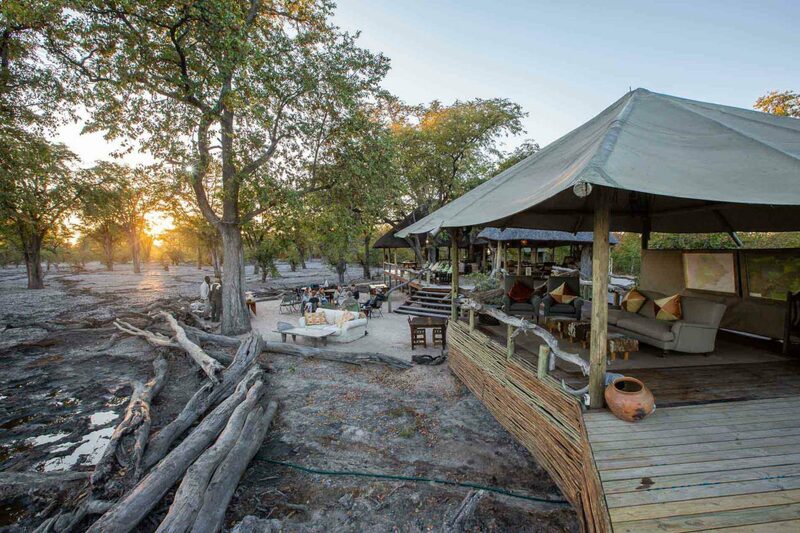 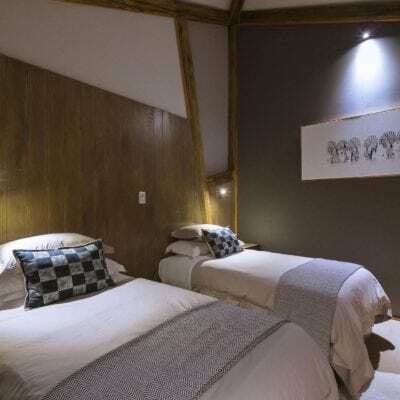 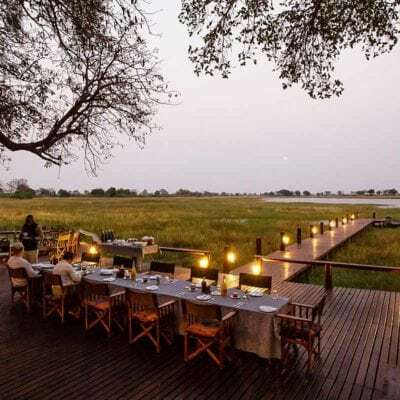 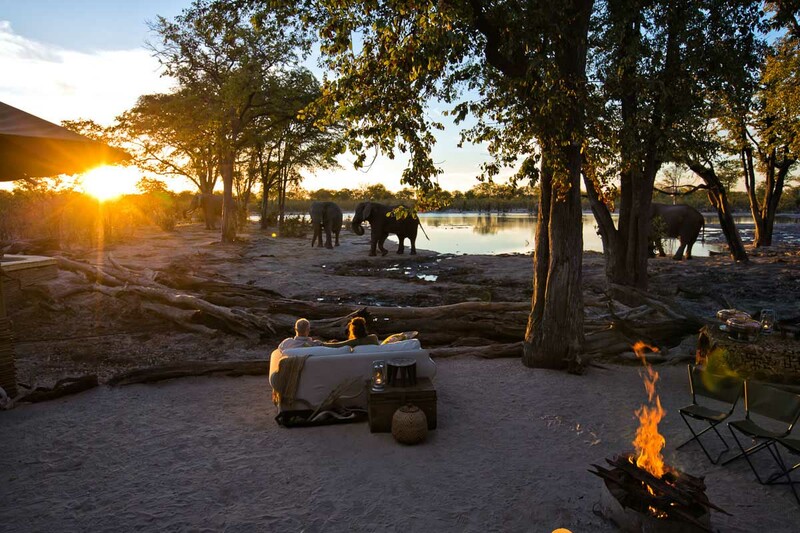 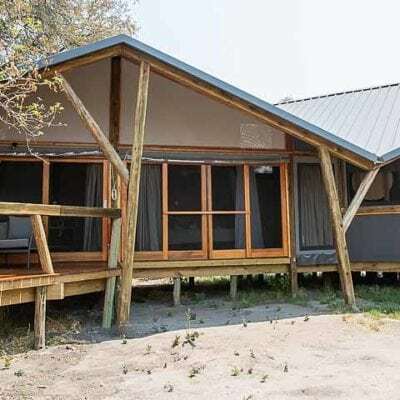 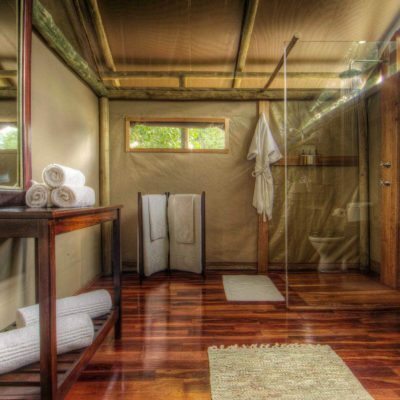 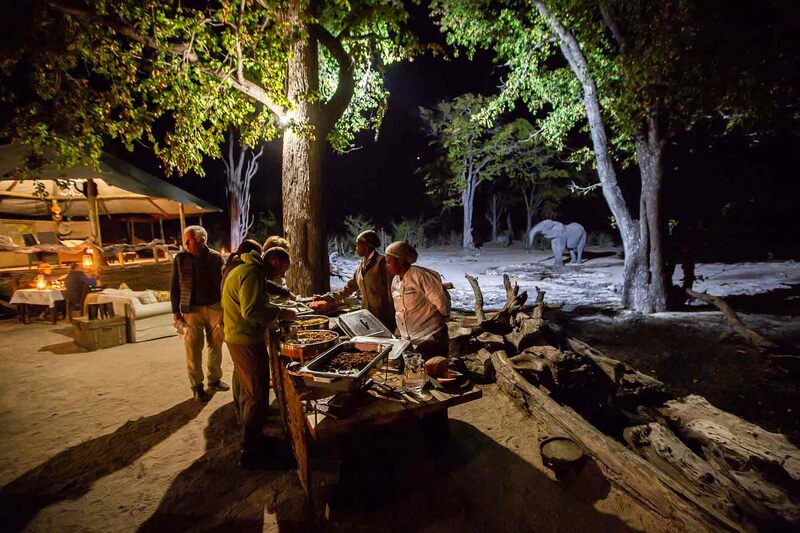 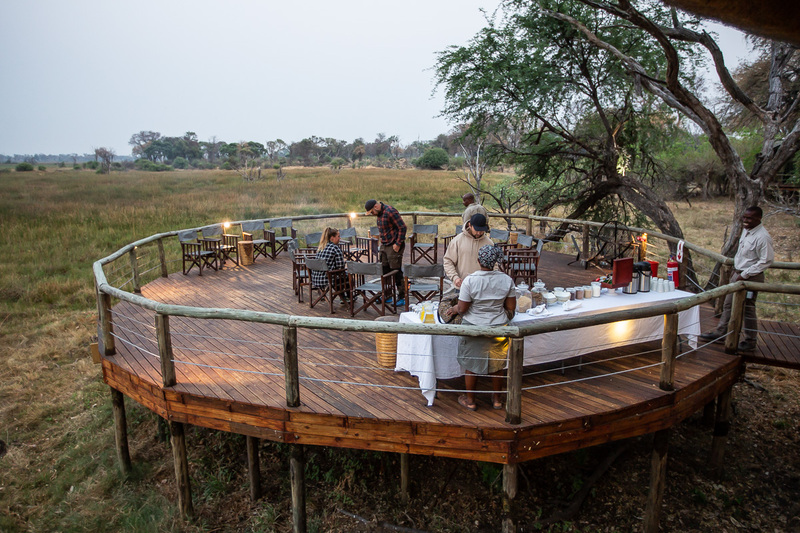 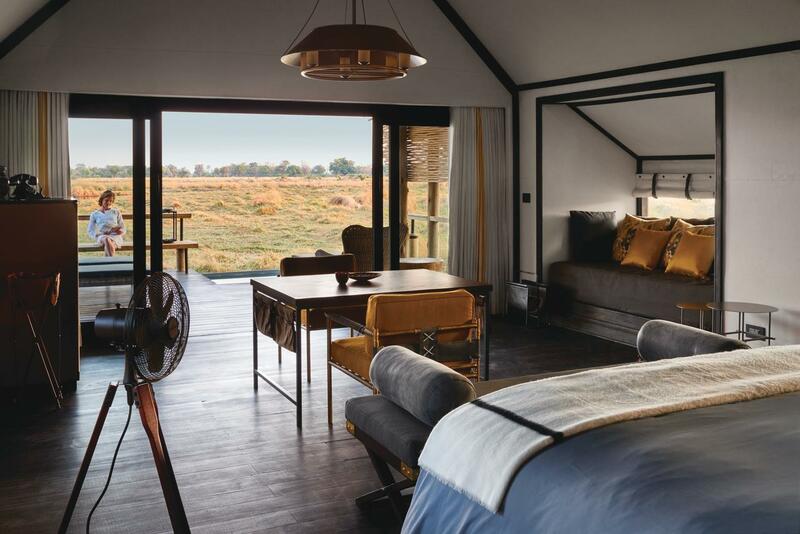 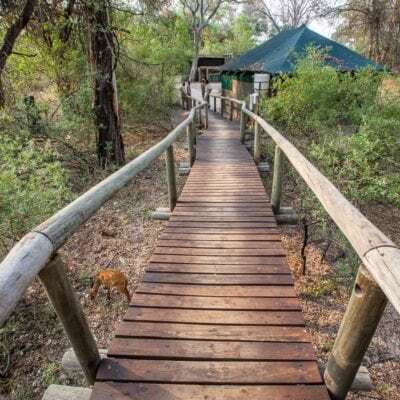 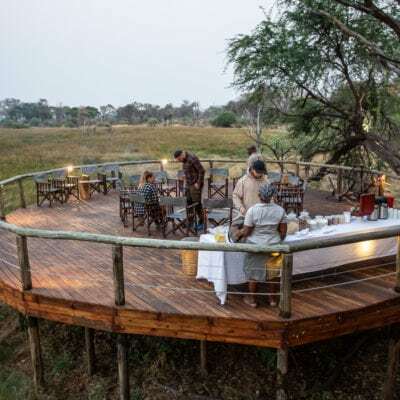 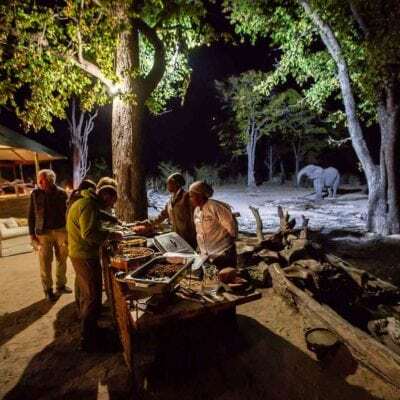 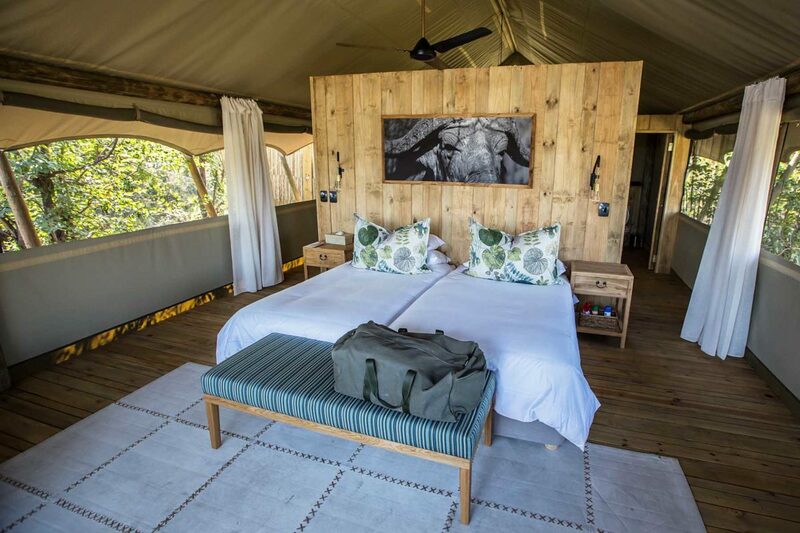 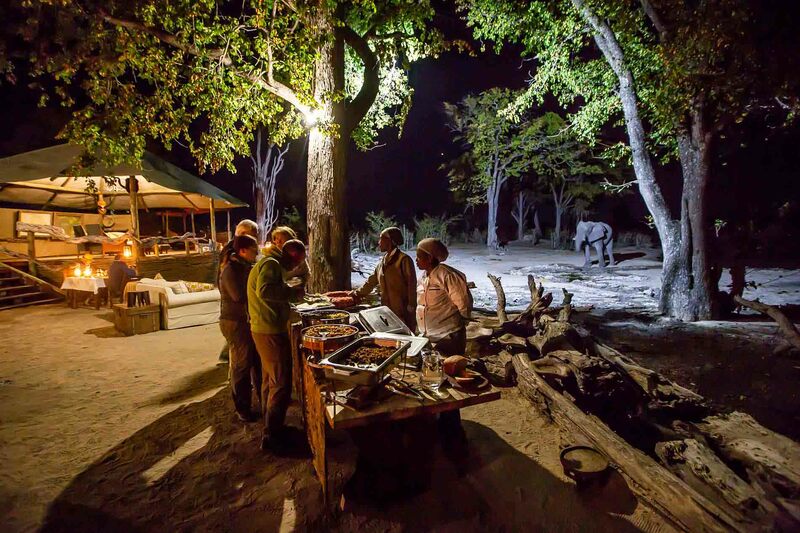 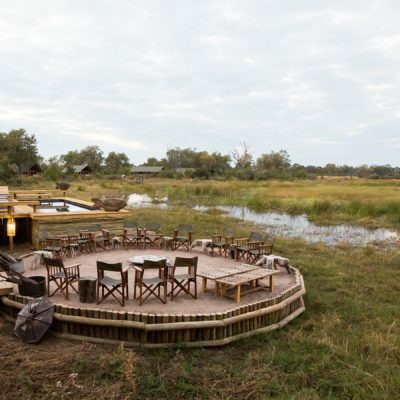 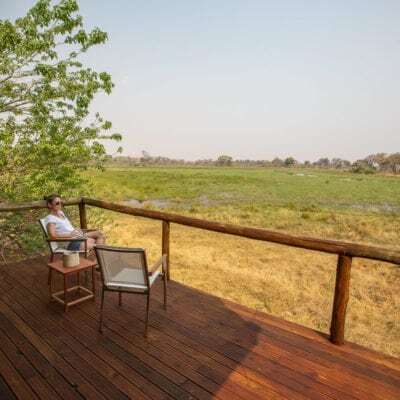 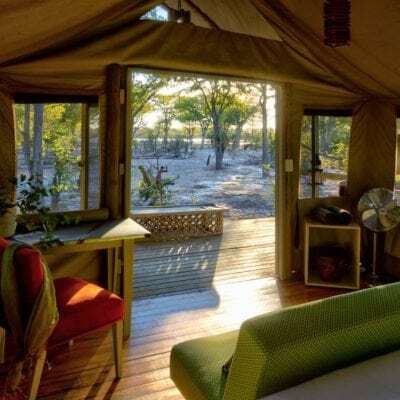 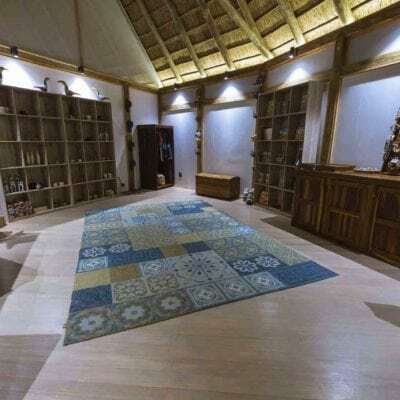 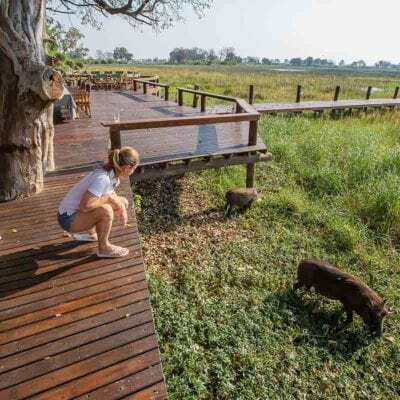 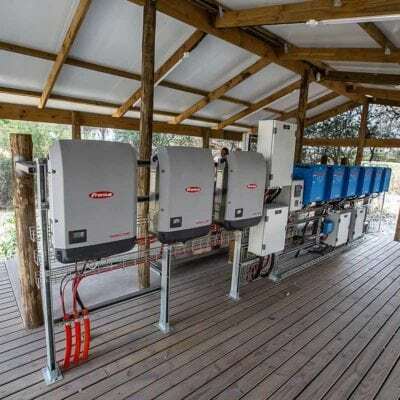 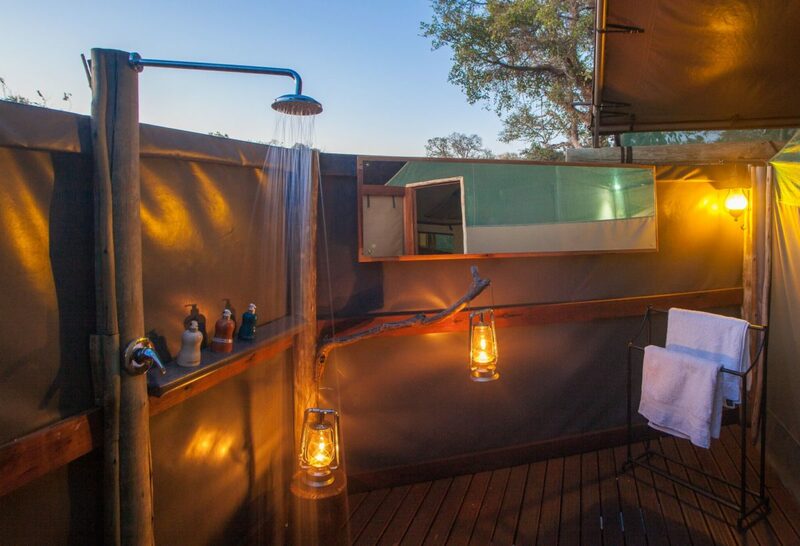 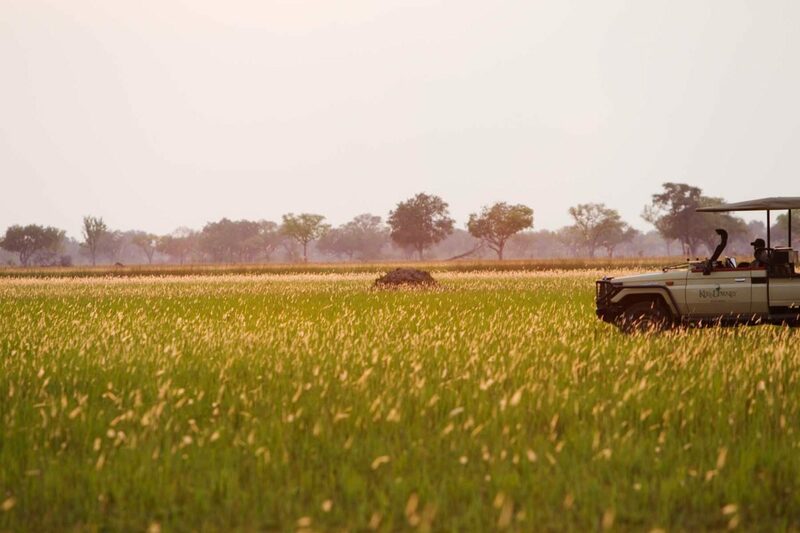 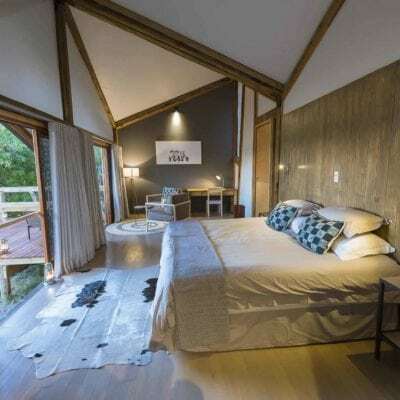 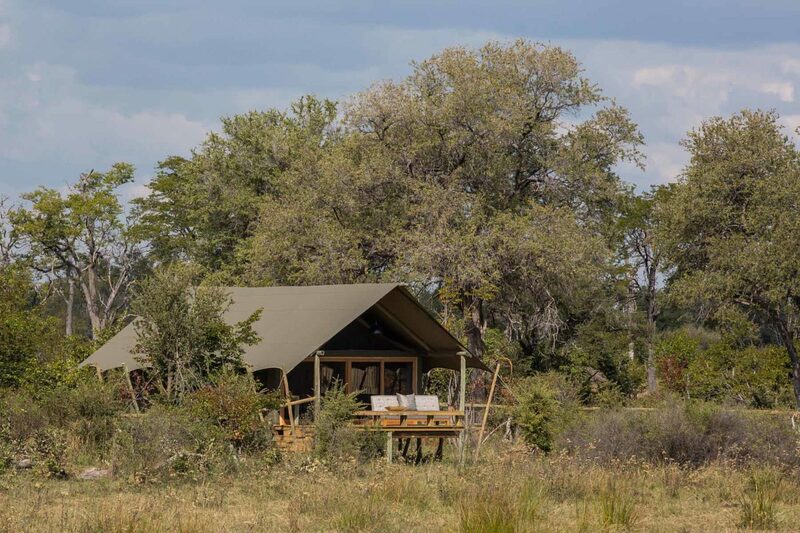 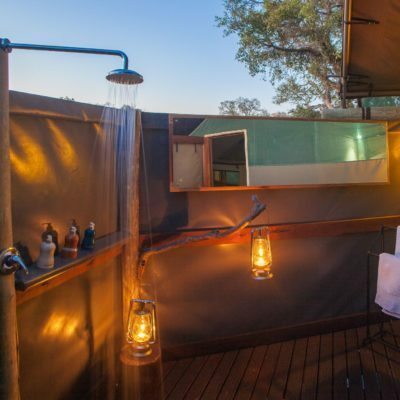 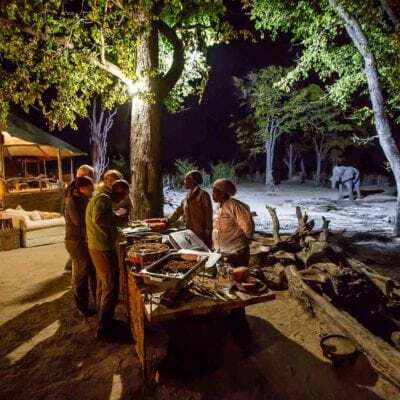 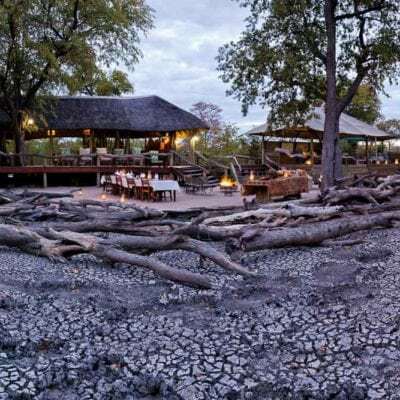 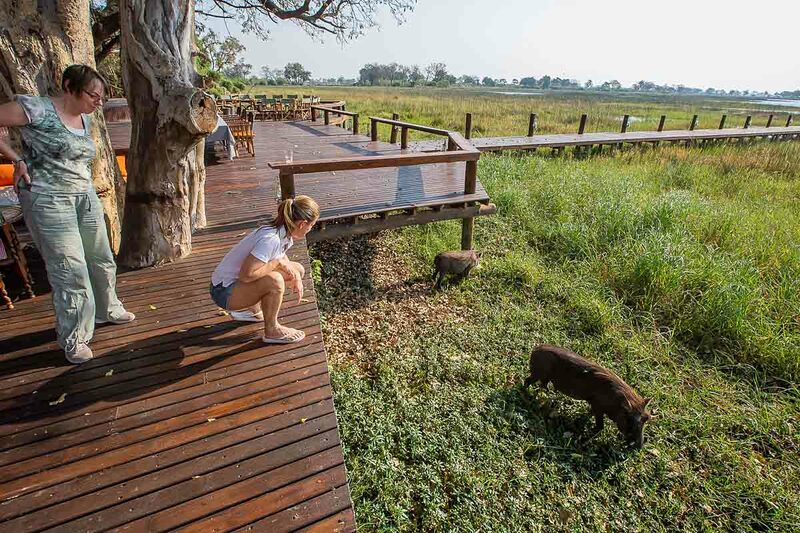 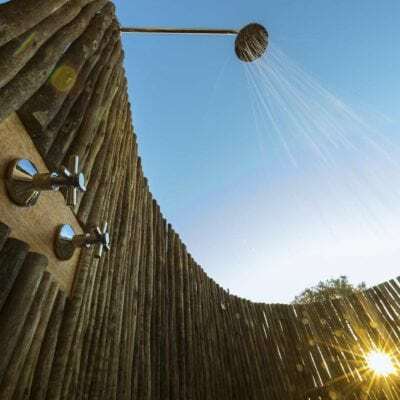 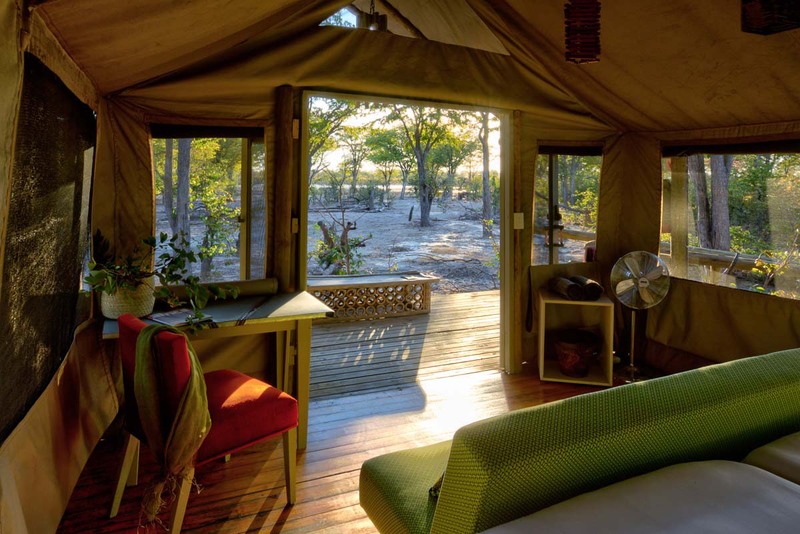 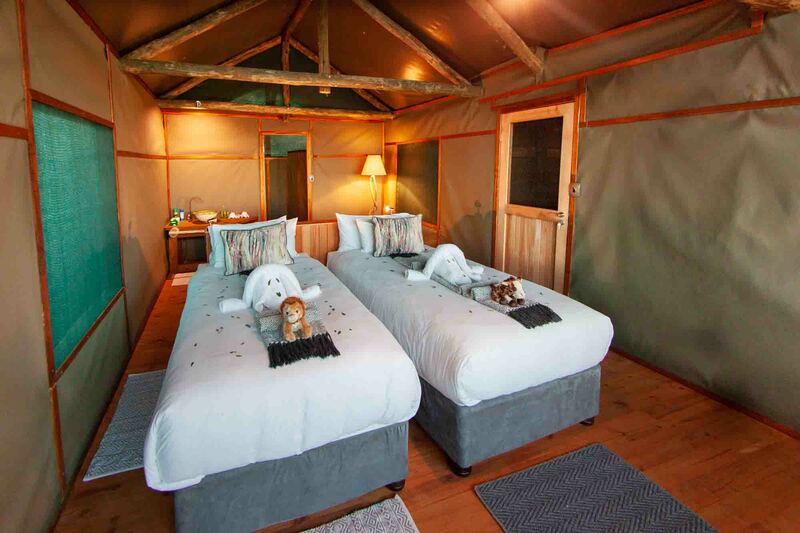 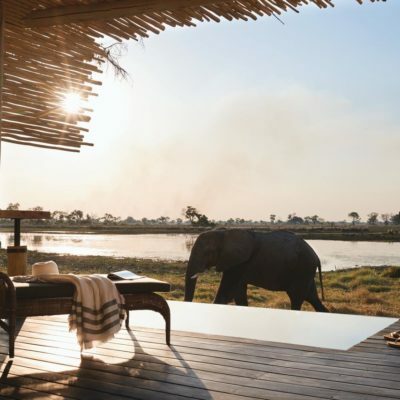 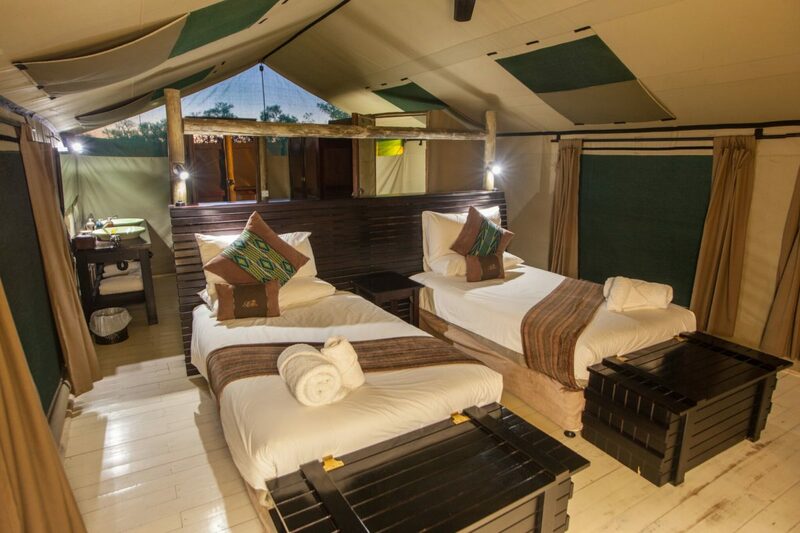 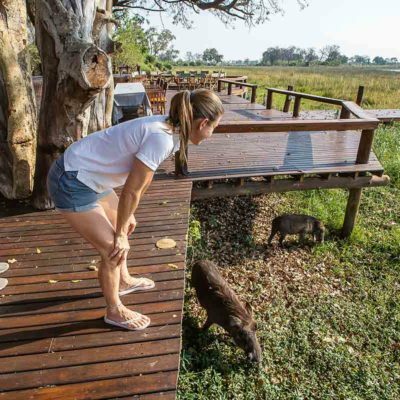 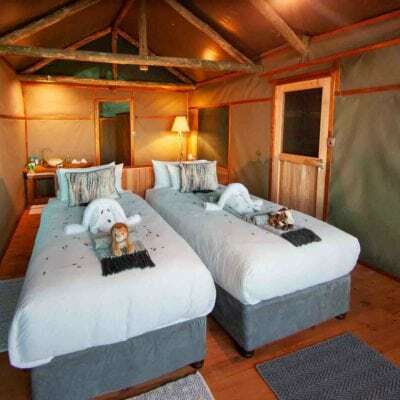 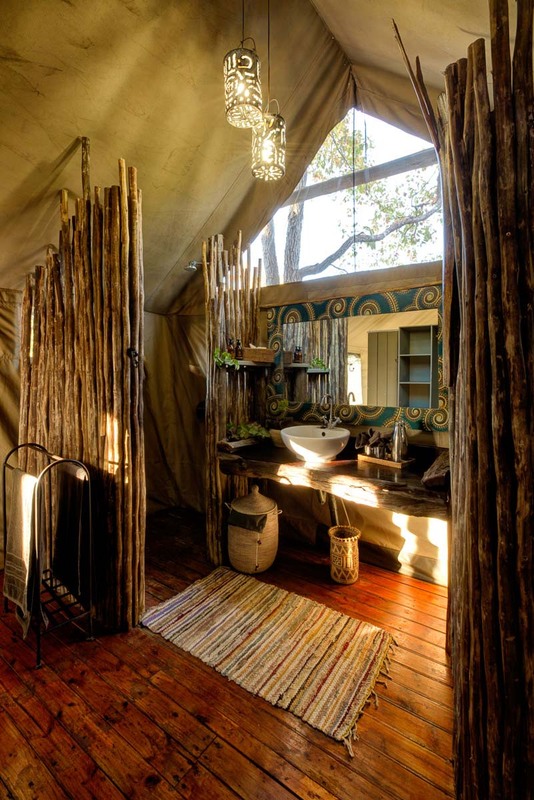 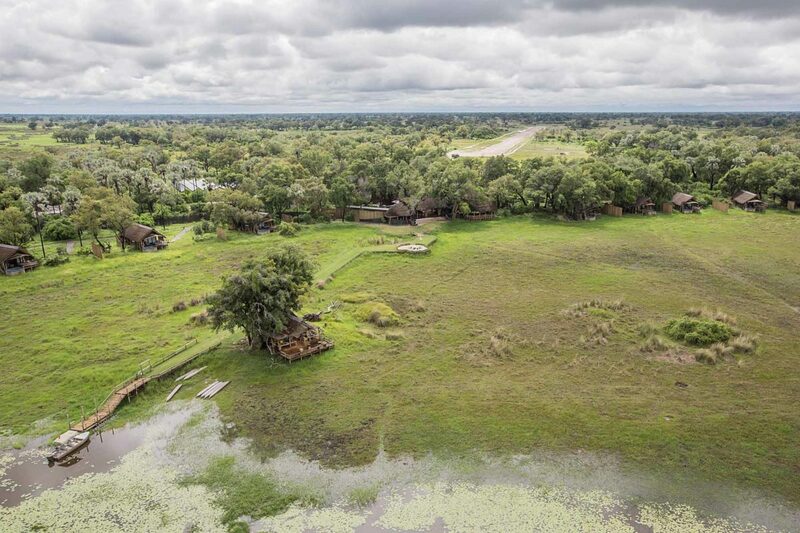 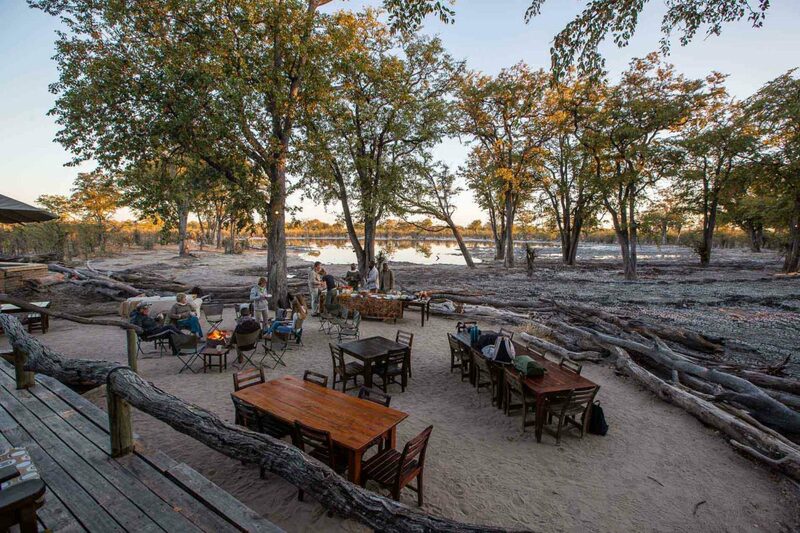 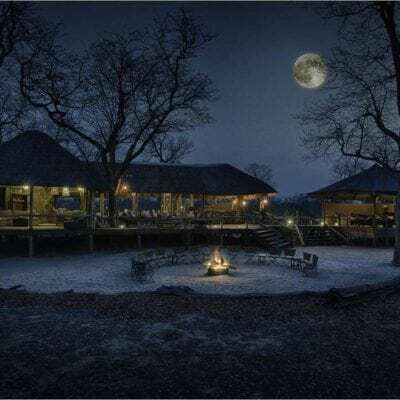 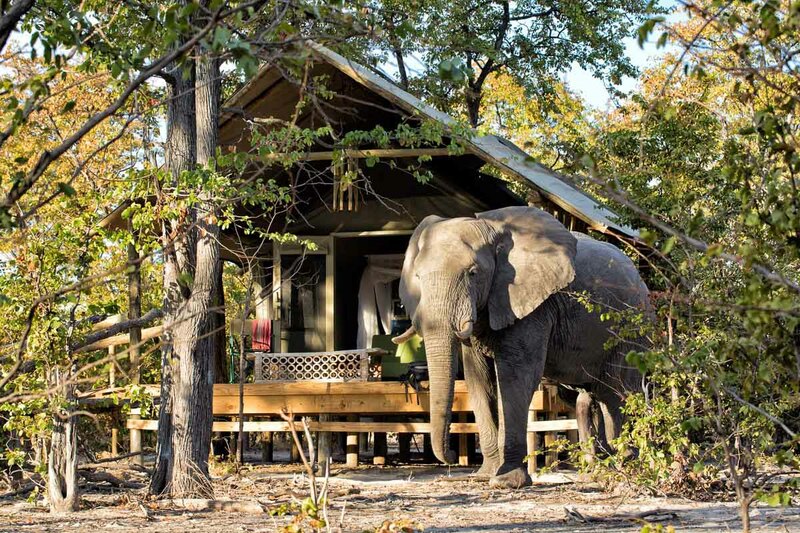 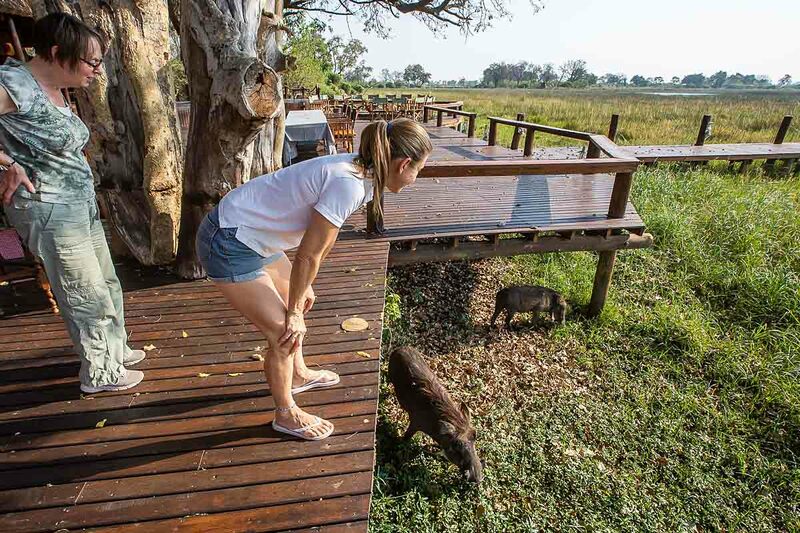 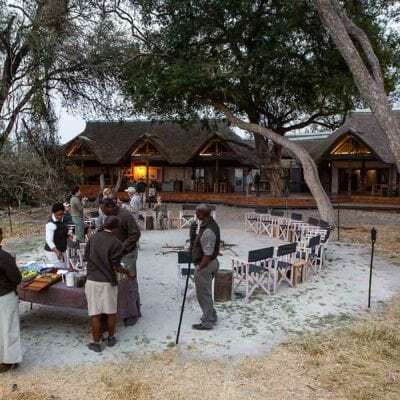 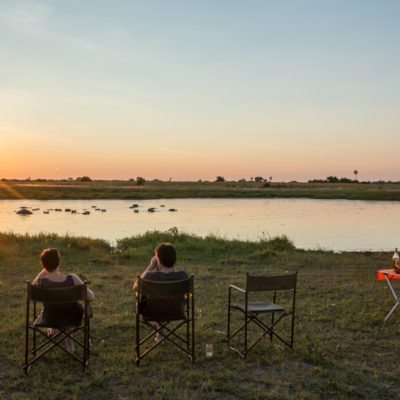 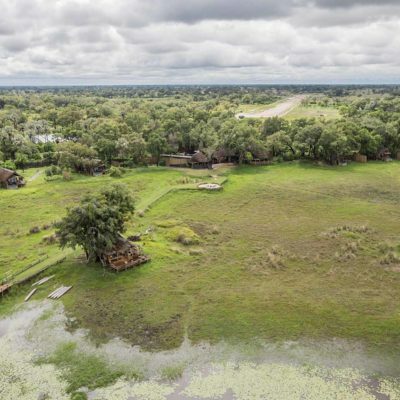 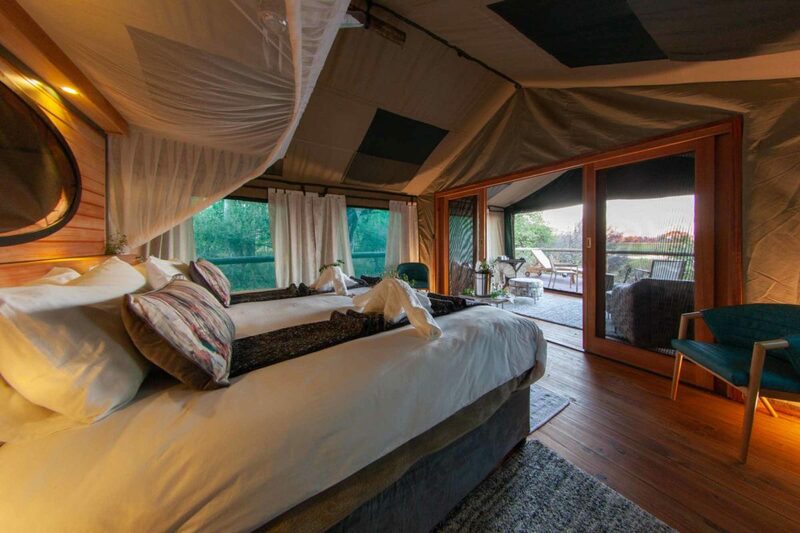 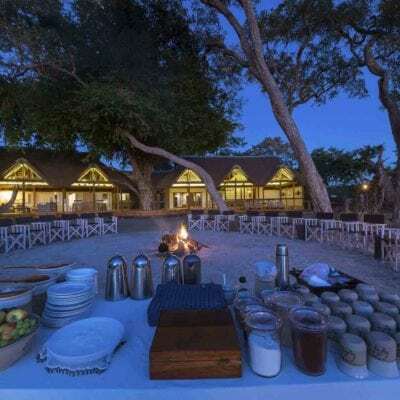 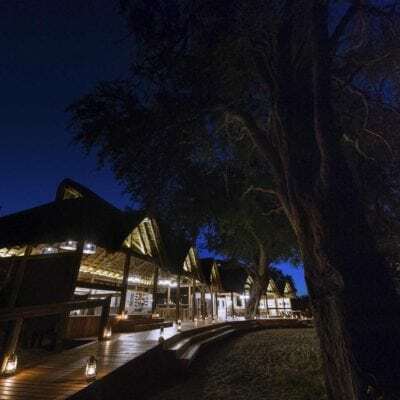 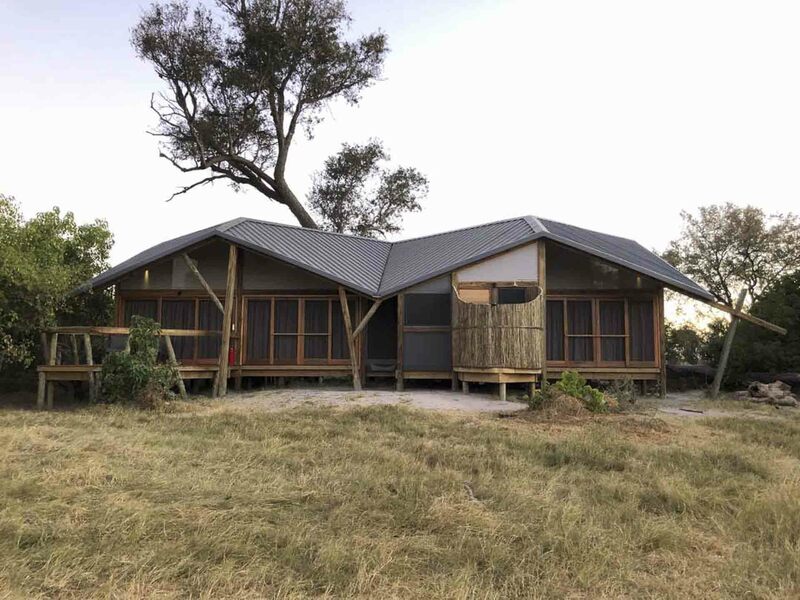 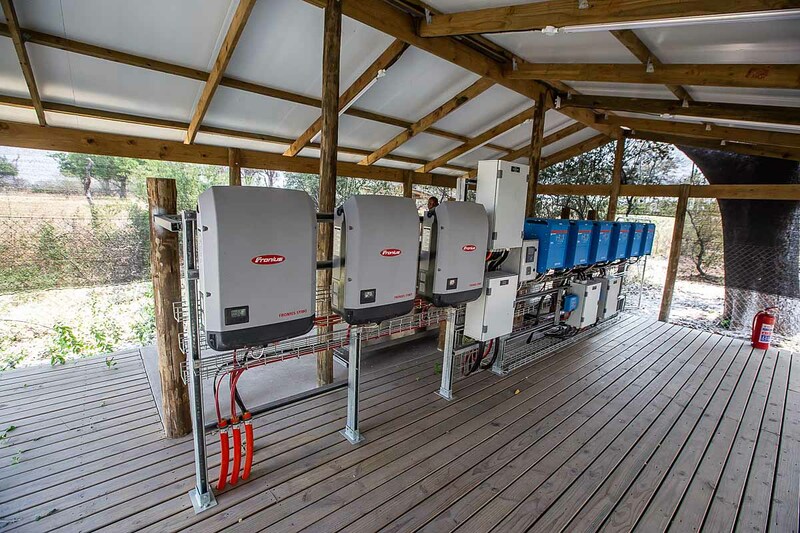 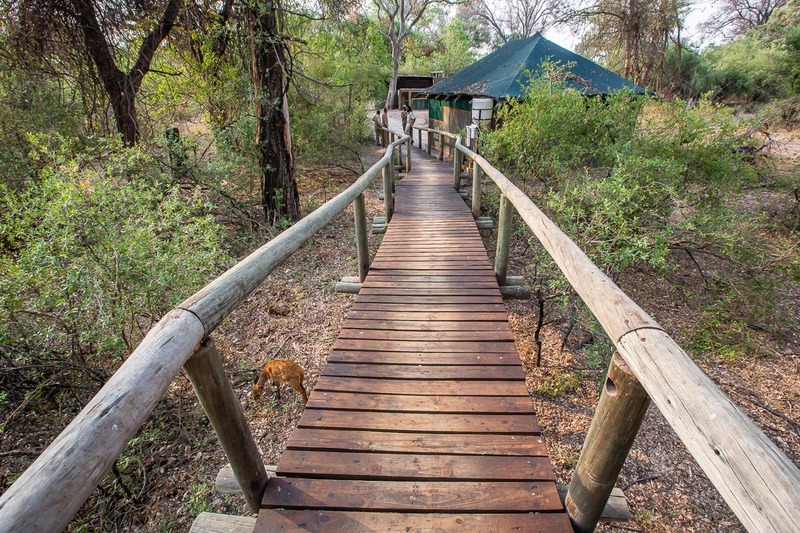 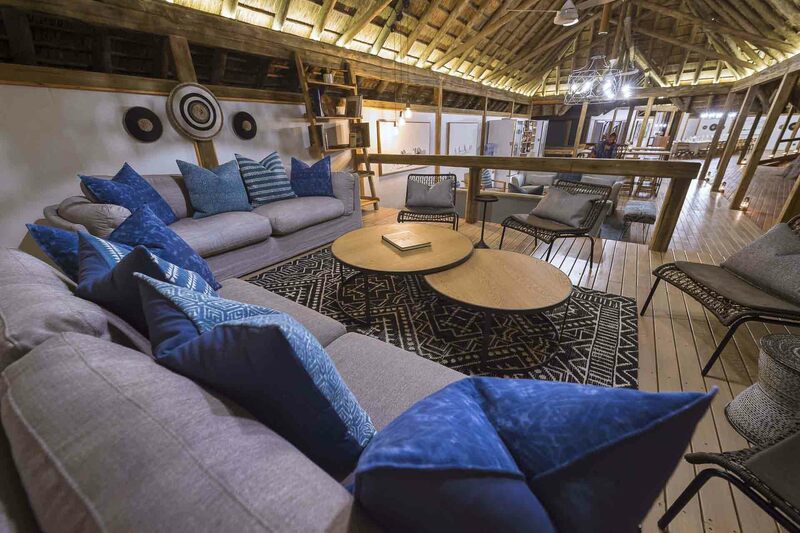 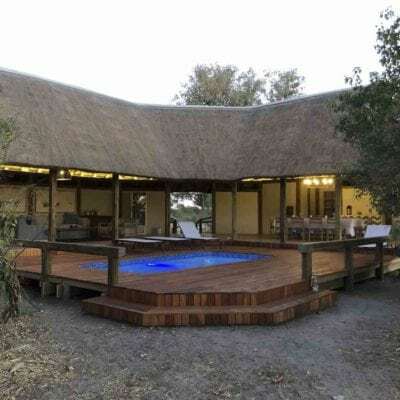 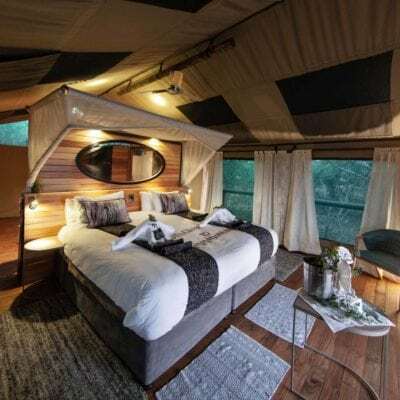 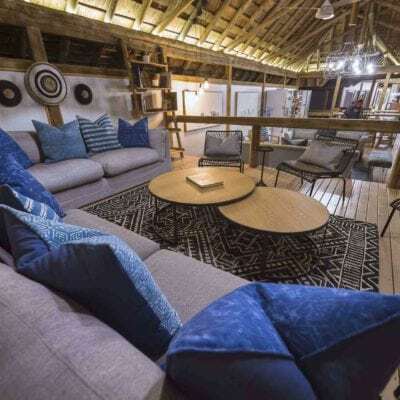 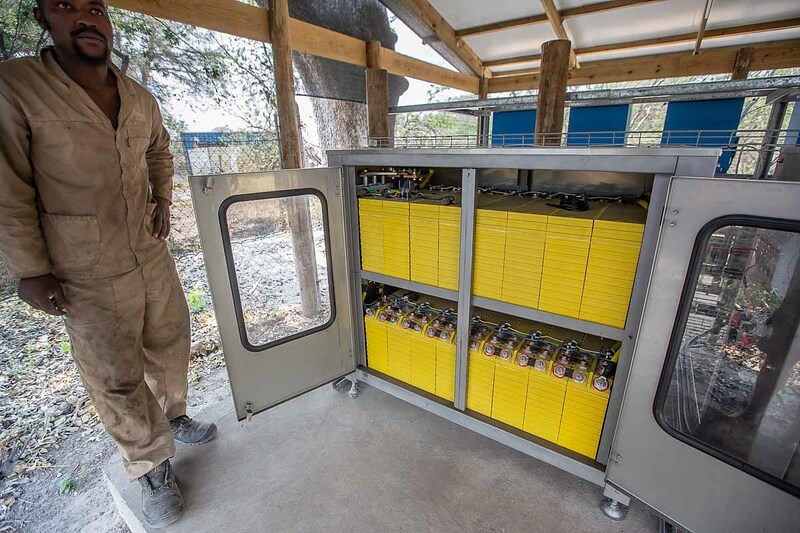 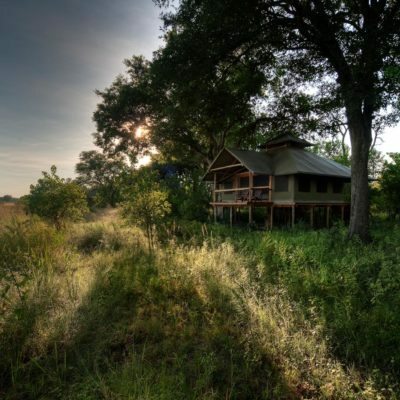 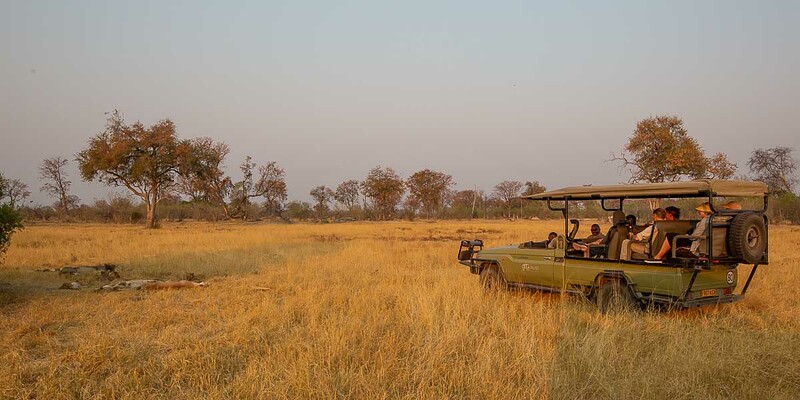 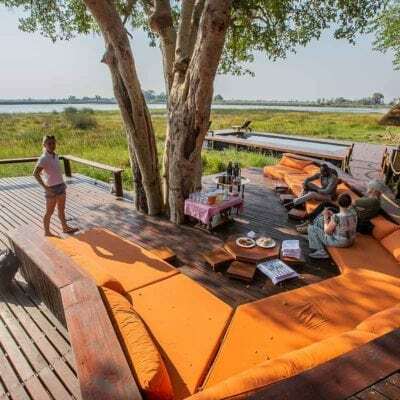 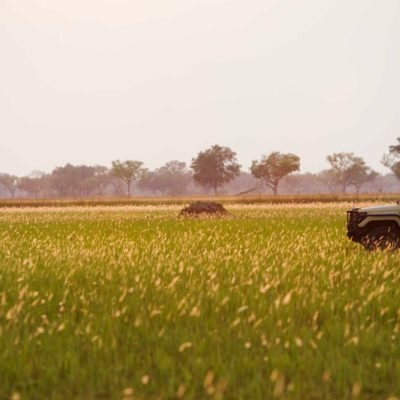 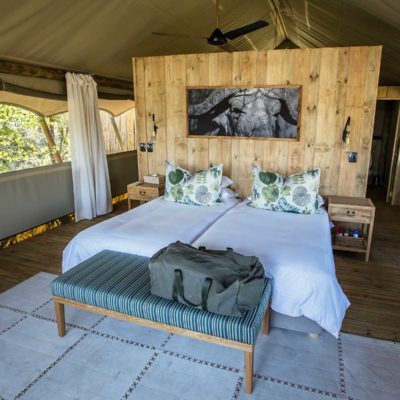 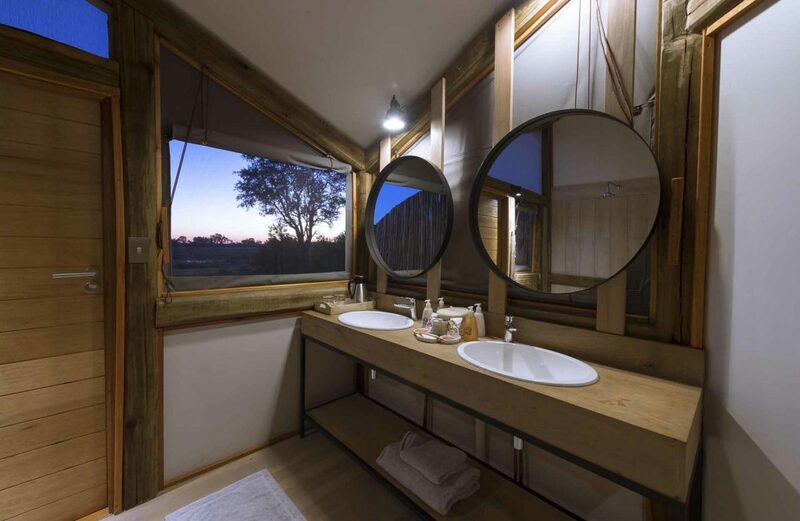 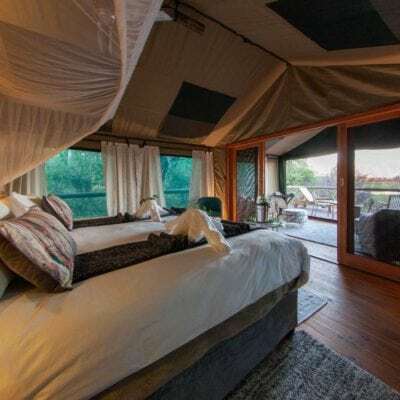 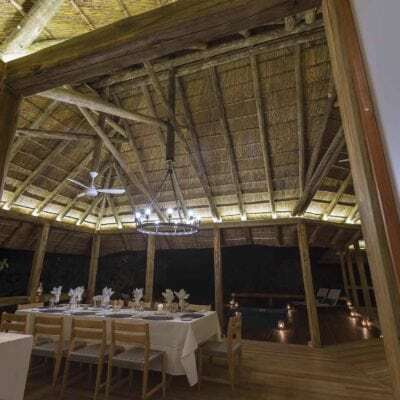 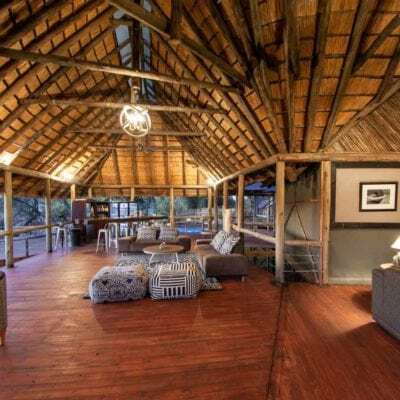 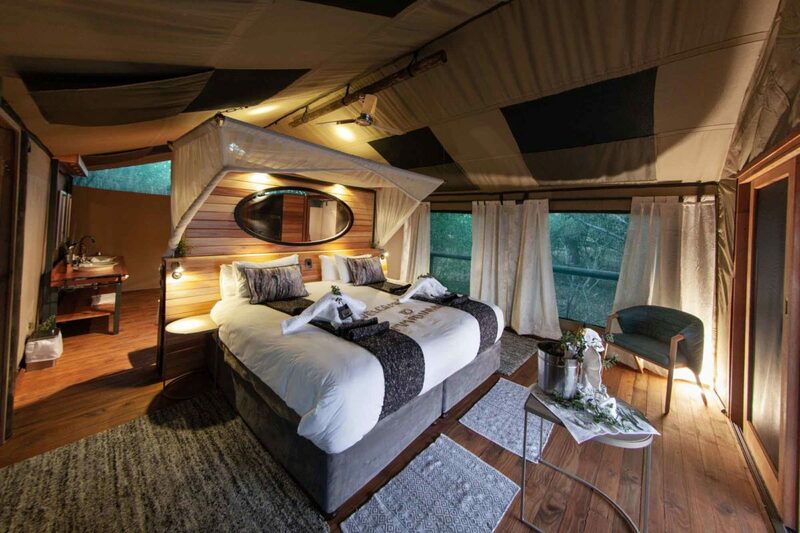 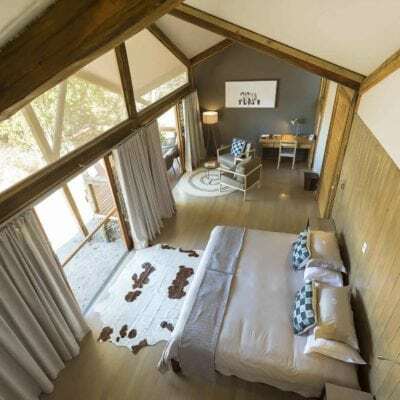 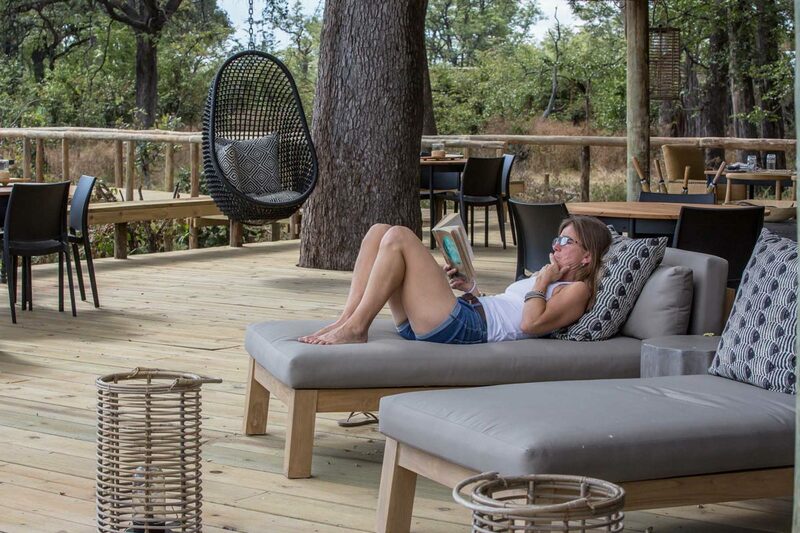 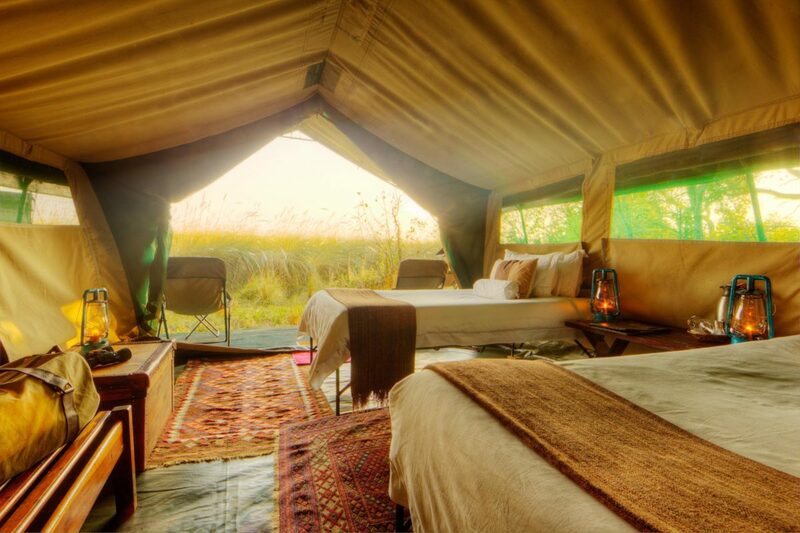 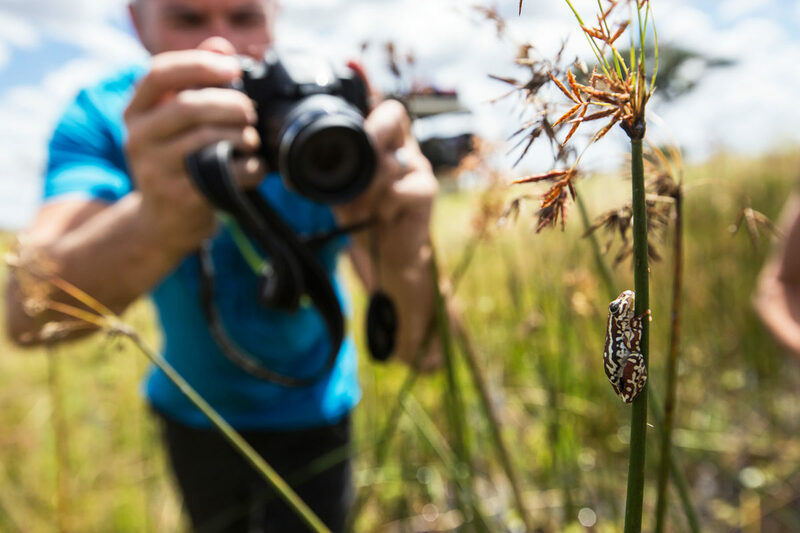 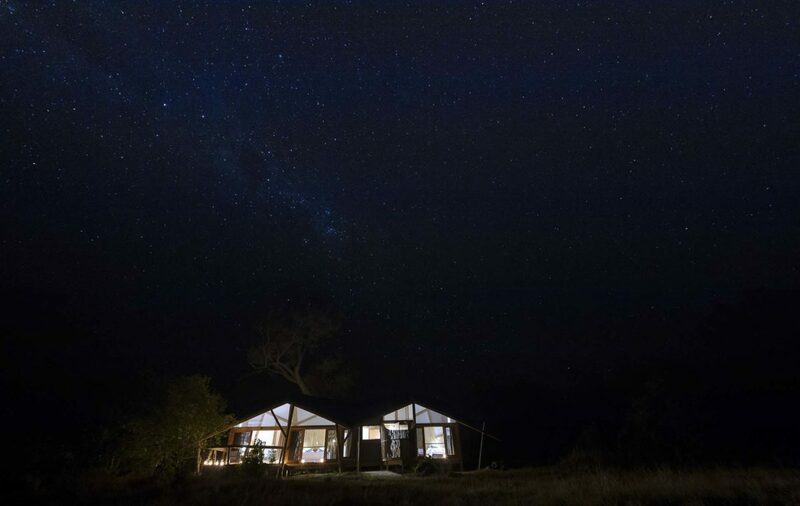 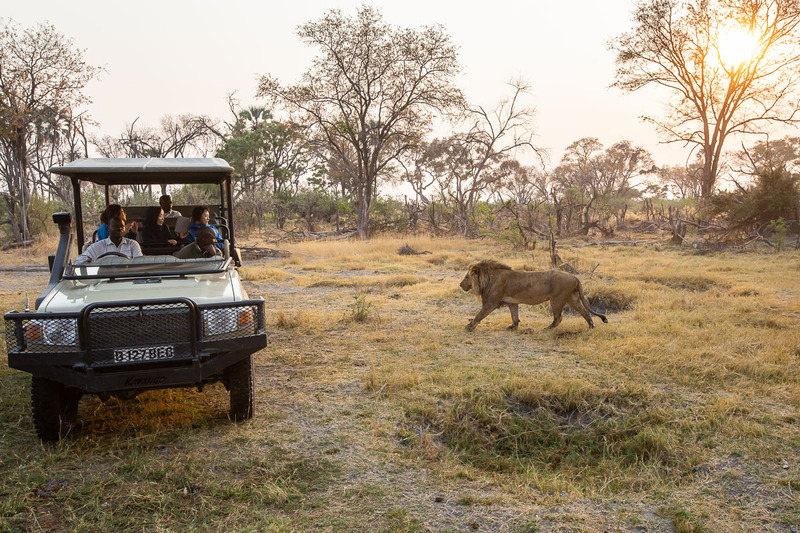 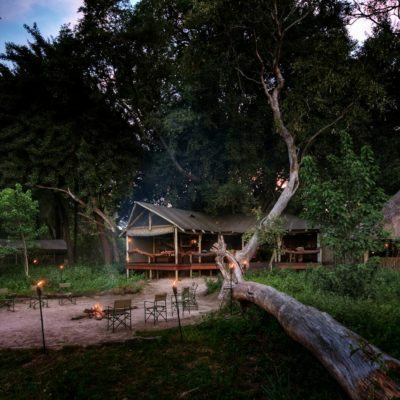 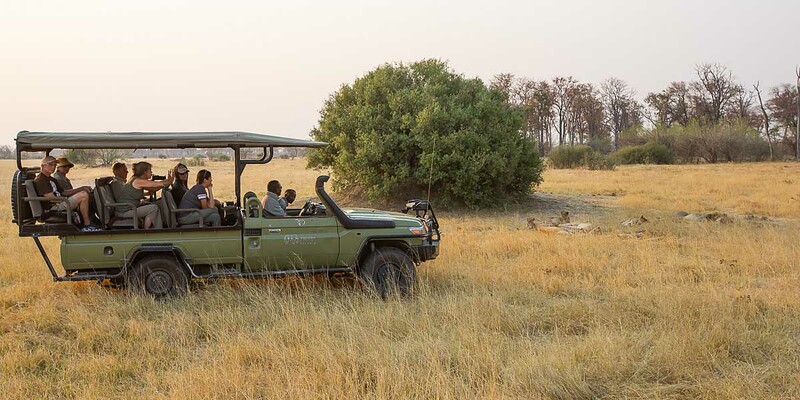 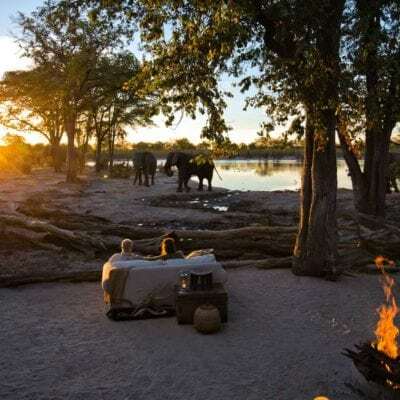 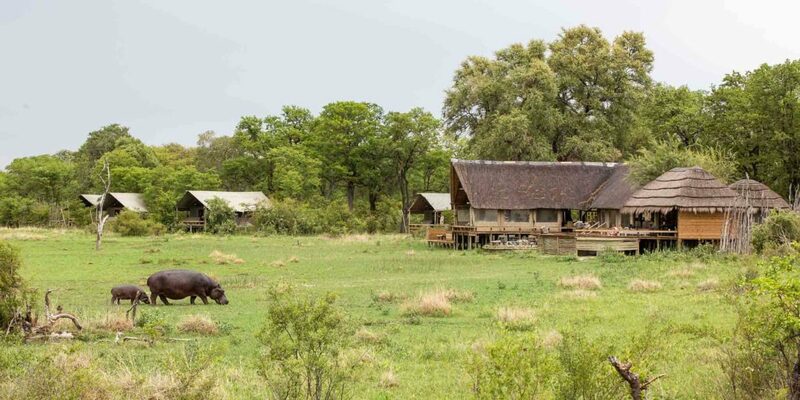 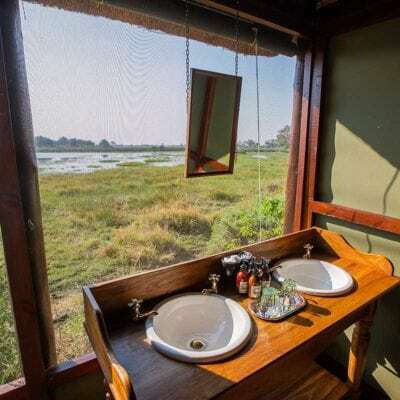 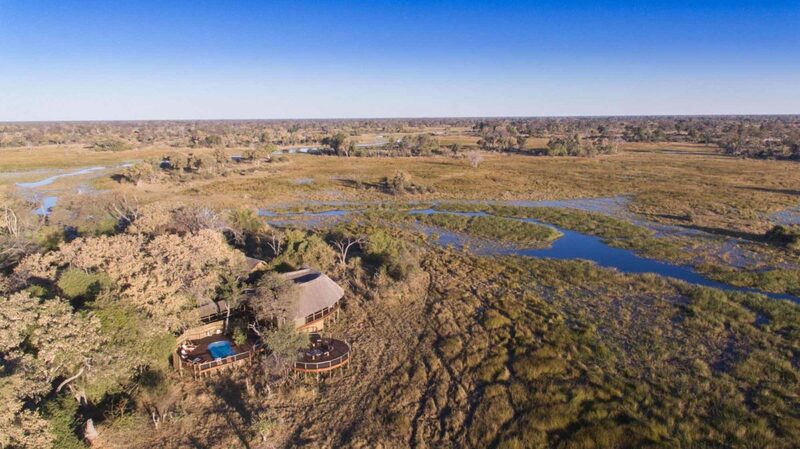 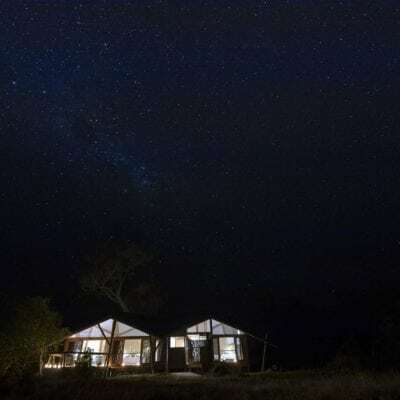 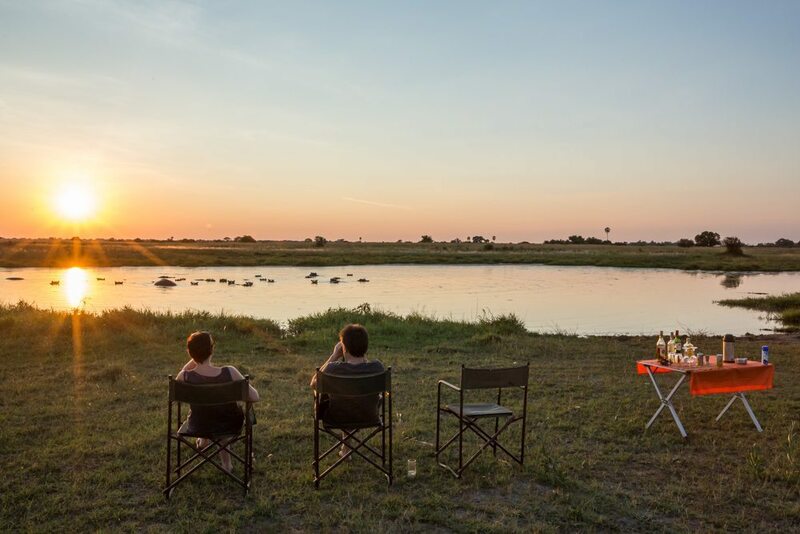 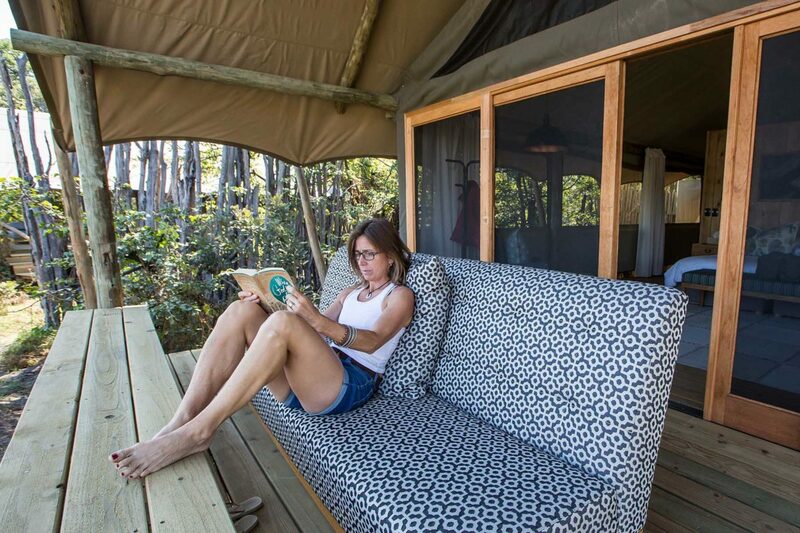 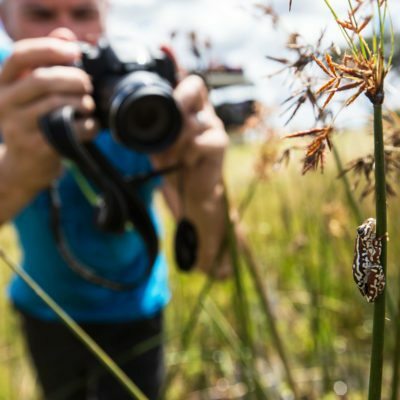 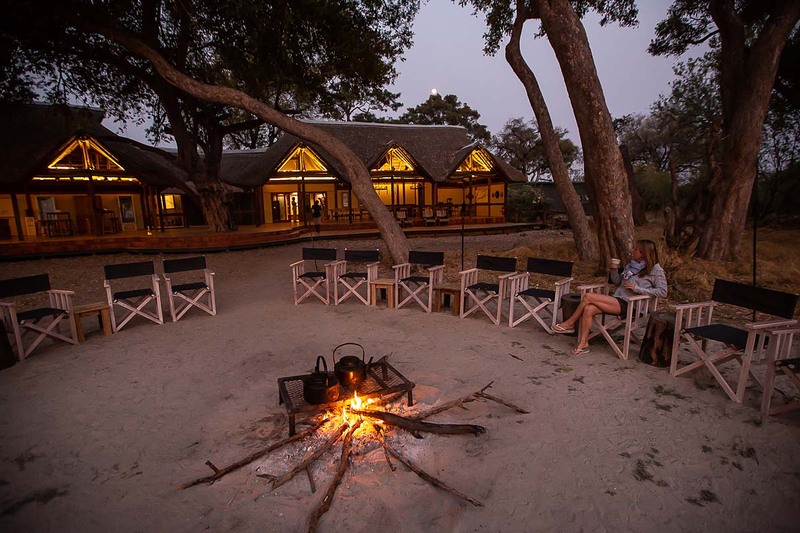 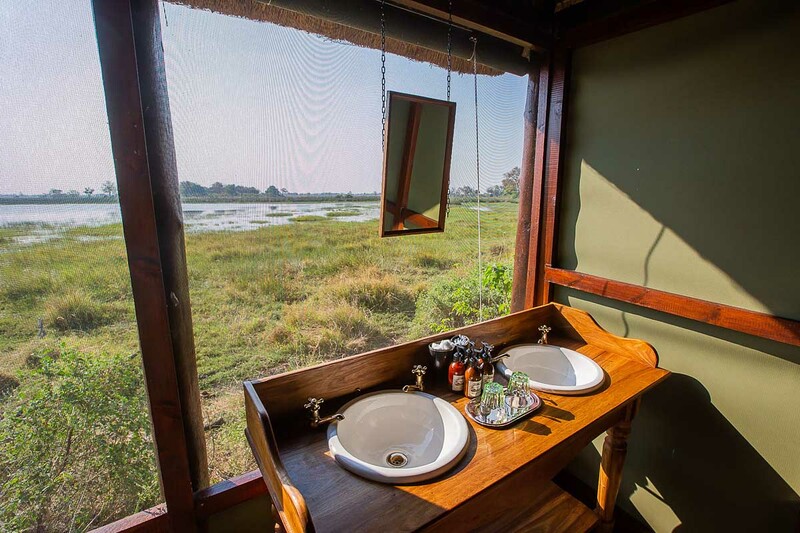 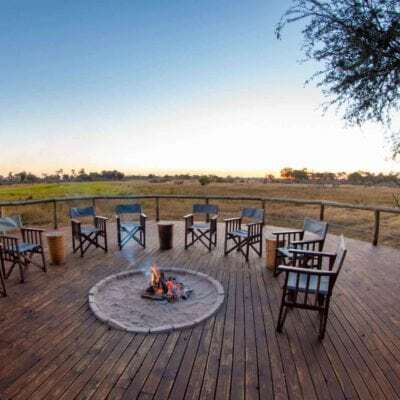 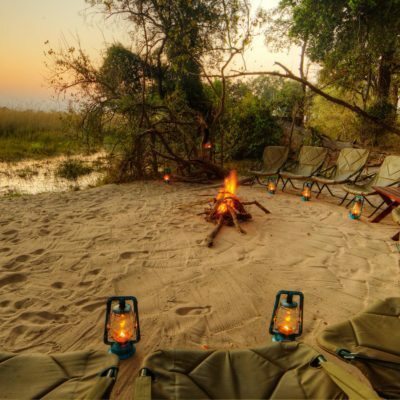 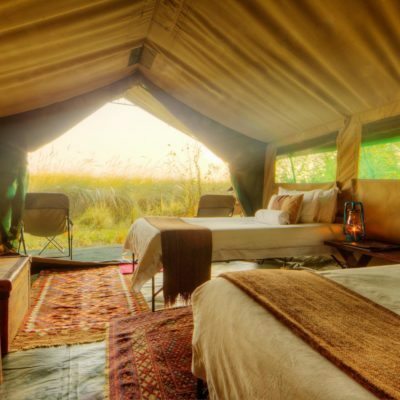 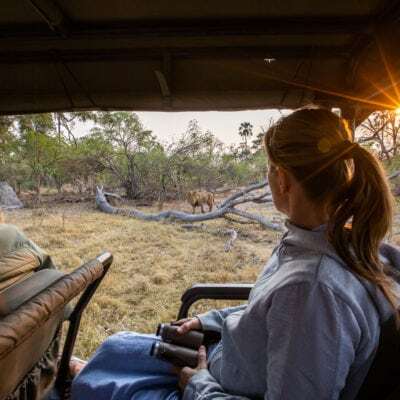 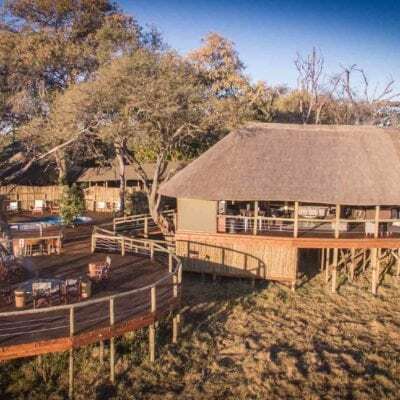 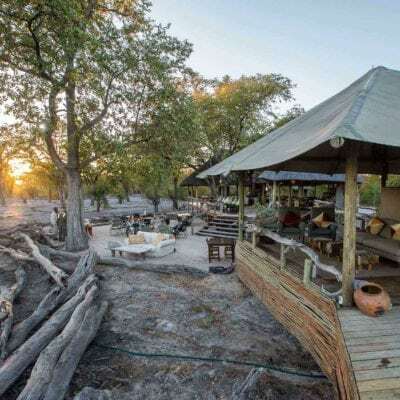 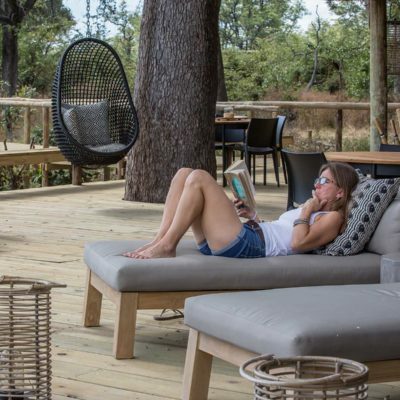 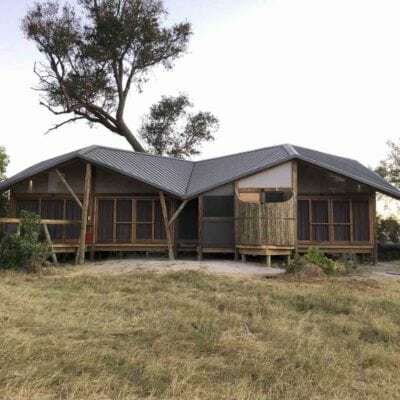 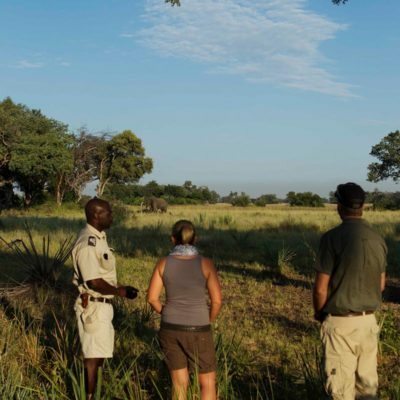 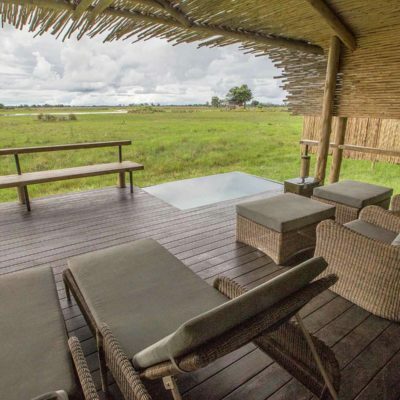 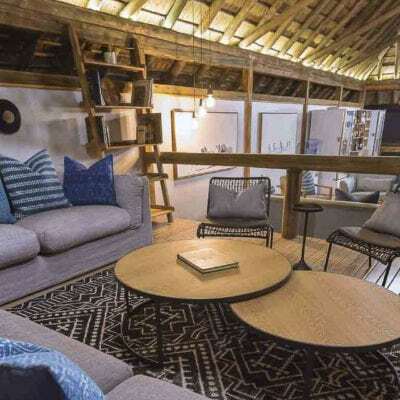 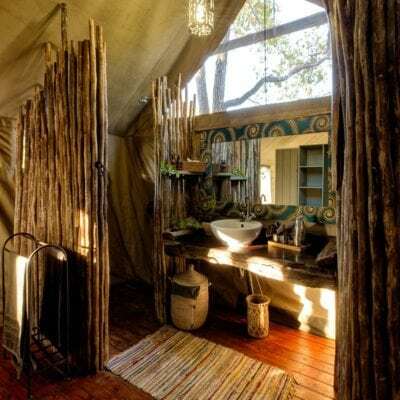 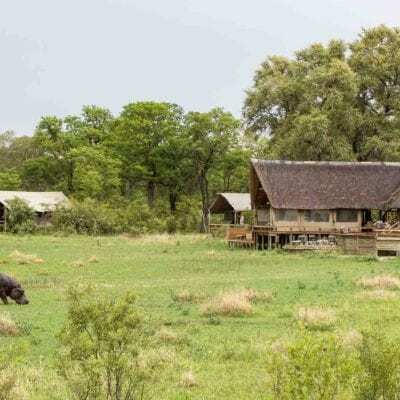 You have some basic options when it comes to what type of lodge you want to visit as this can effect what animals you can potentially see: Within the Okavango, “dry land” camps provide excellent vehicle based game viewing. 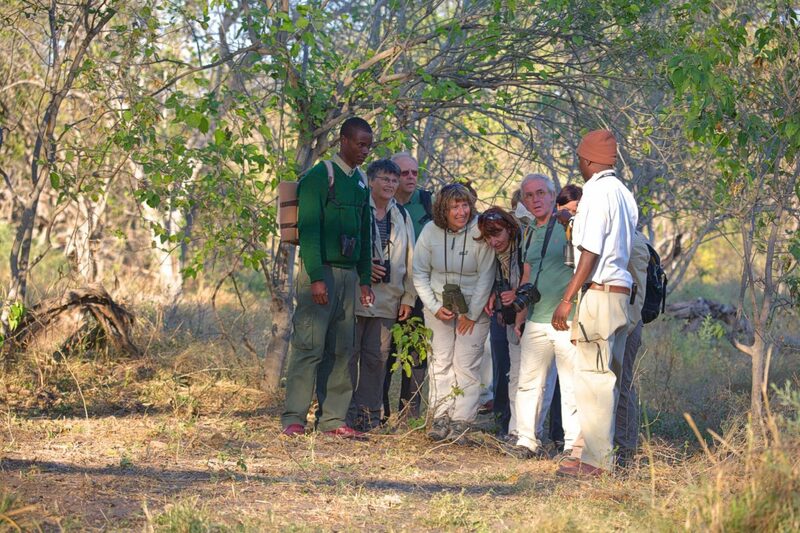 Here you can tick off some of the big predators, get close to them and observe unique behaviour. 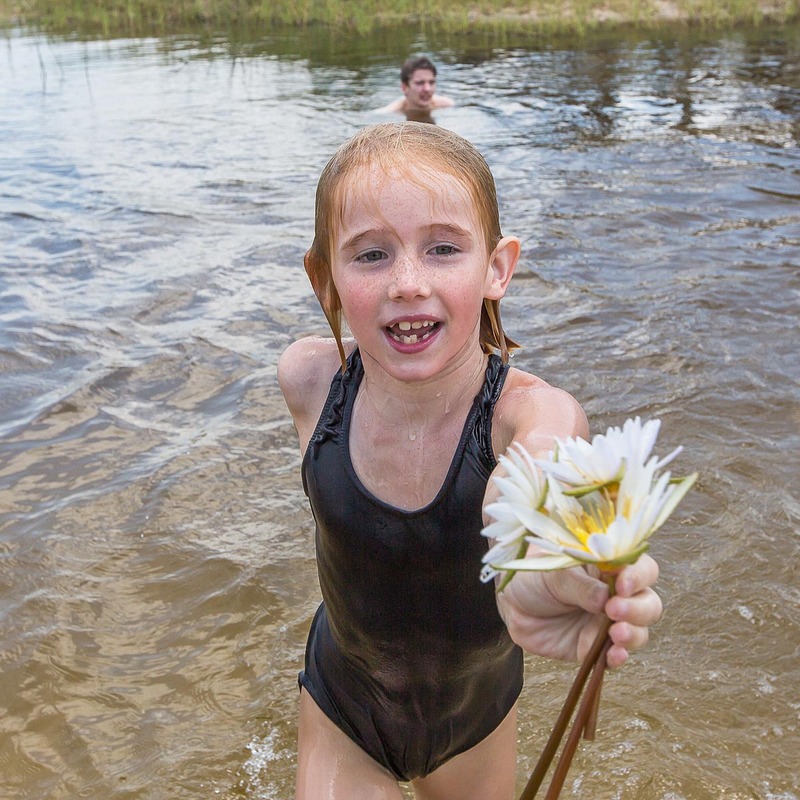 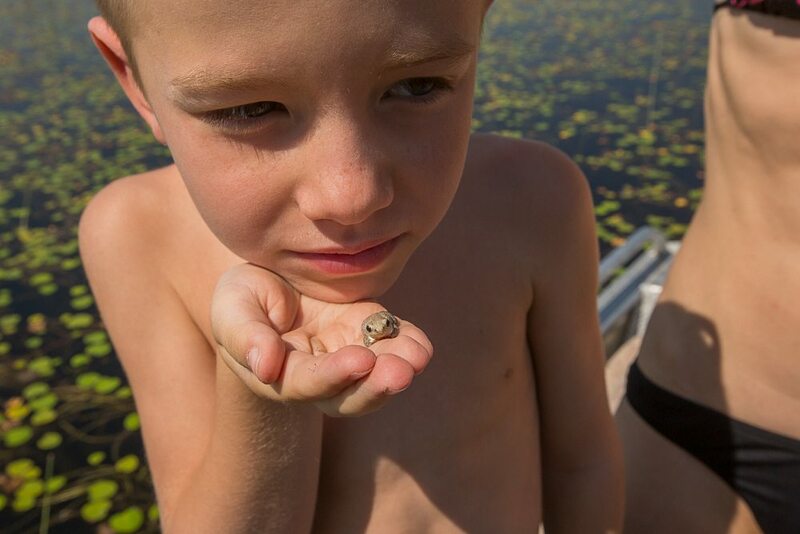 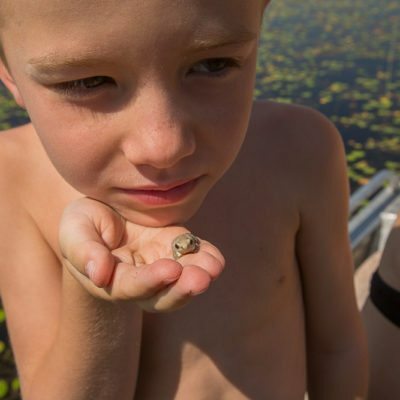 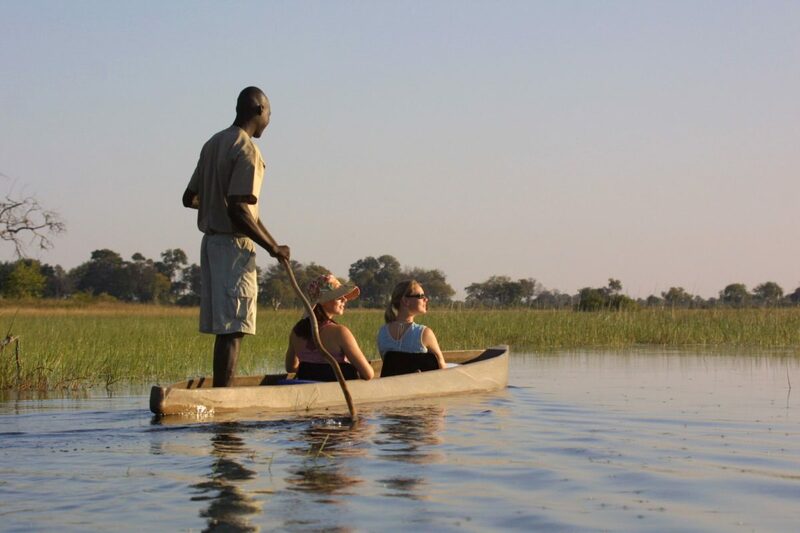 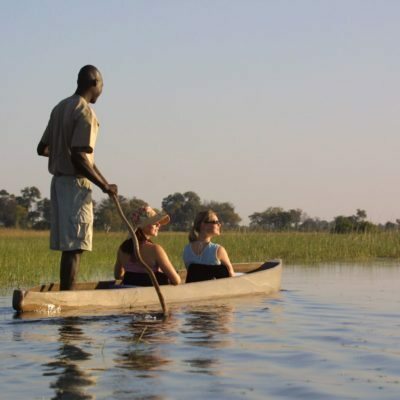 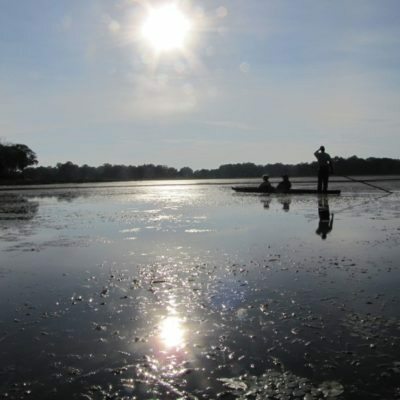 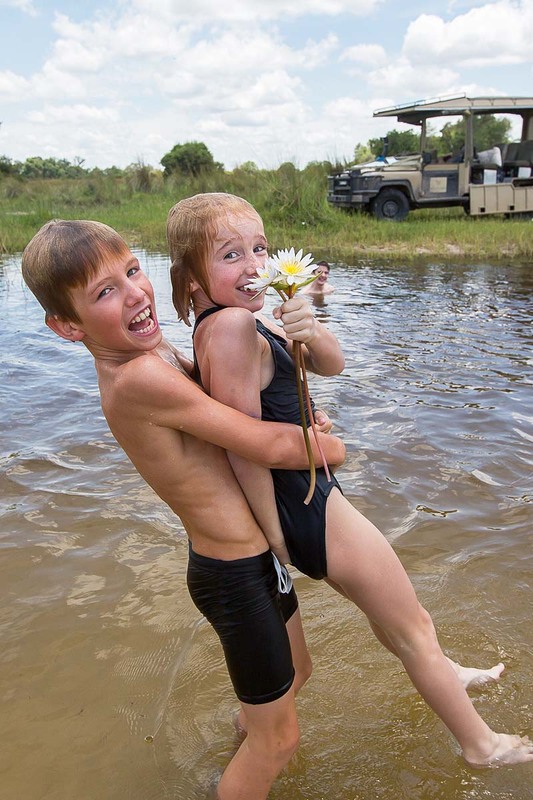 Secondly, a wide choice of “water camps” provide activities focused mainly on the water (boating / Mokoro). 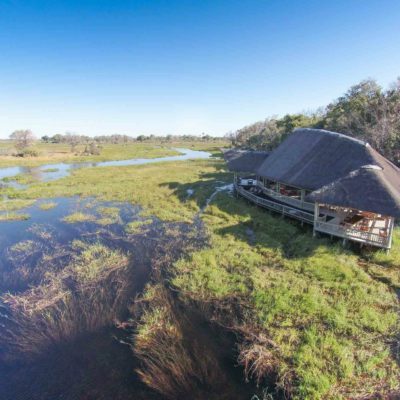 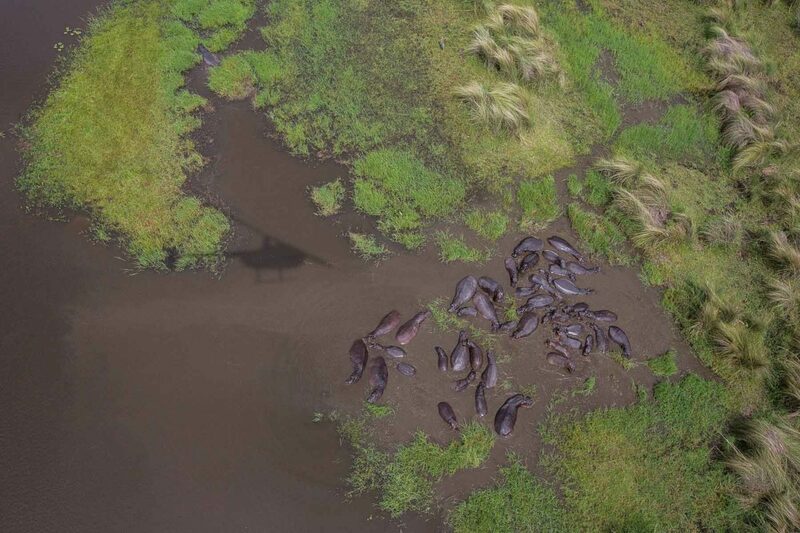 These lodges might be located in the more flooded areas of the Okavango, where there is less dry land for the predators to operate. 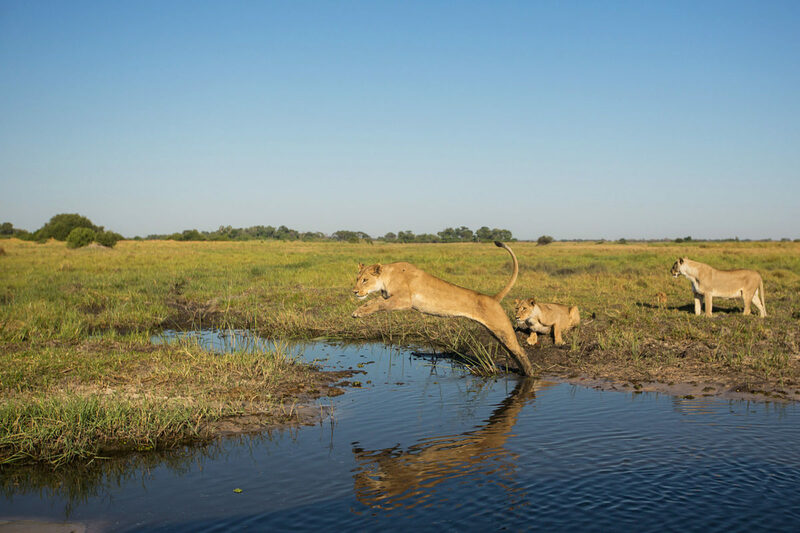 Hence, the activities are more “water” focused. 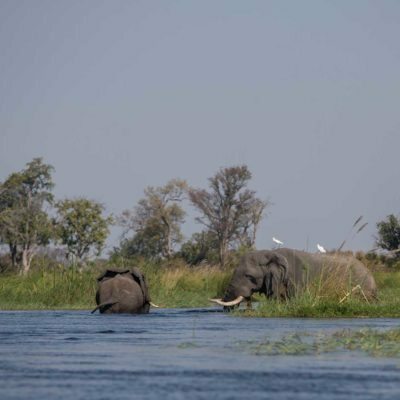 “Water” focused activities generally produce sightings more along the lines of aquatic species like elephants, hippos, birds and crocodiles. 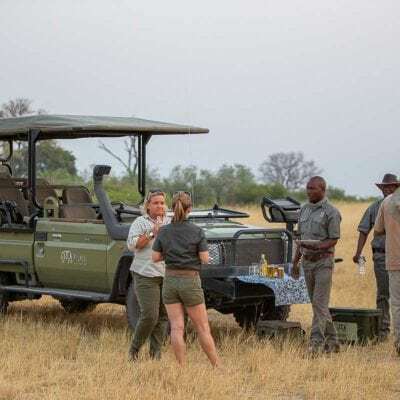 Predators can be seen but not on a regular basis – although doing walking safaris out of these camps does increase your chances considerably. 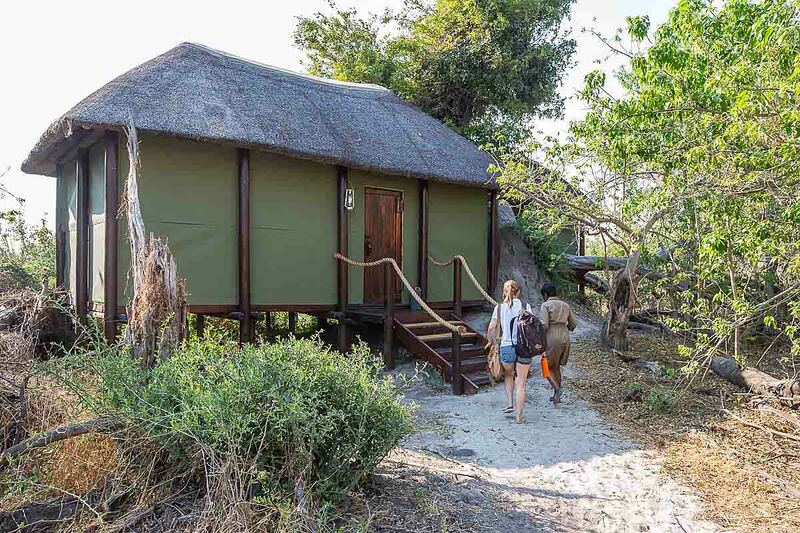 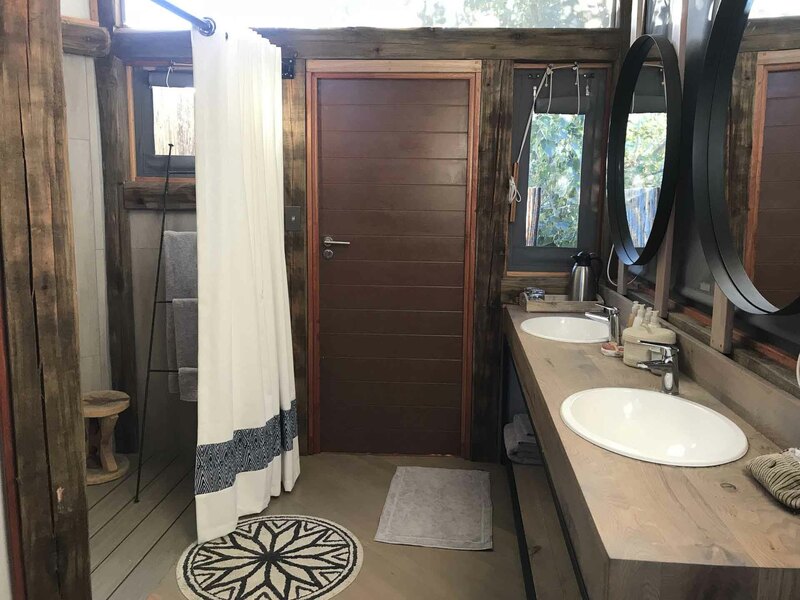 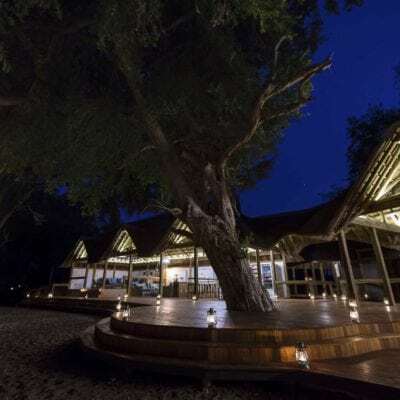 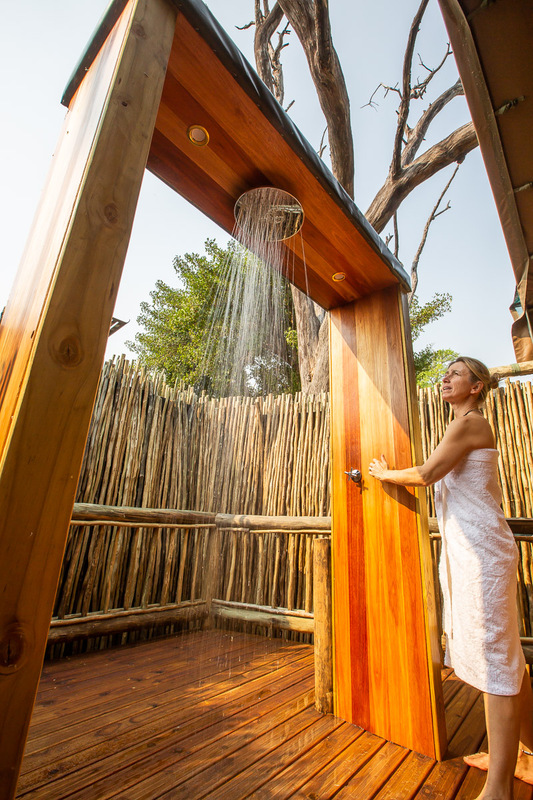 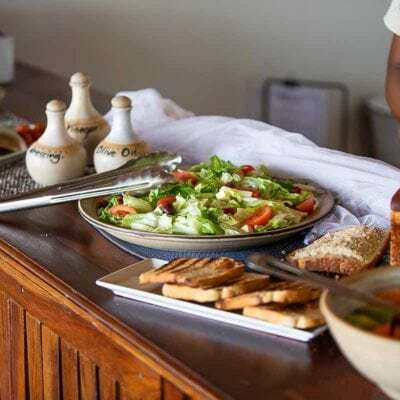 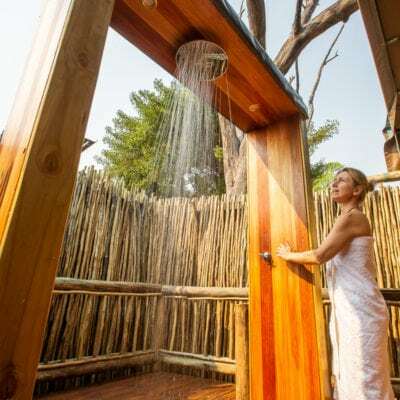 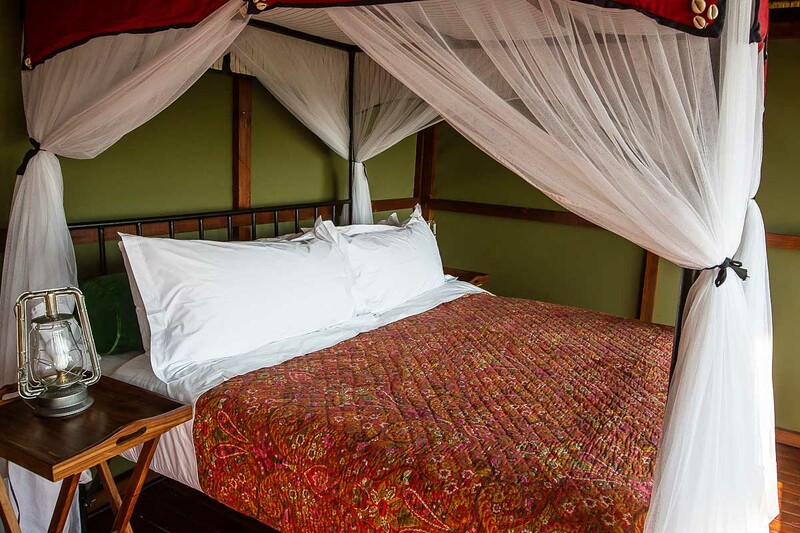 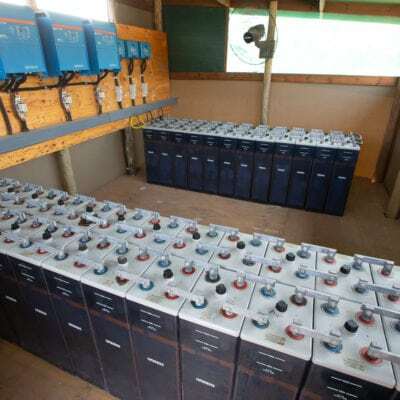 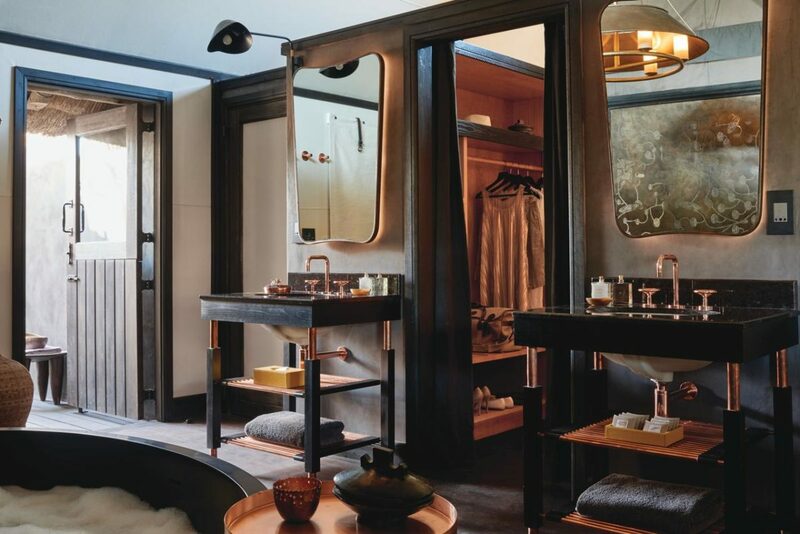 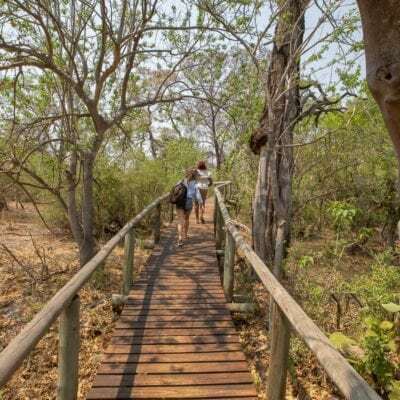 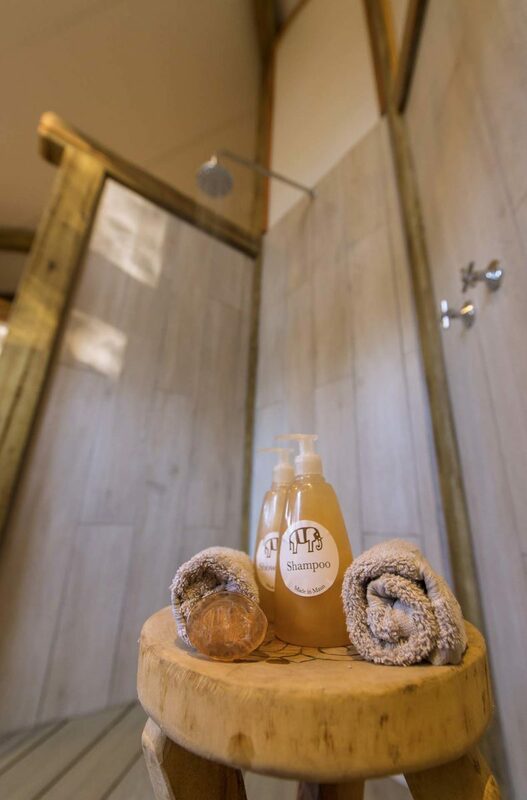 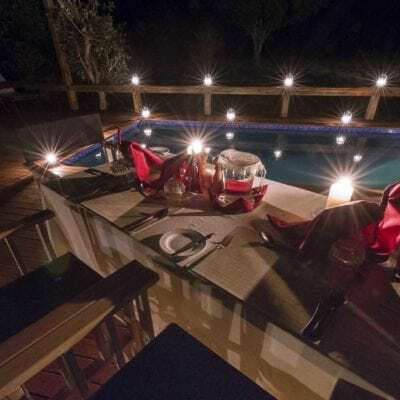 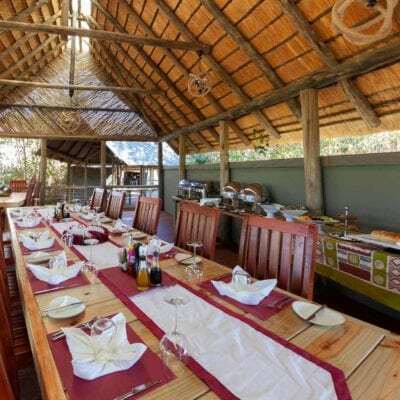 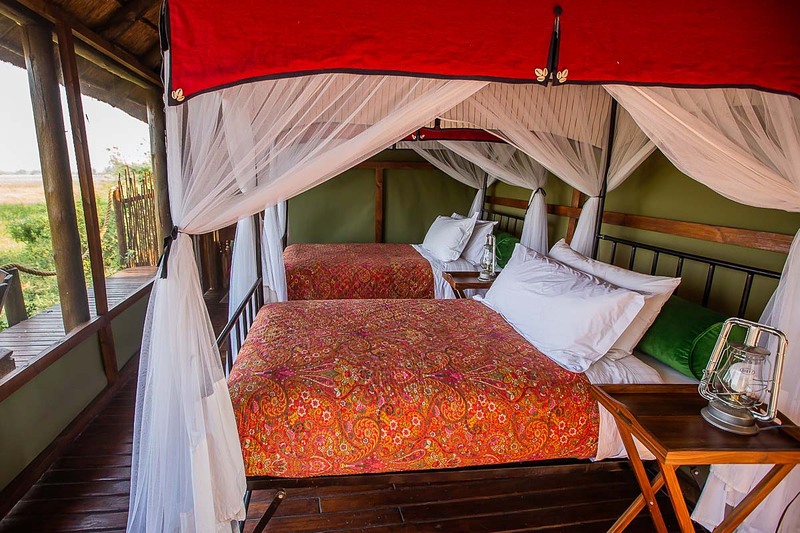 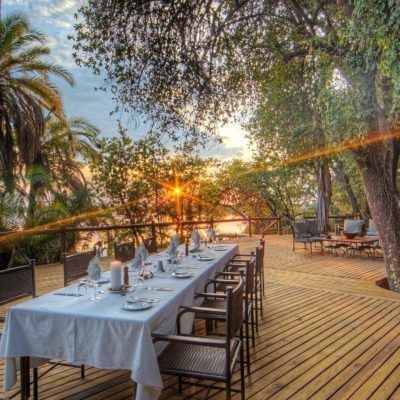 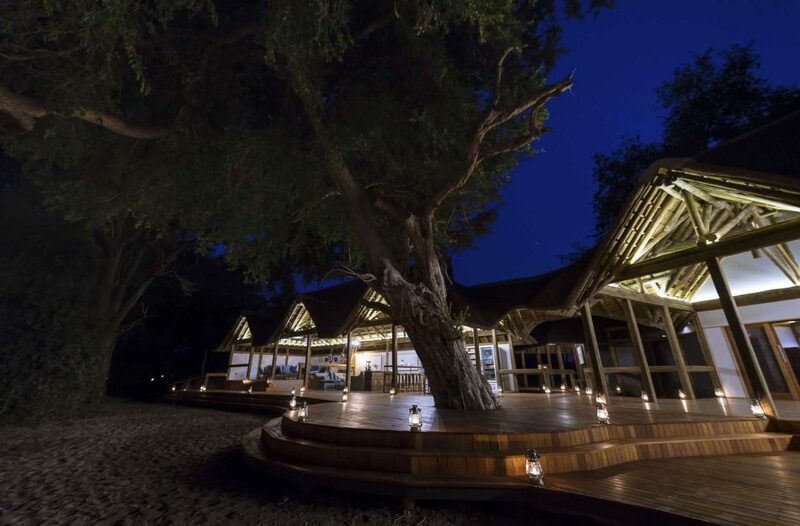 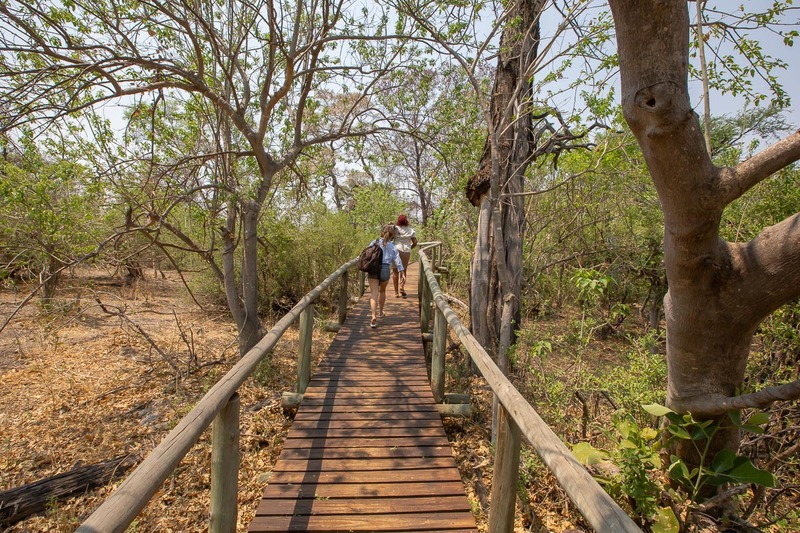 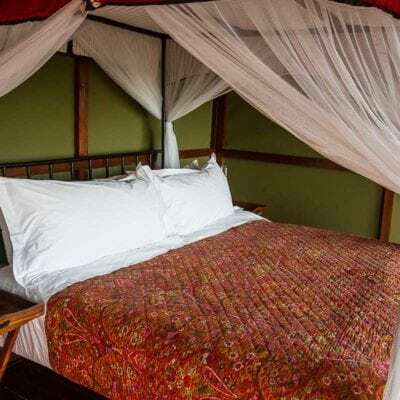 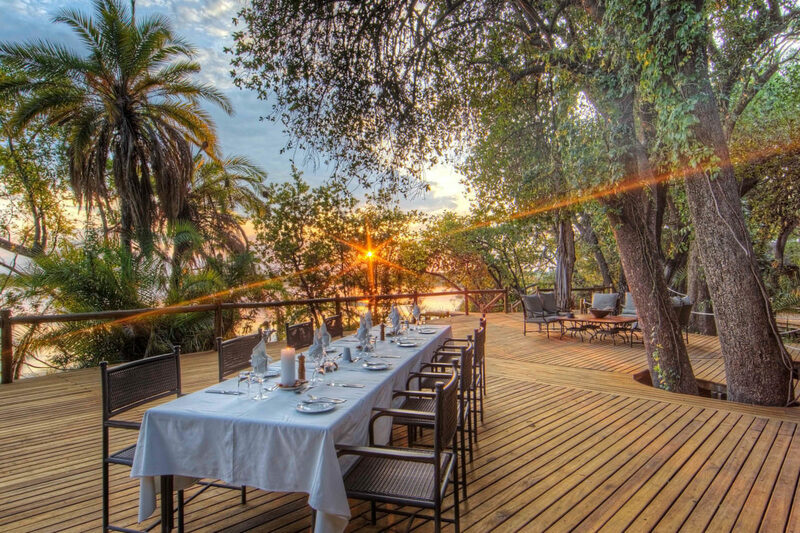 Importantly, other well located lodges, offer the full variety of activities, although these can be very seasonally dependent (walking, day and night drives, boating and mokoro). 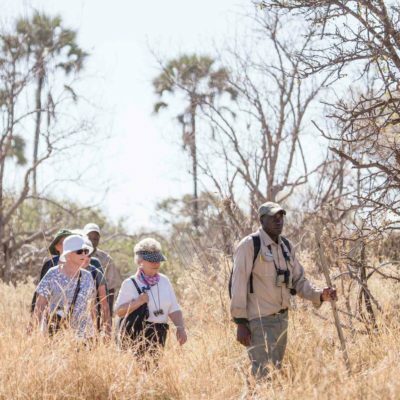 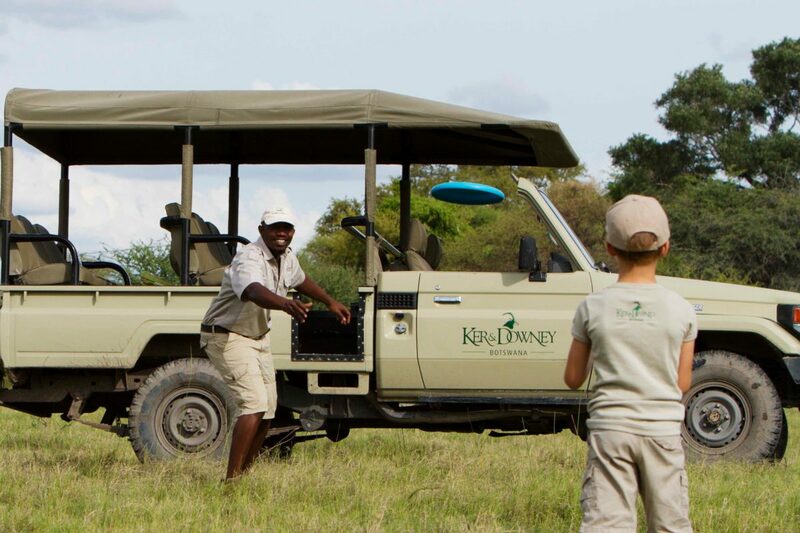 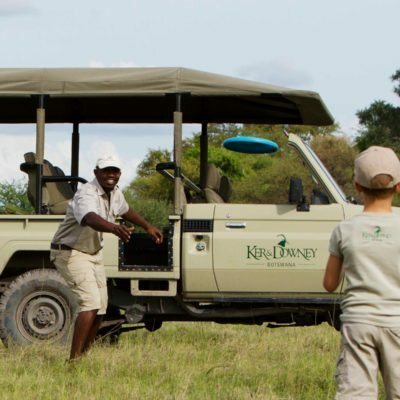 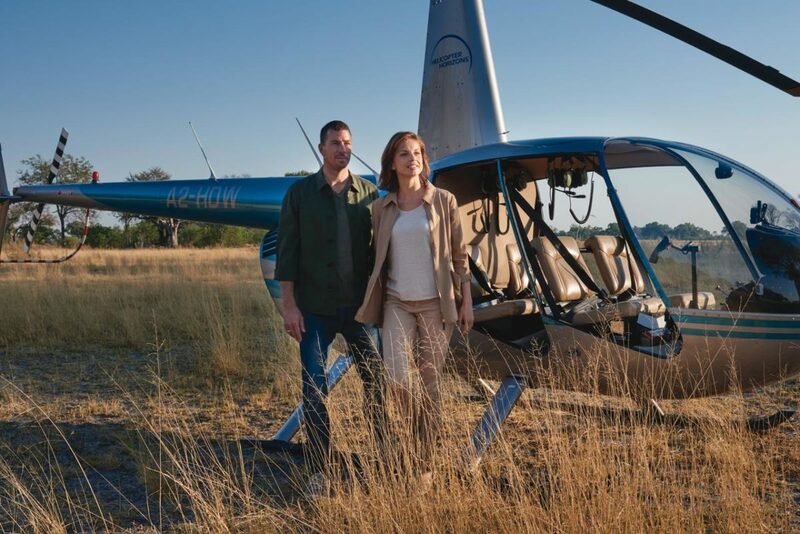 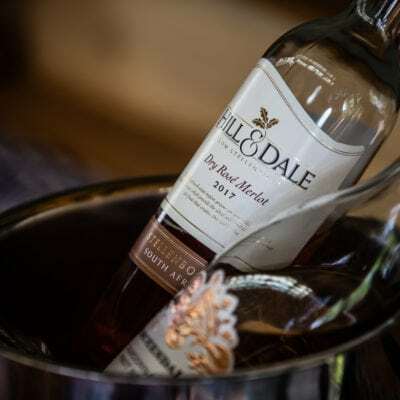 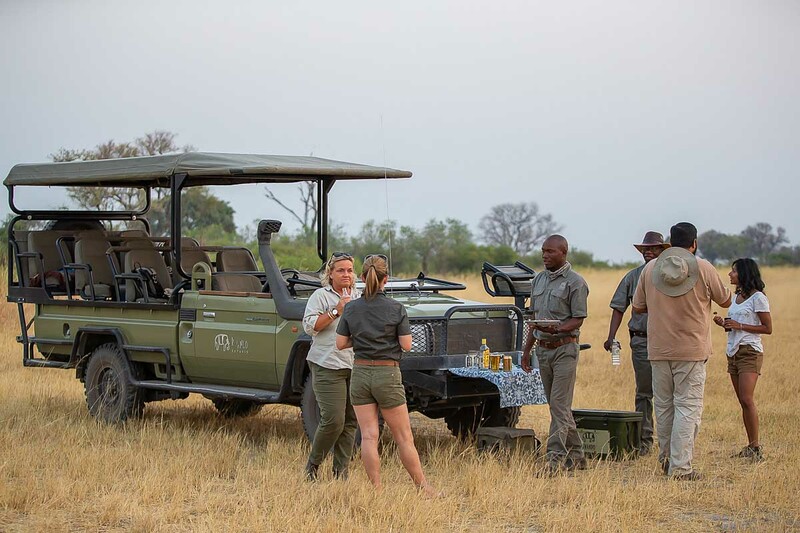 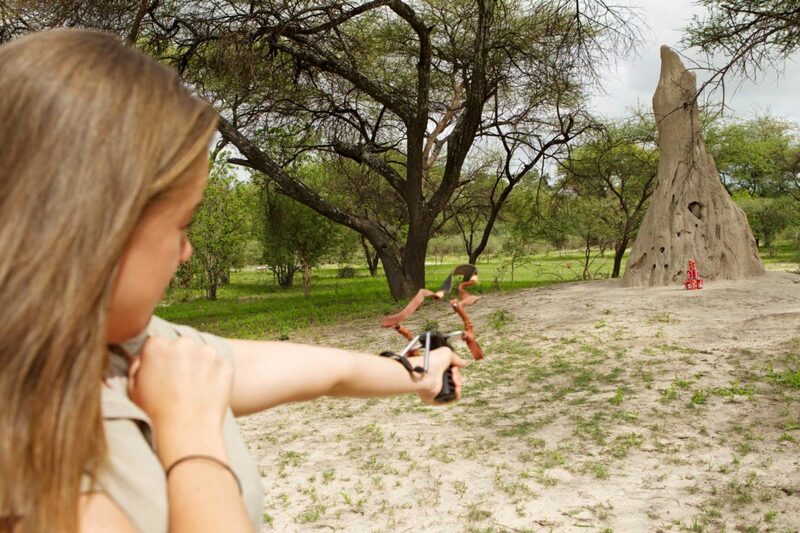 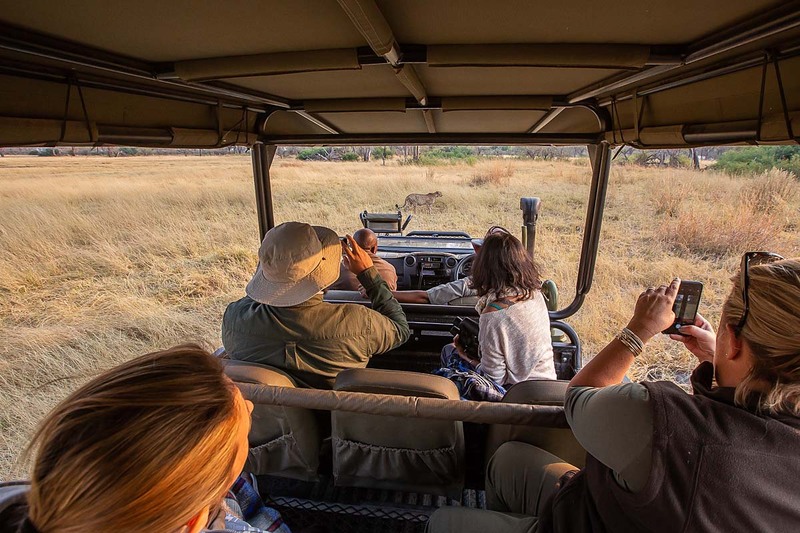 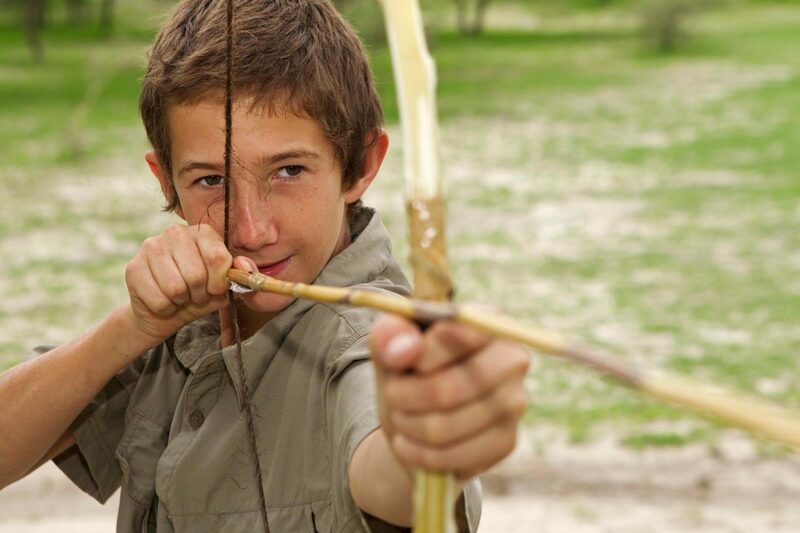 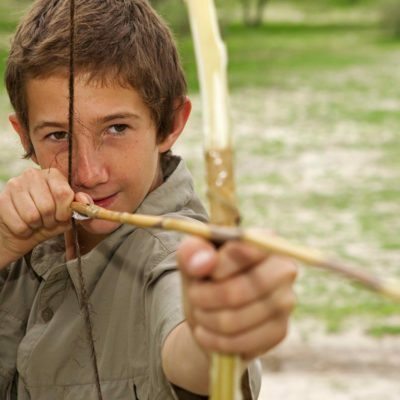 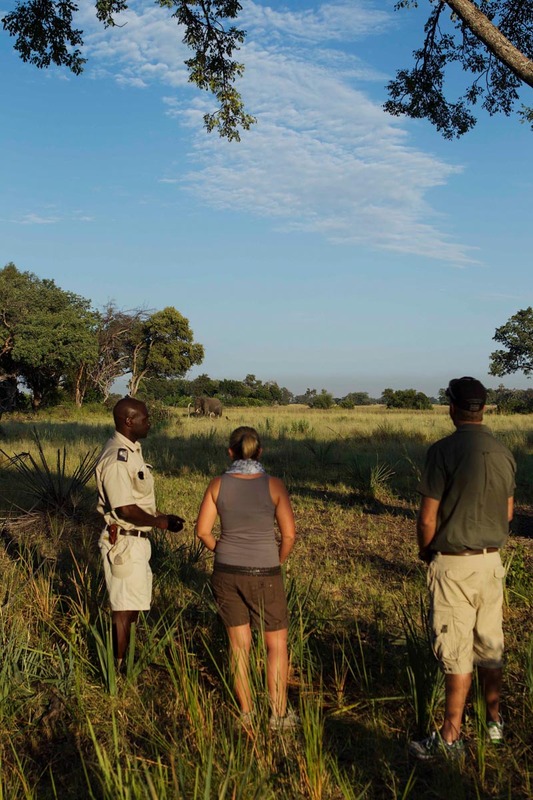 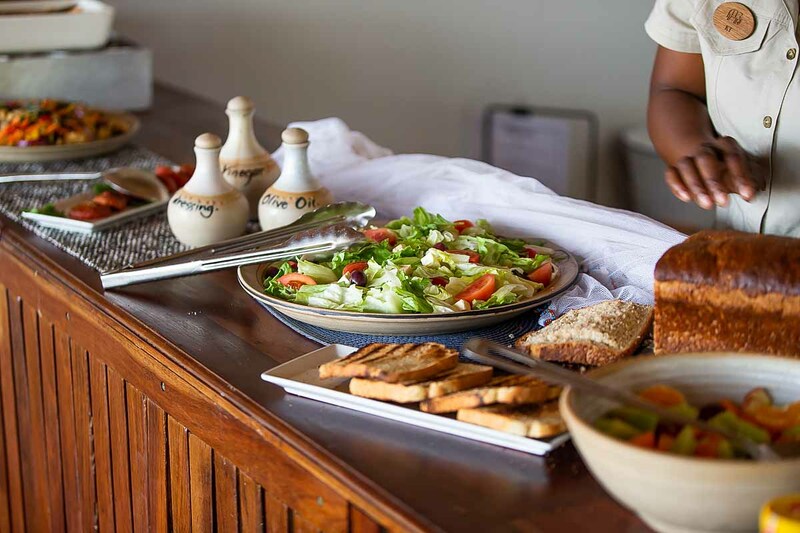 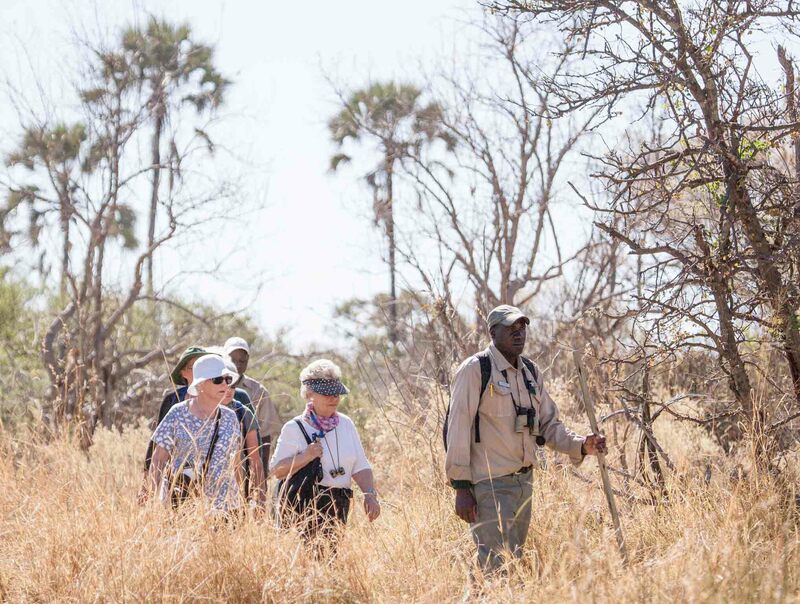 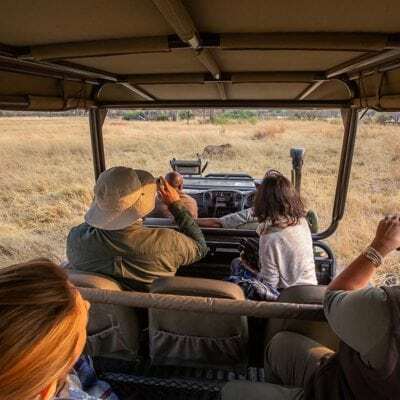 Please ask us for more information on what activities are on offer at each lodge as this is a very good solution to get an all-round safari experience from one location. 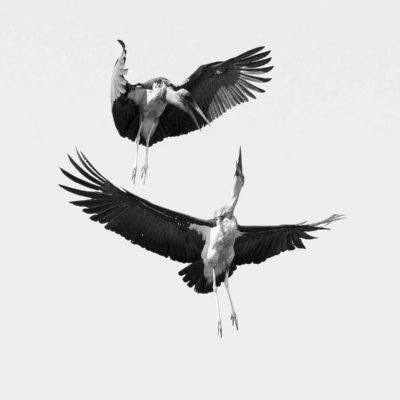 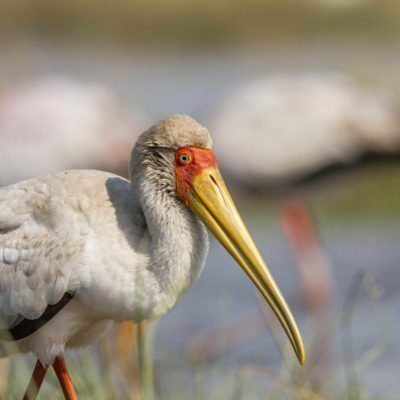 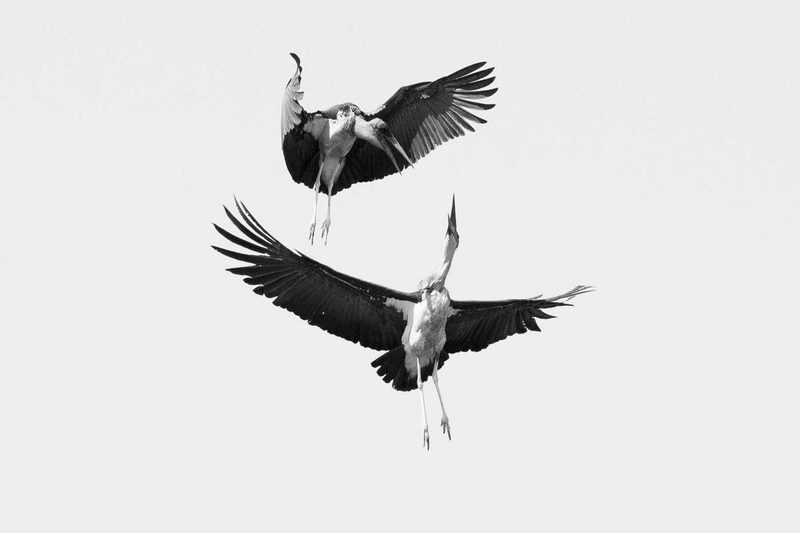 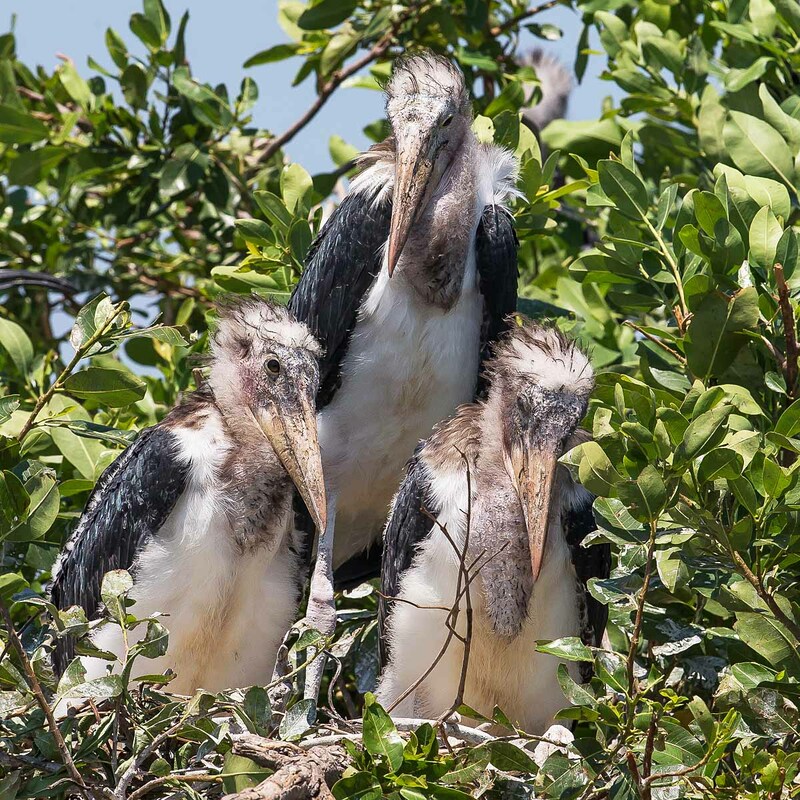 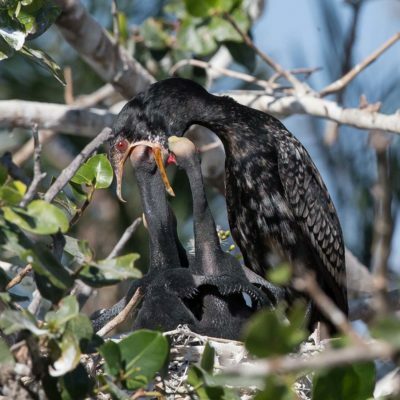 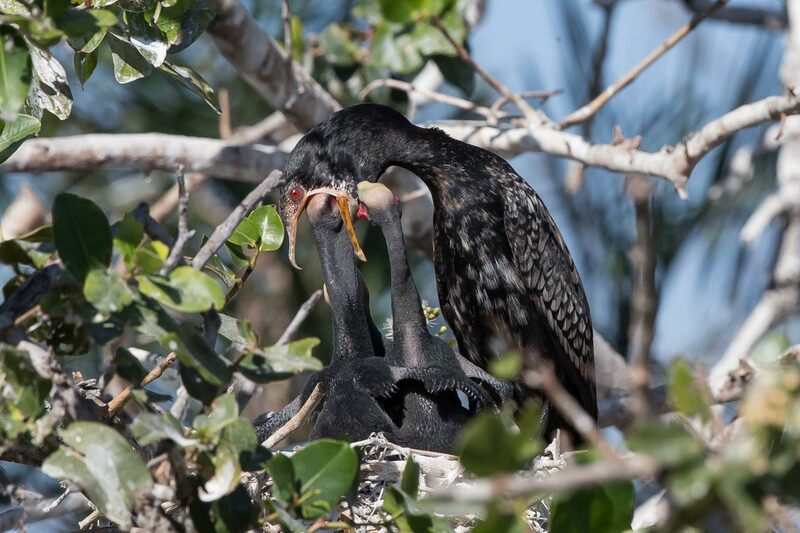 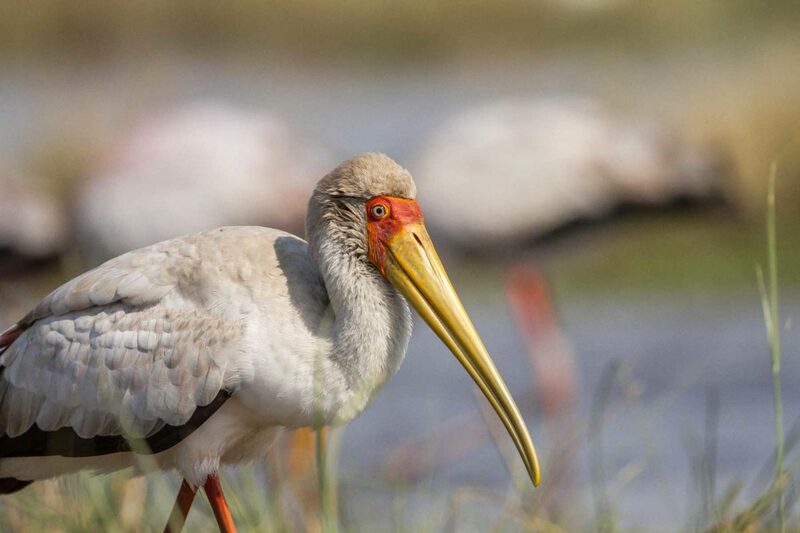 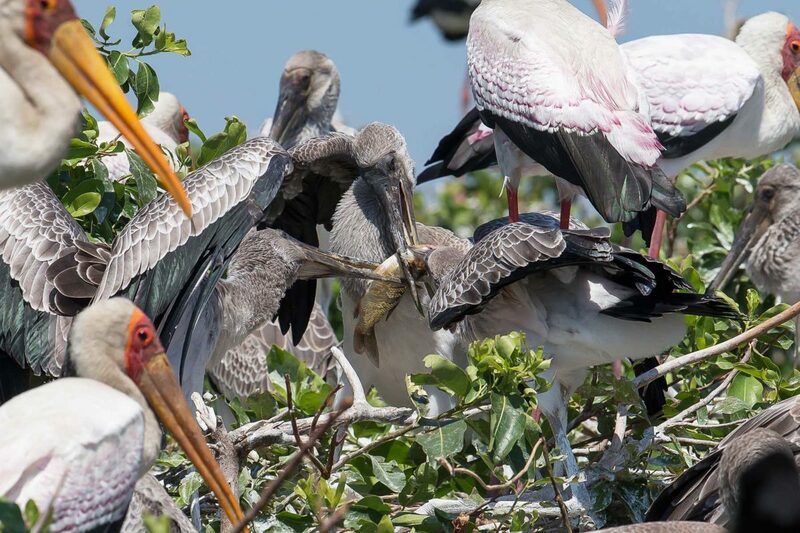 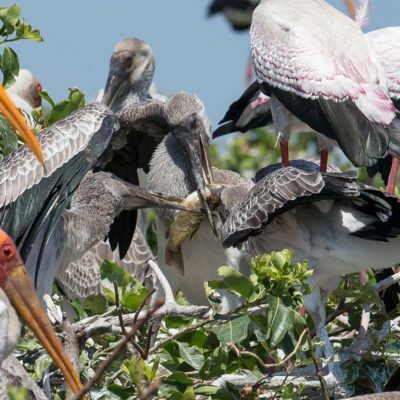 The bird life in the Okavango is also exceptional – please do have a look at the information on visiting the delta’s Heronries. 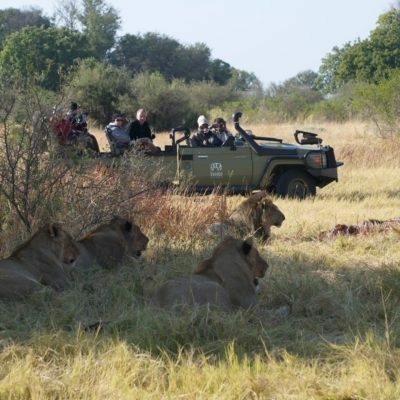 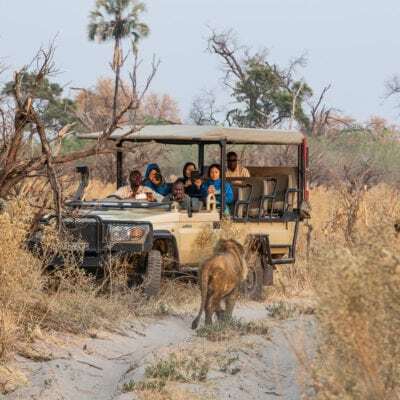 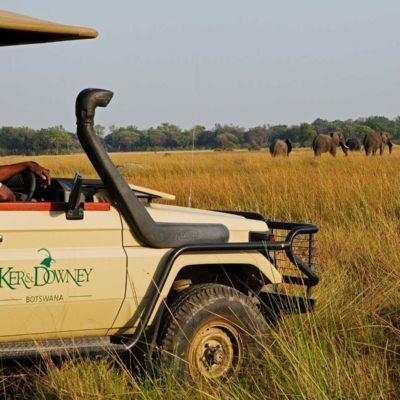 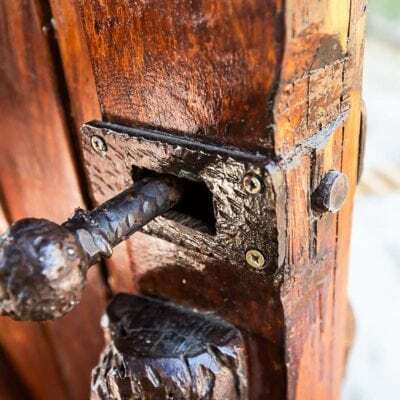 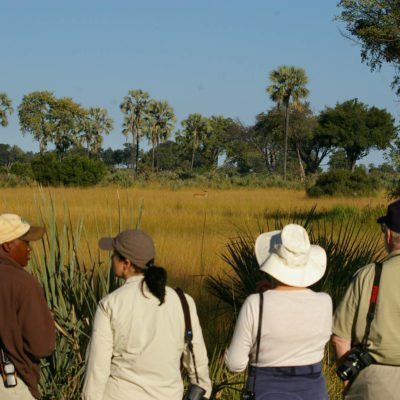 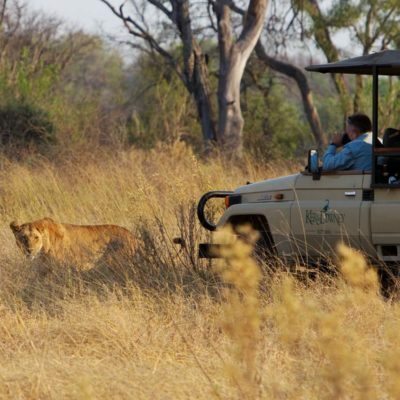 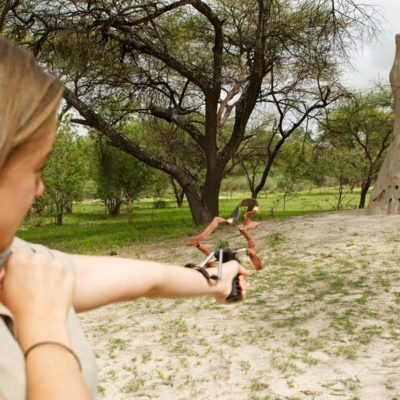 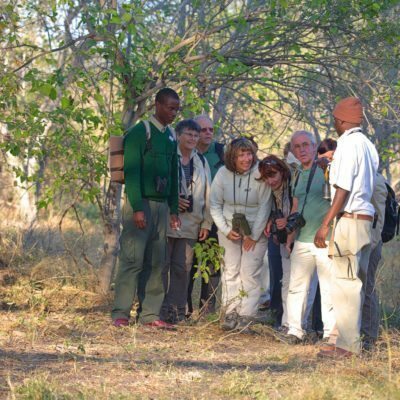 Please do ask about mobile safaris with a private guide. 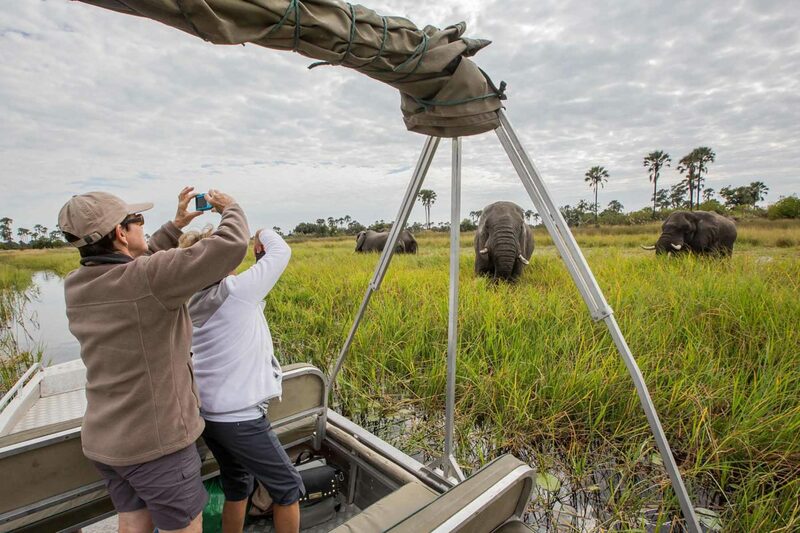 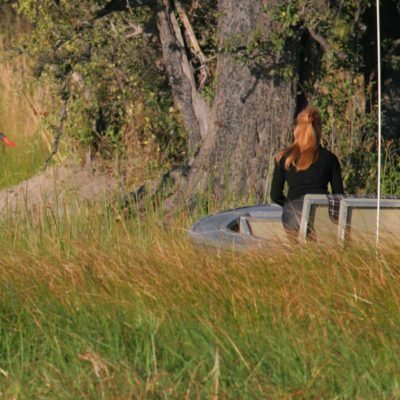 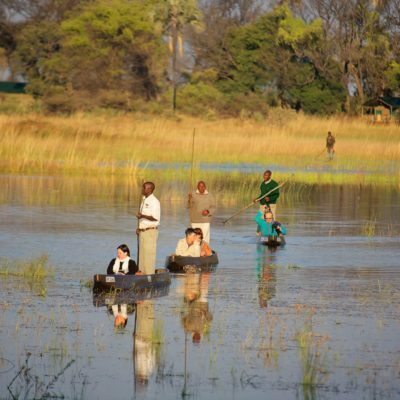 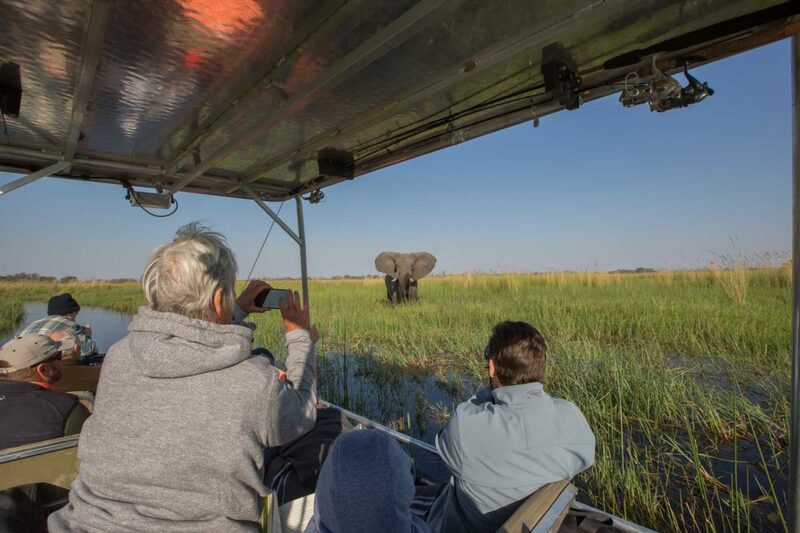 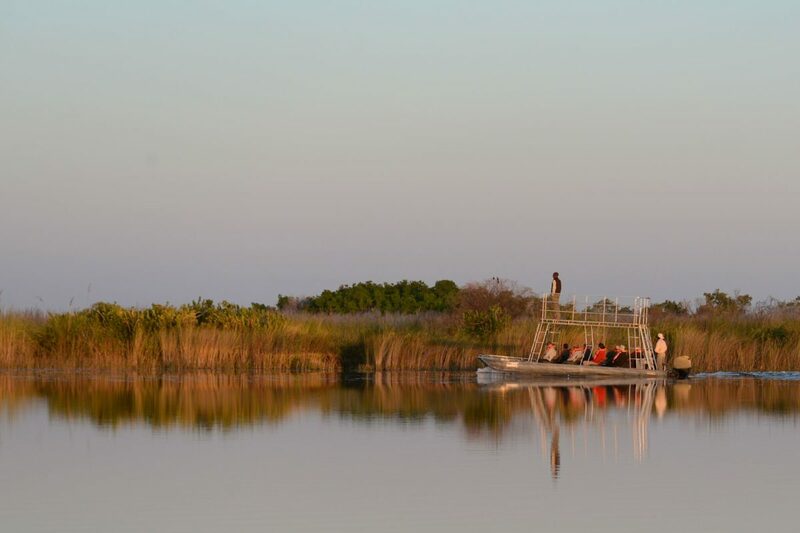 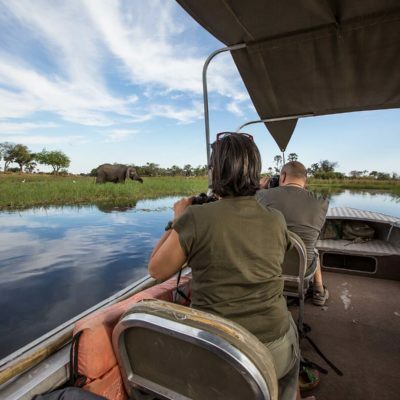 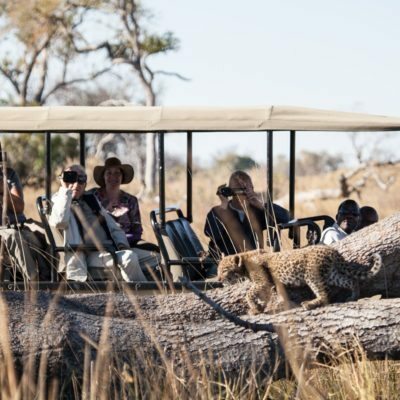 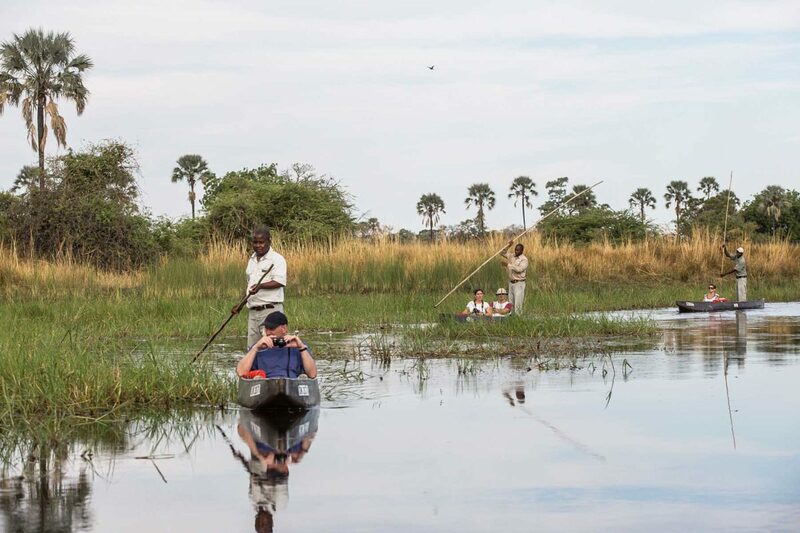 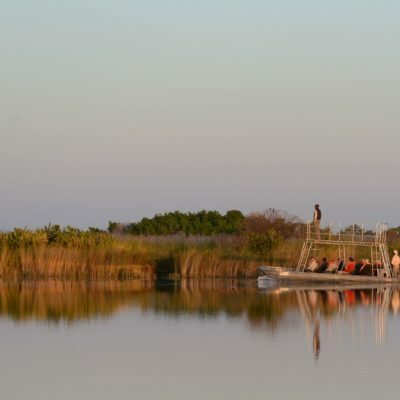 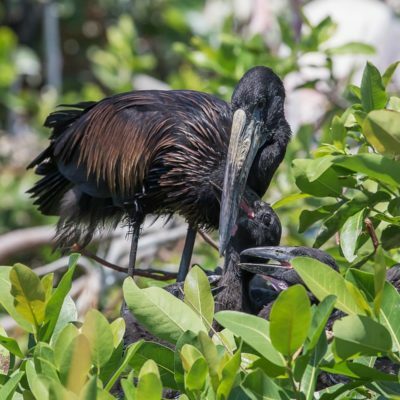 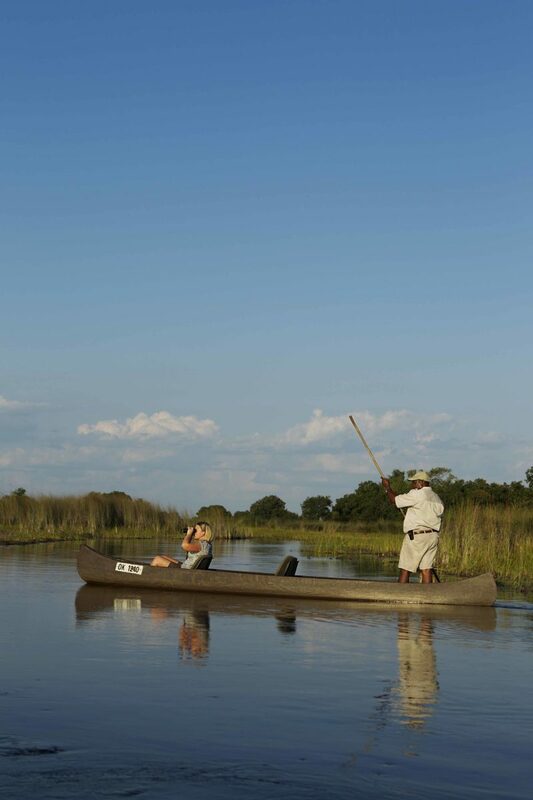 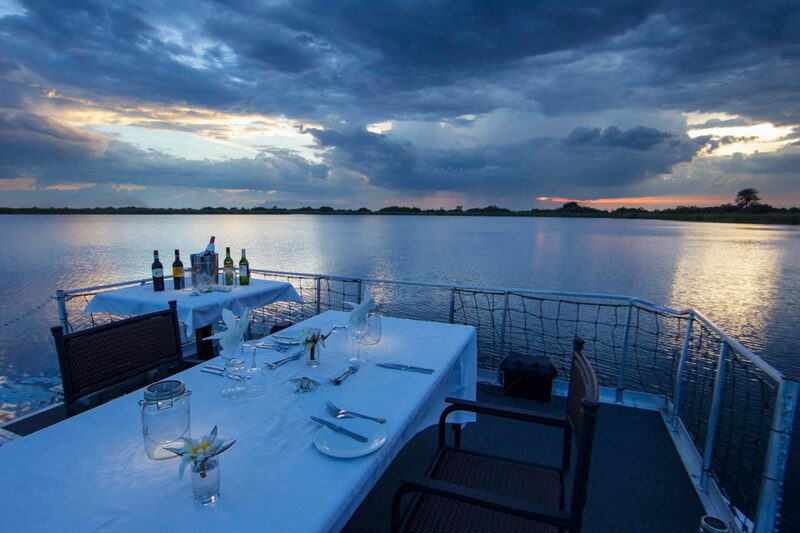 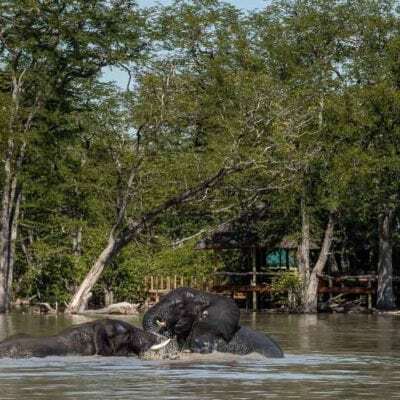 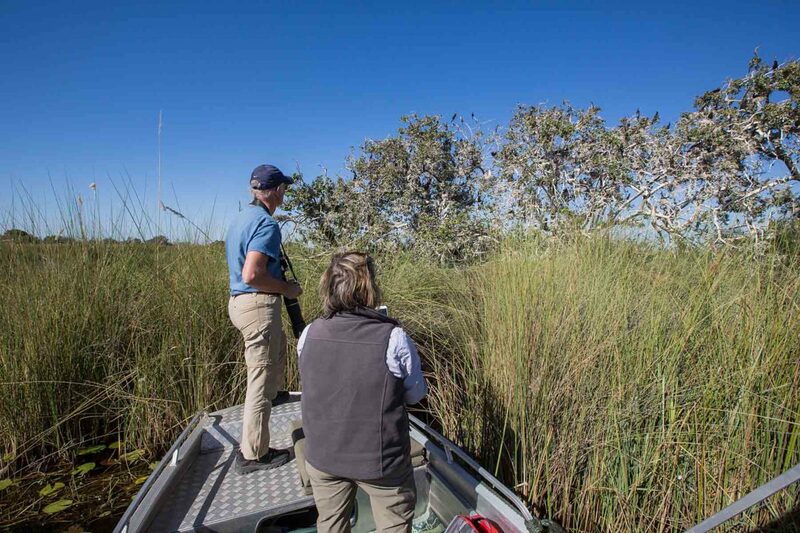 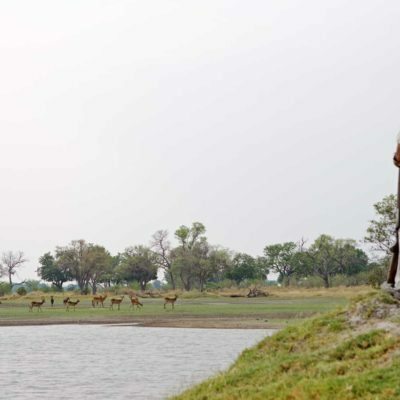 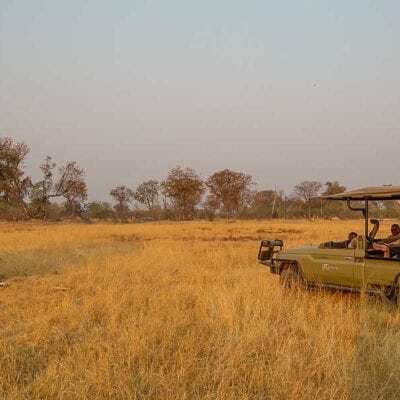 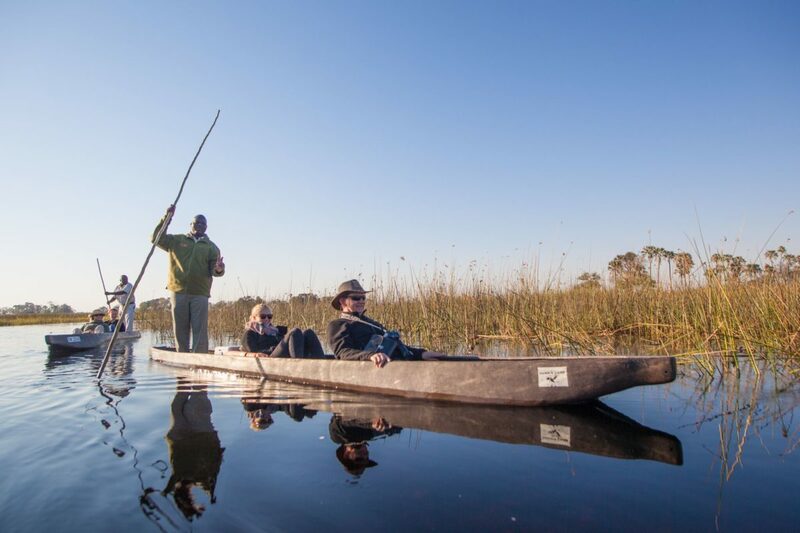 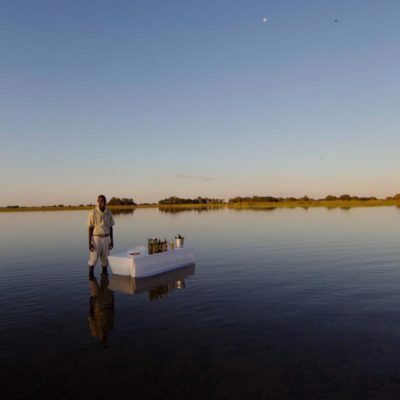 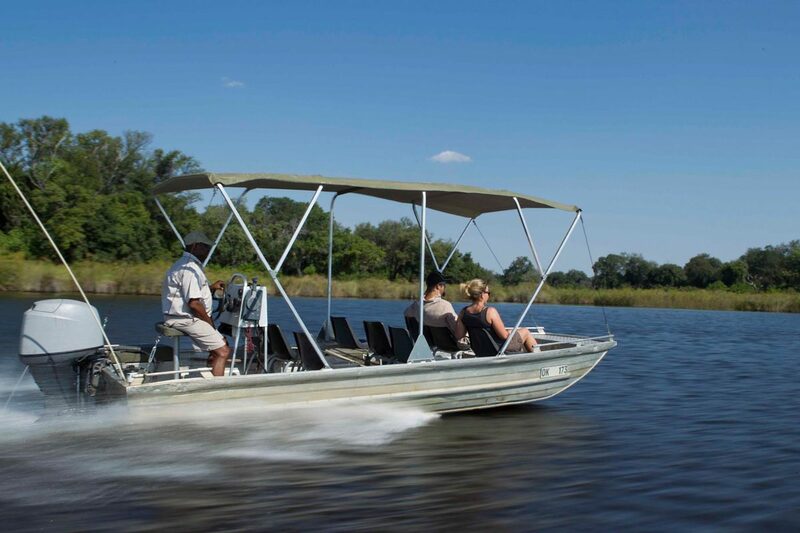 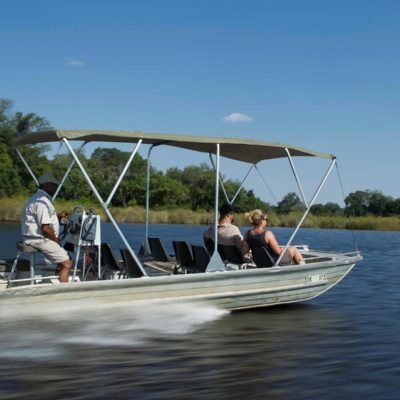 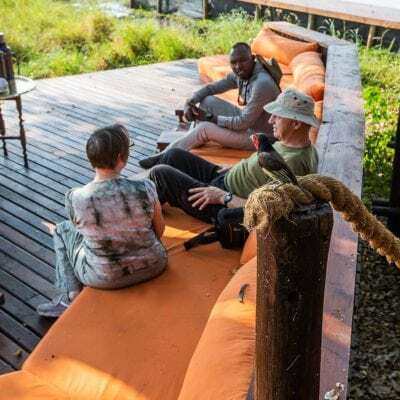 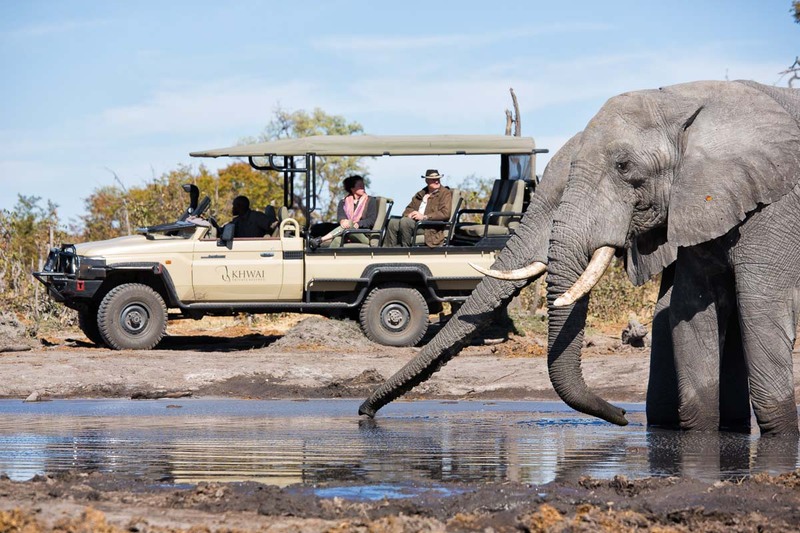 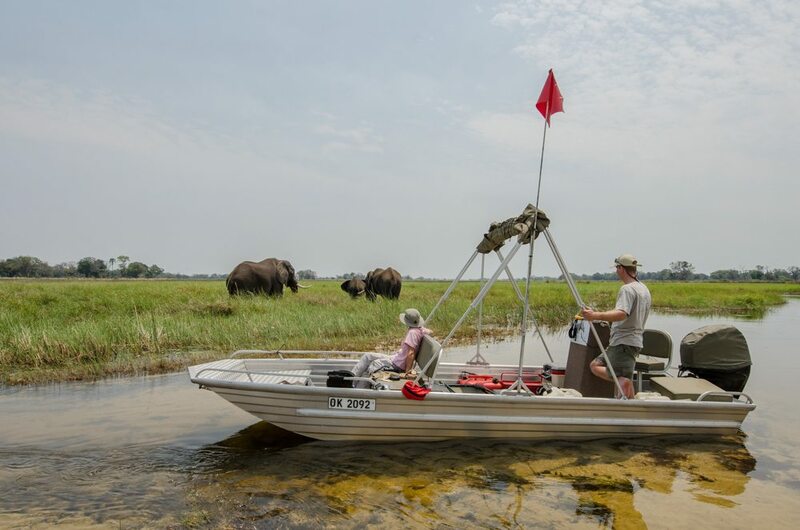 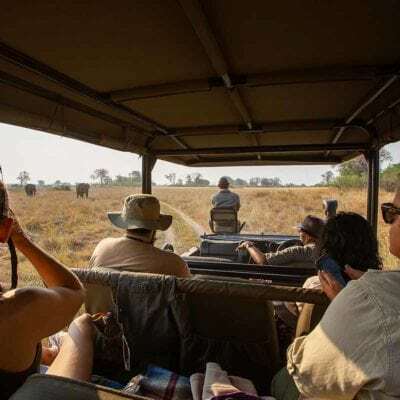 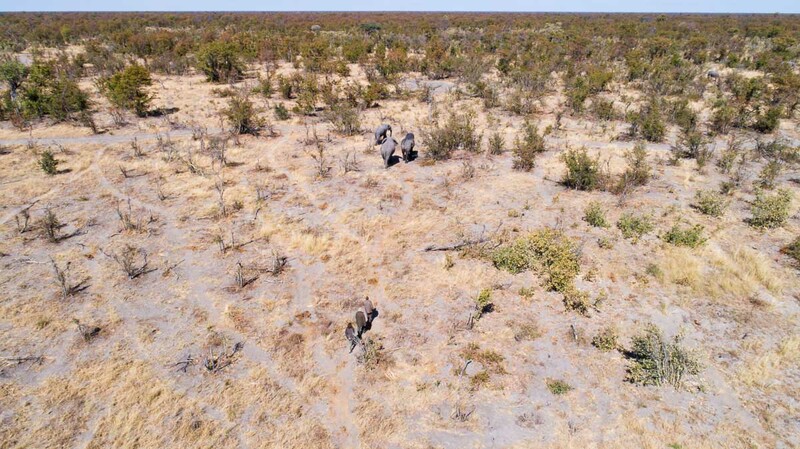 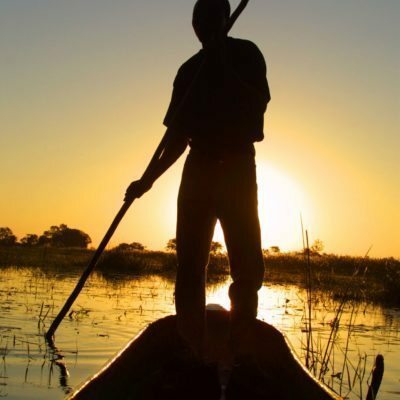 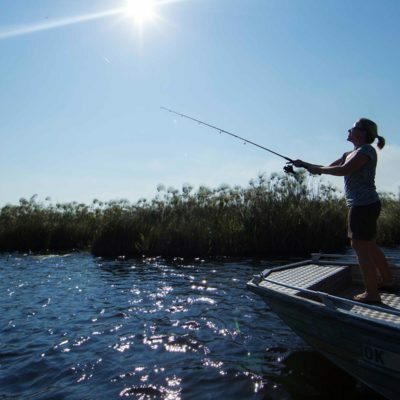 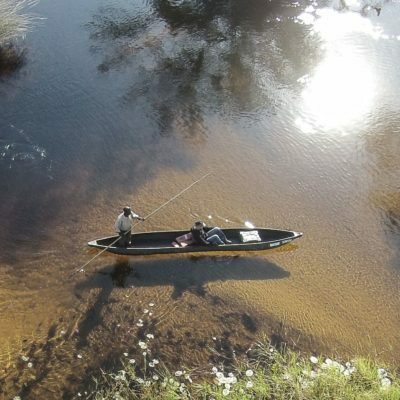 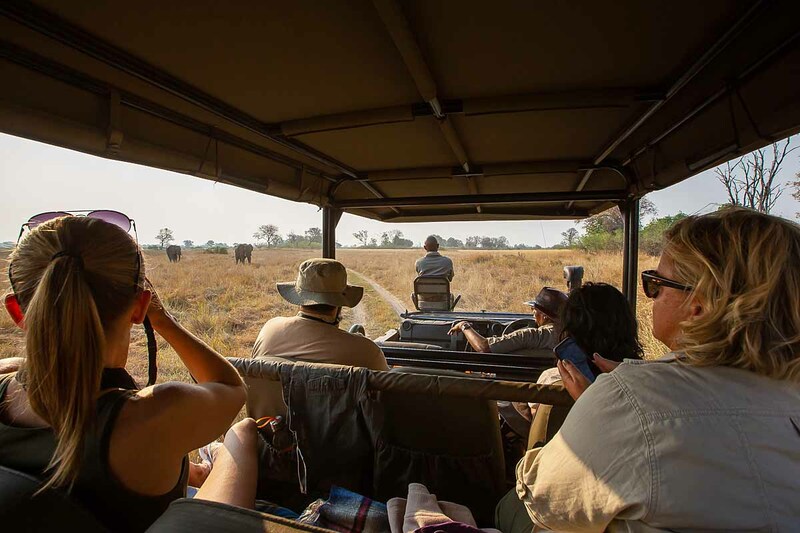 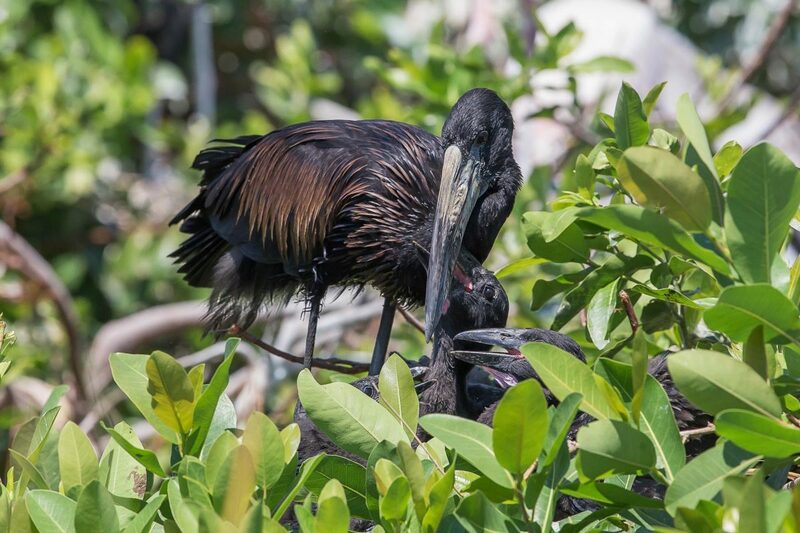 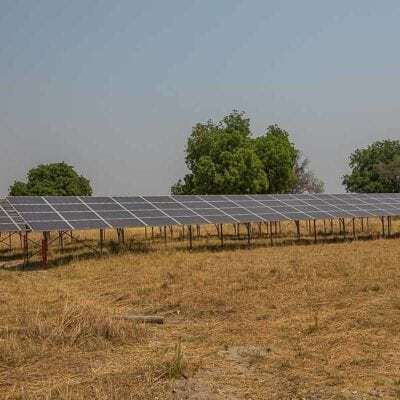 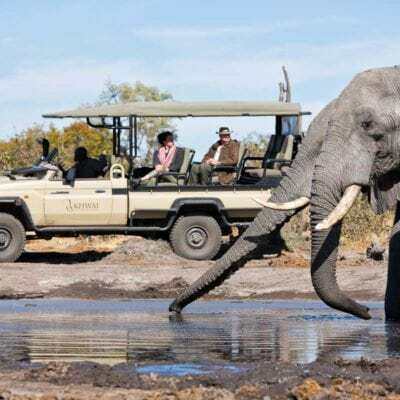 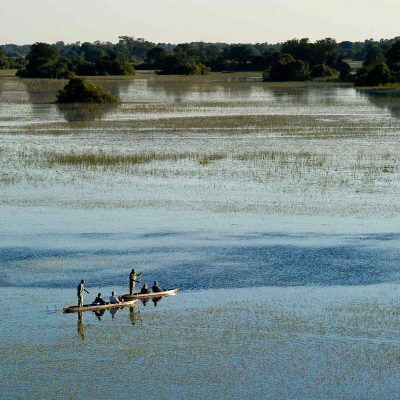 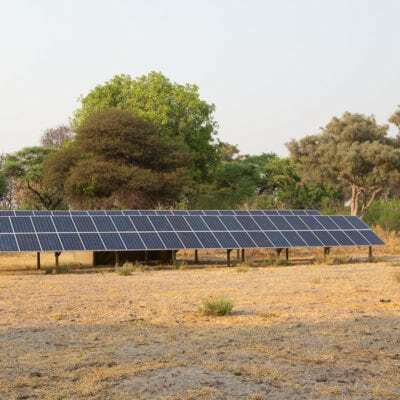 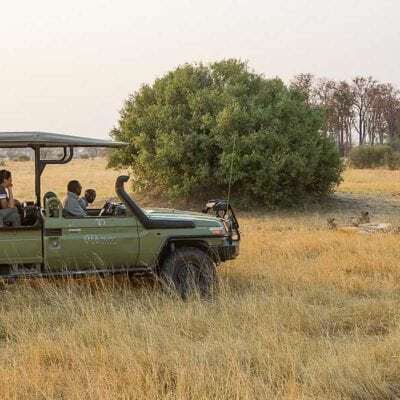 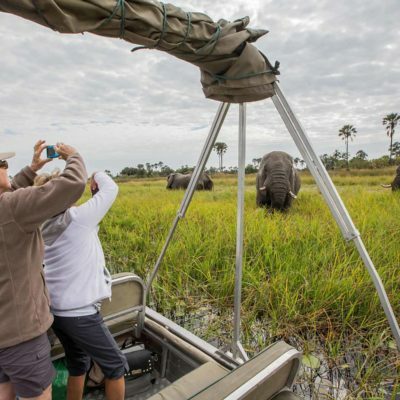 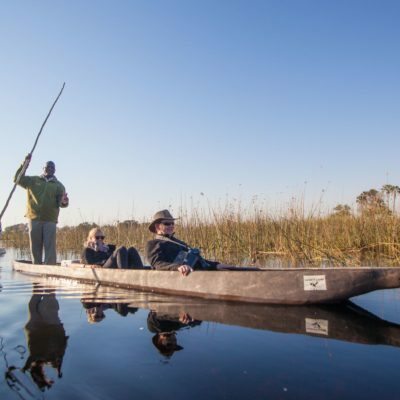 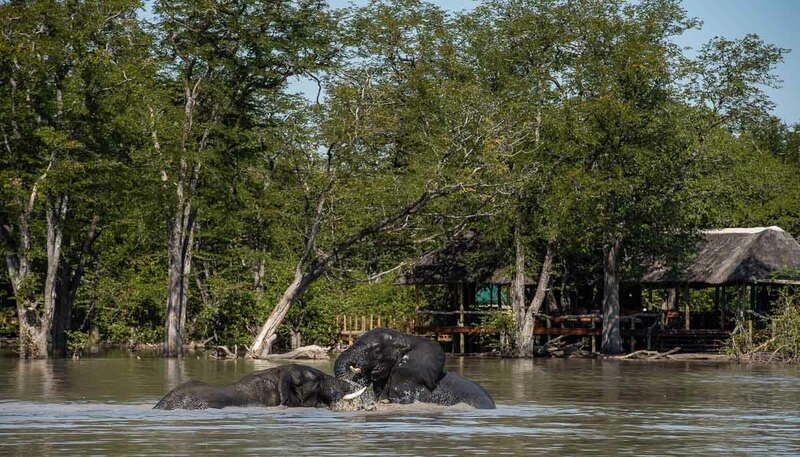 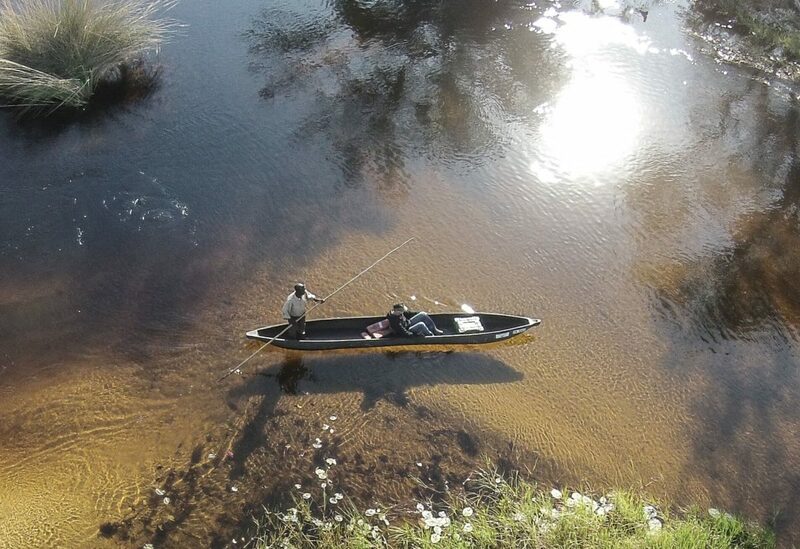 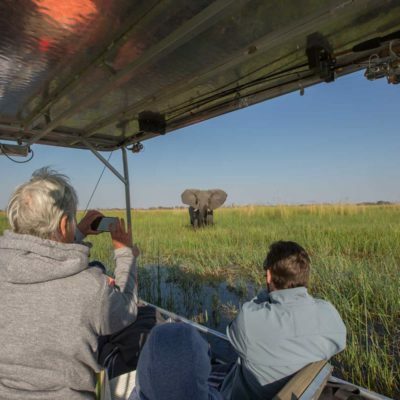 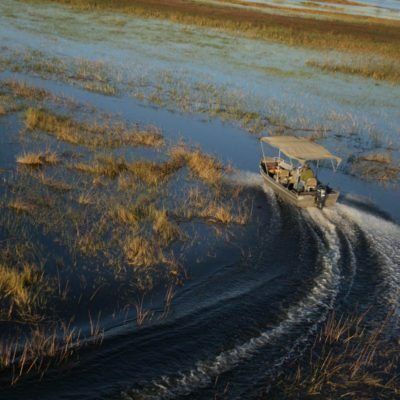 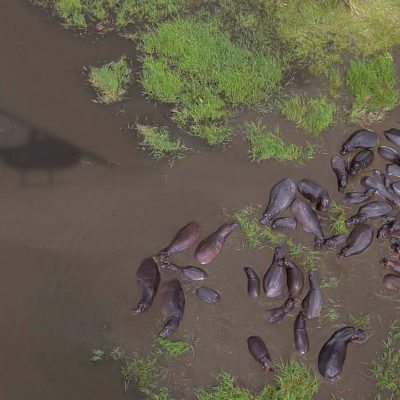 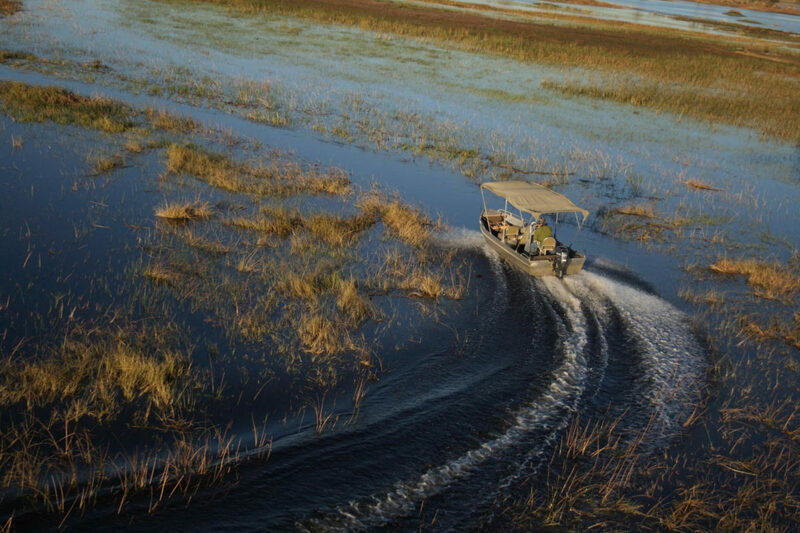 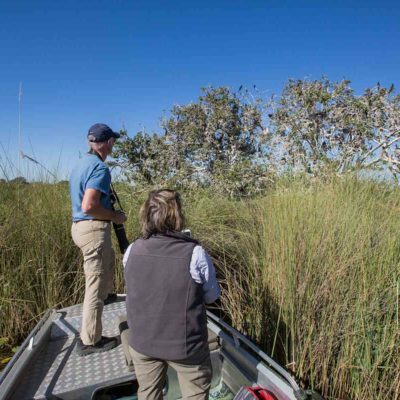 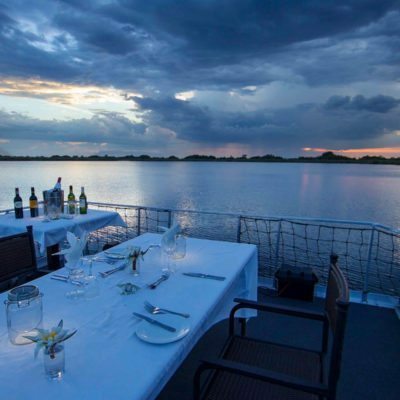 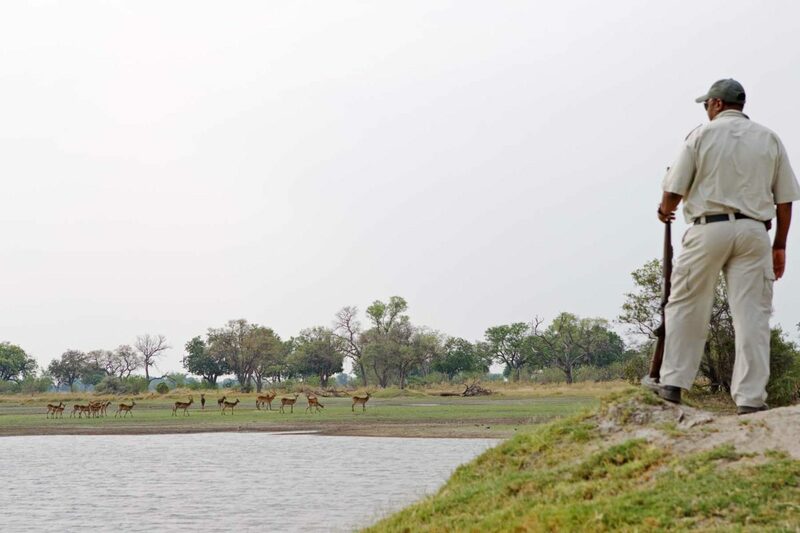 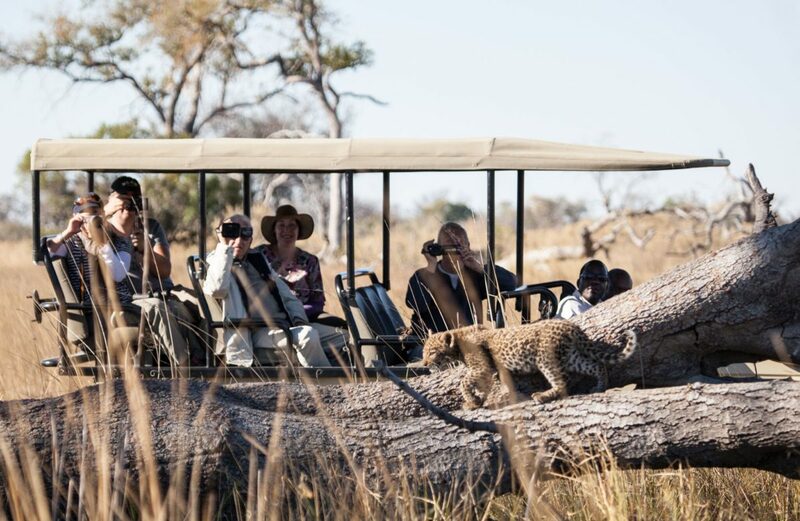 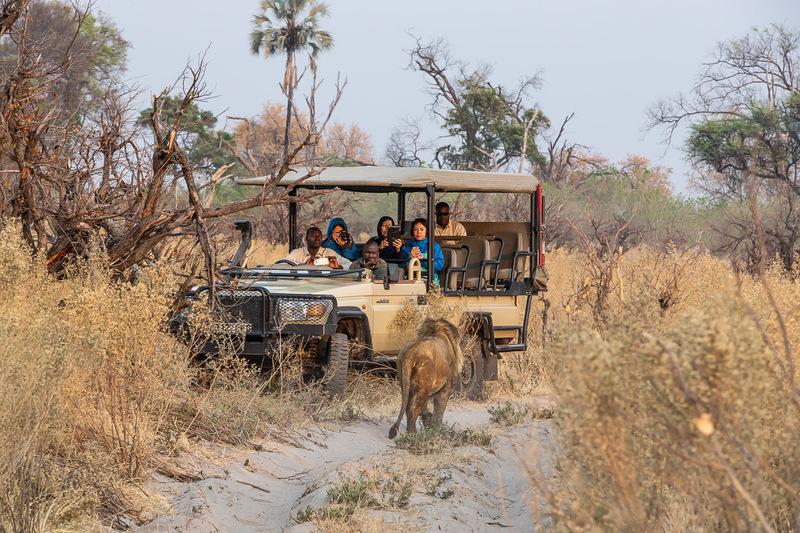 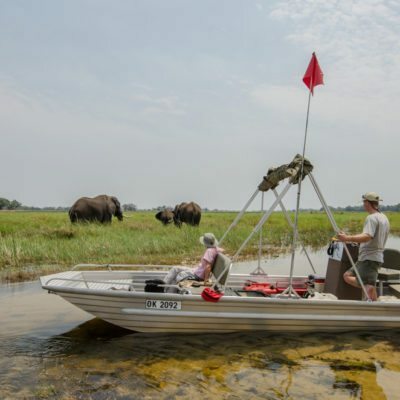 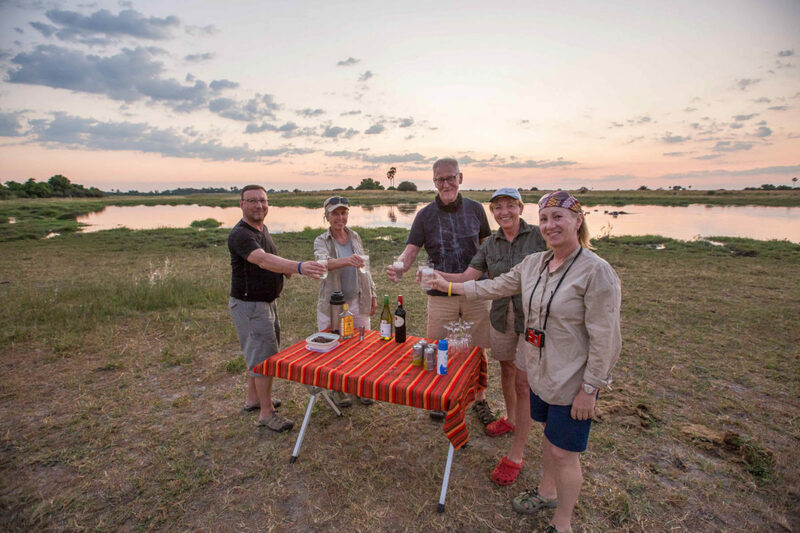 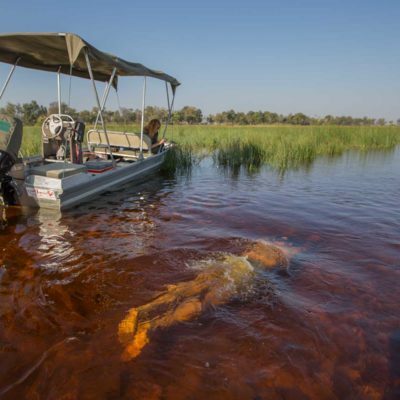 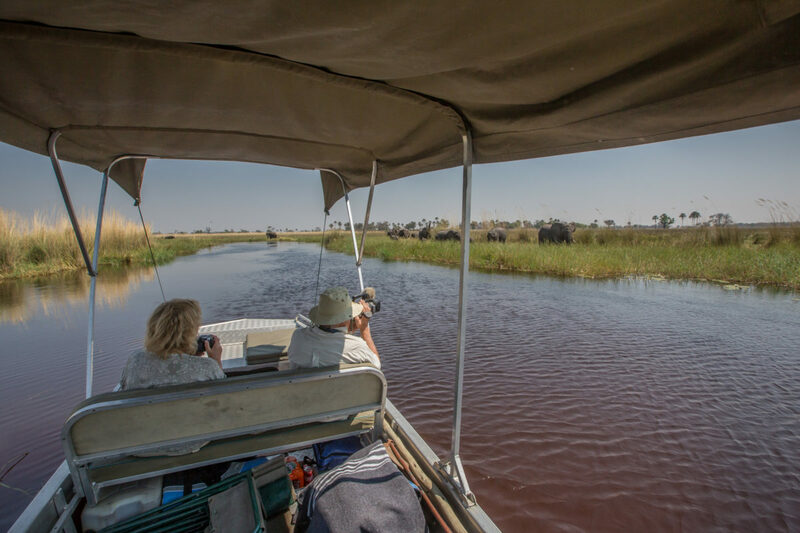 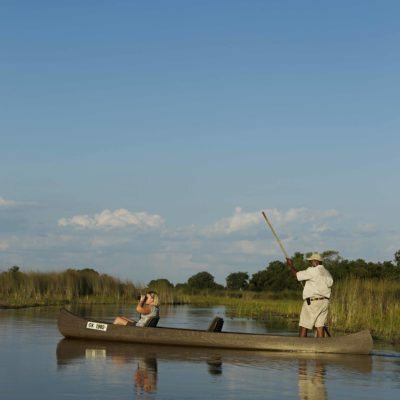 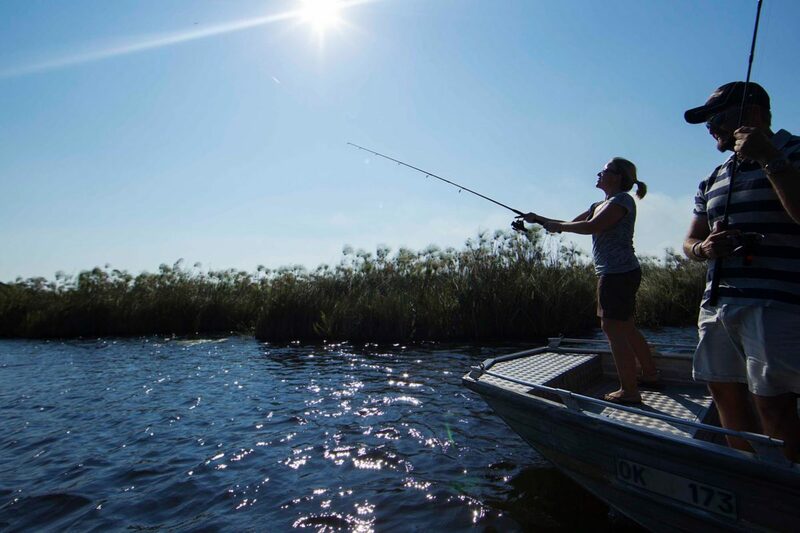 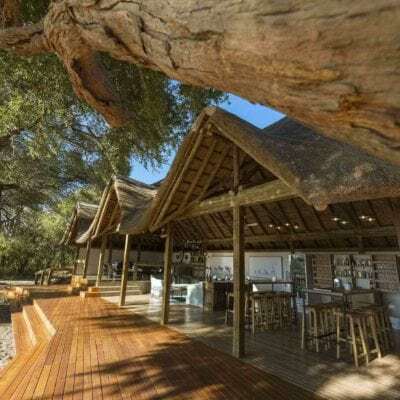 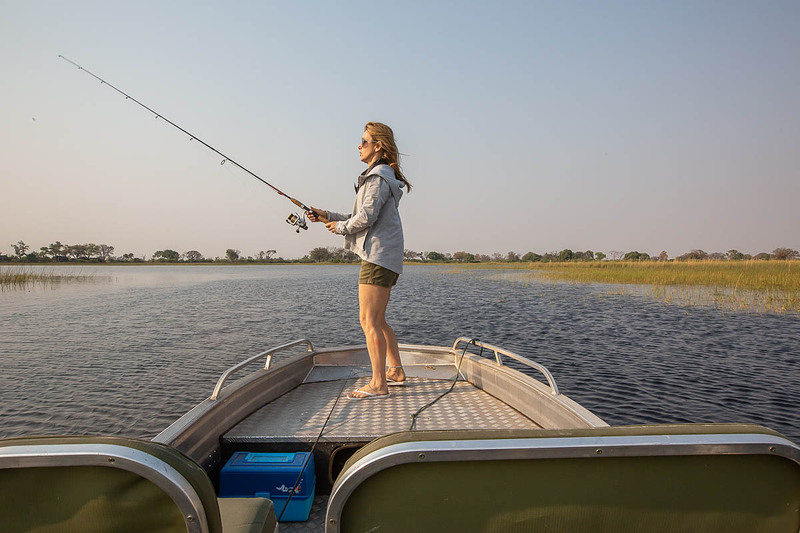 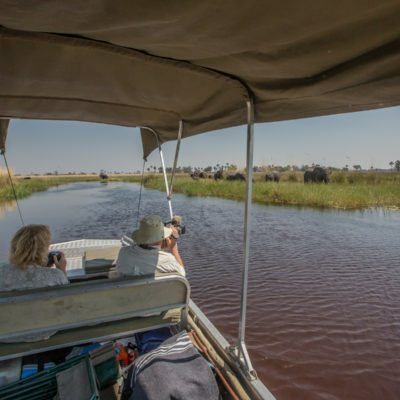 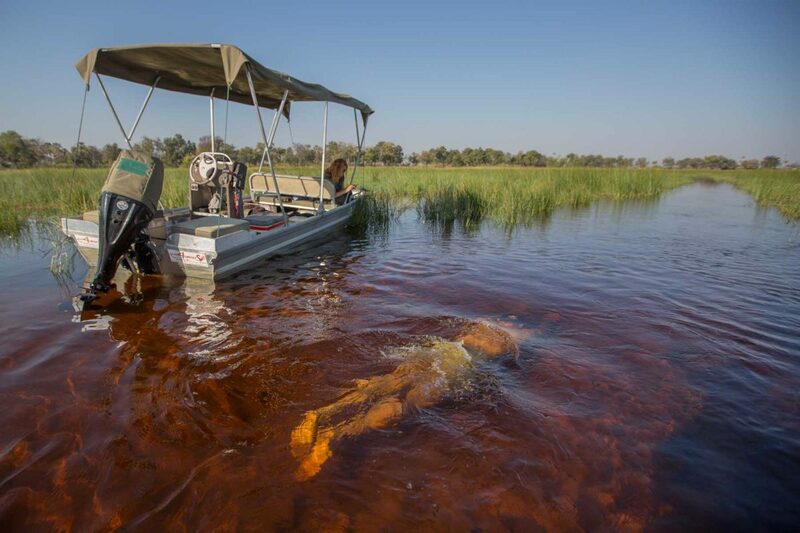 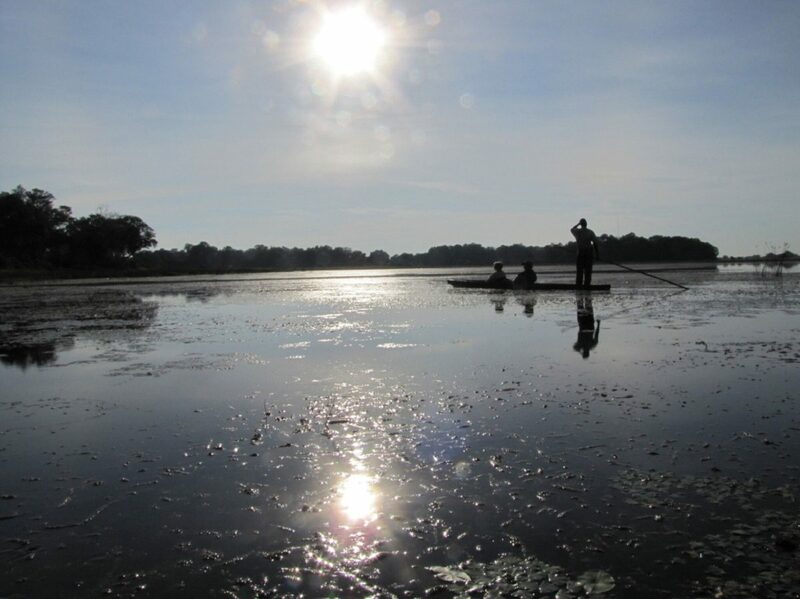 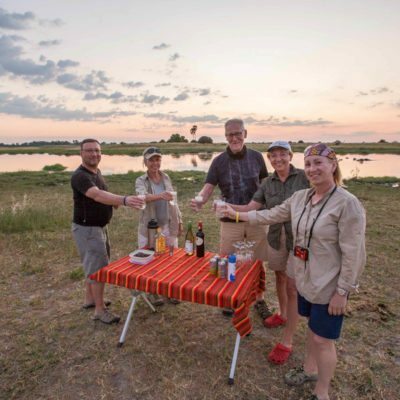 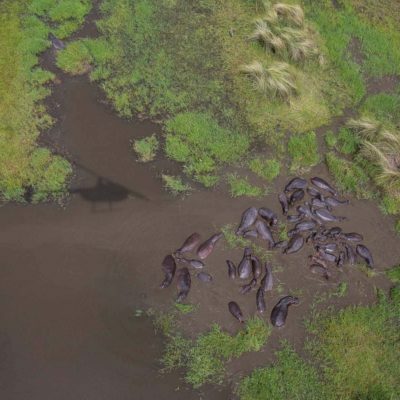 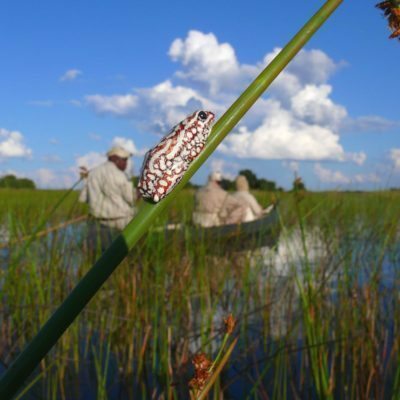 Mobile operators have excellent accessibility to remote parts of the Moremi Game Reserve and Chief’s Island for both boat and vehicle based safaris. 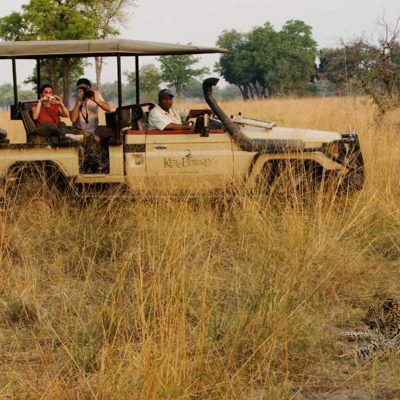 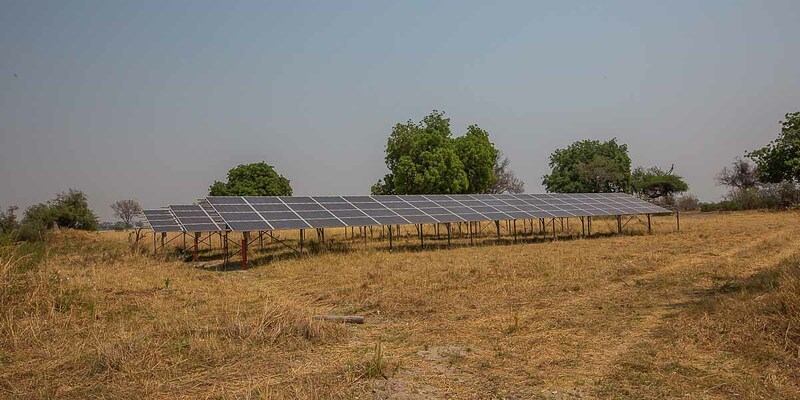 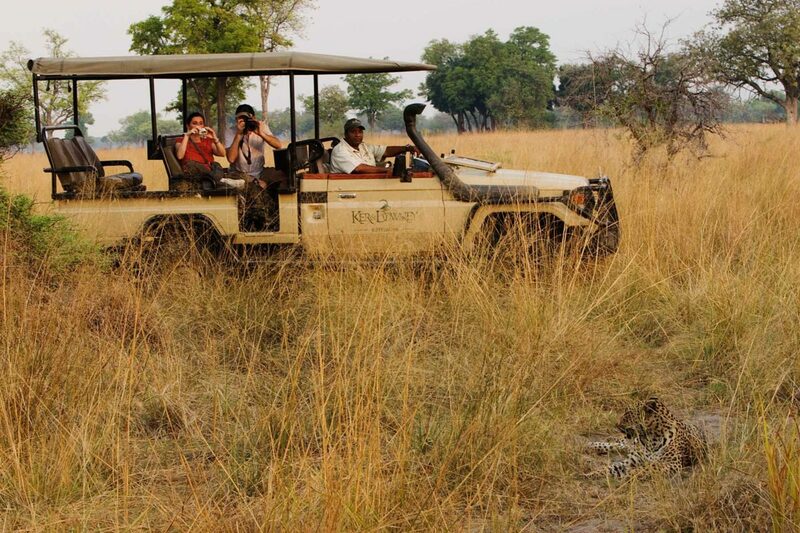 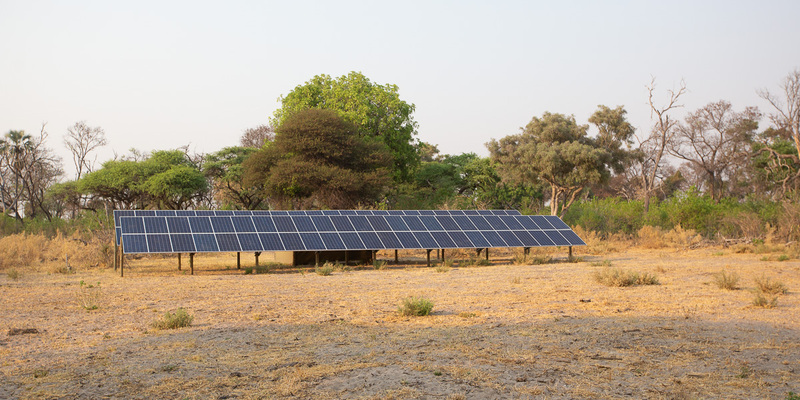 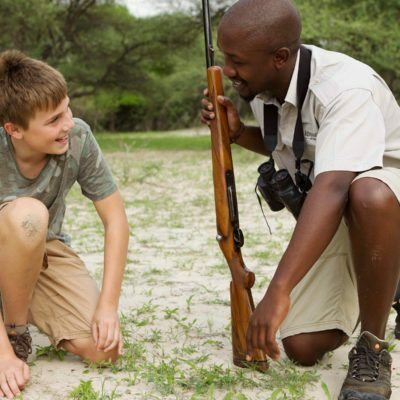 Guiding standards are generally high on this type of safari.